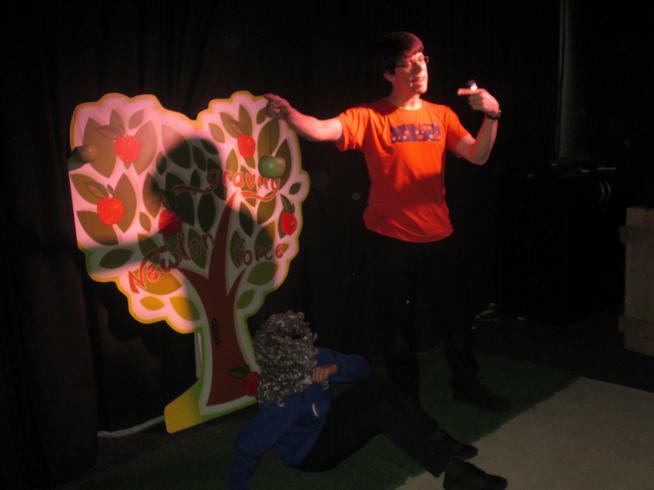 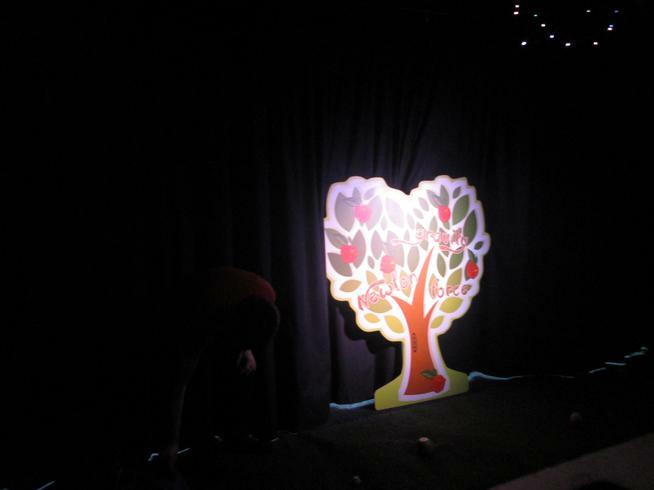 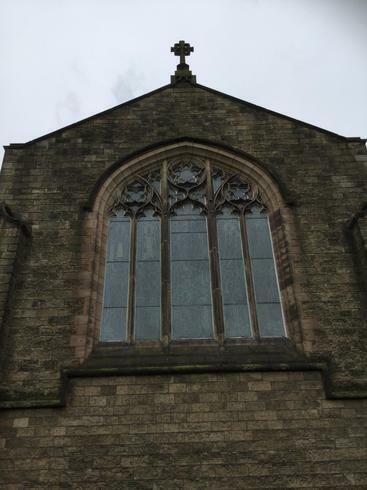 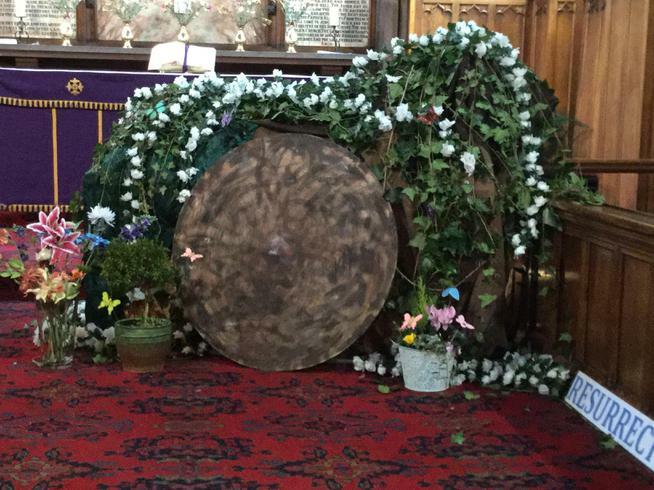 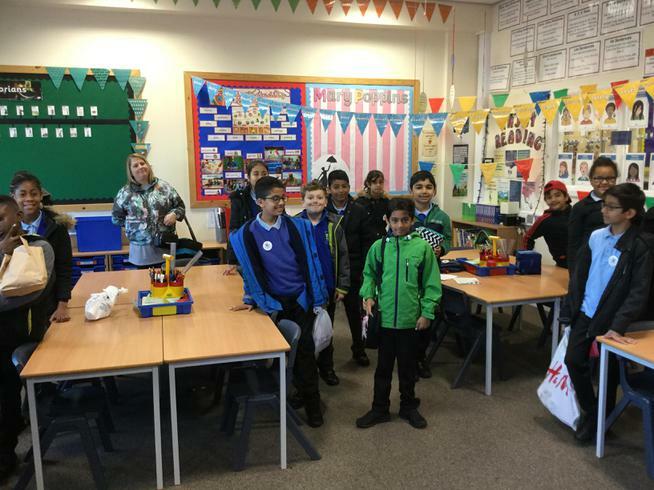 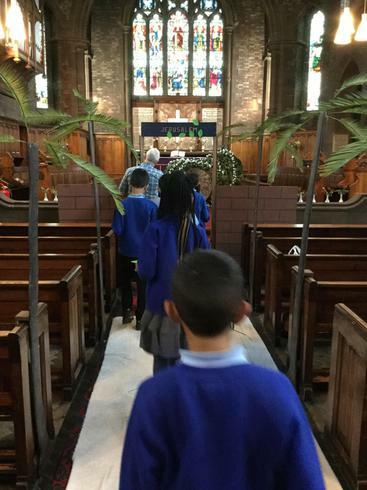 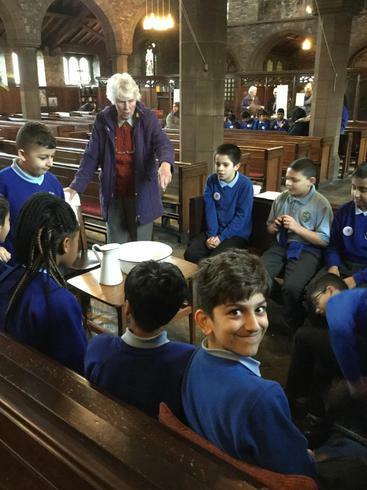 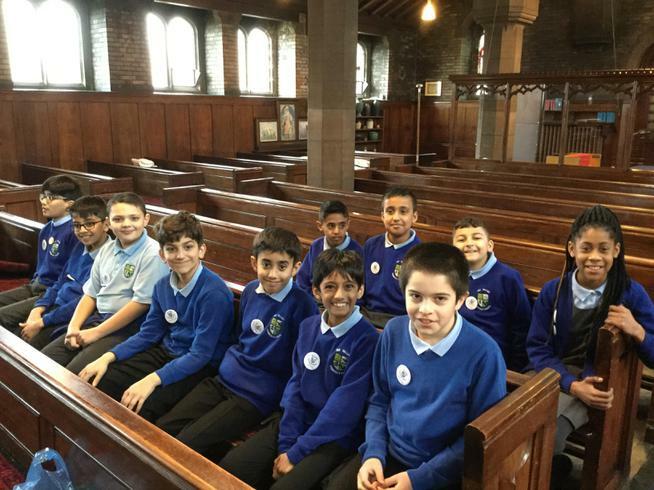 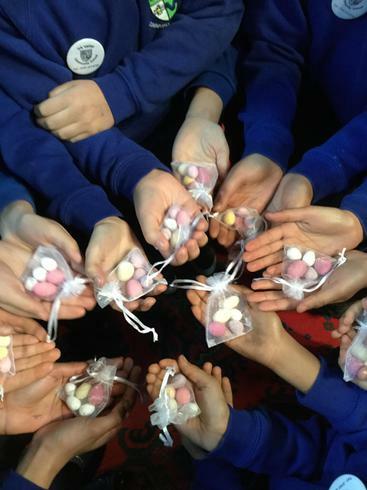 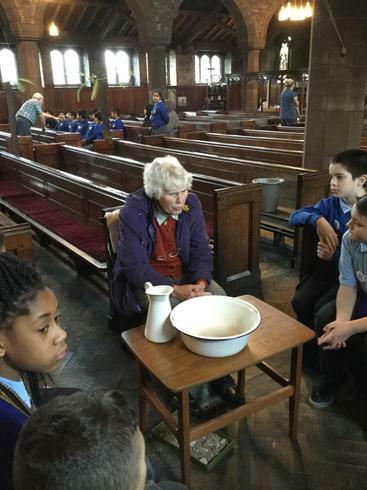 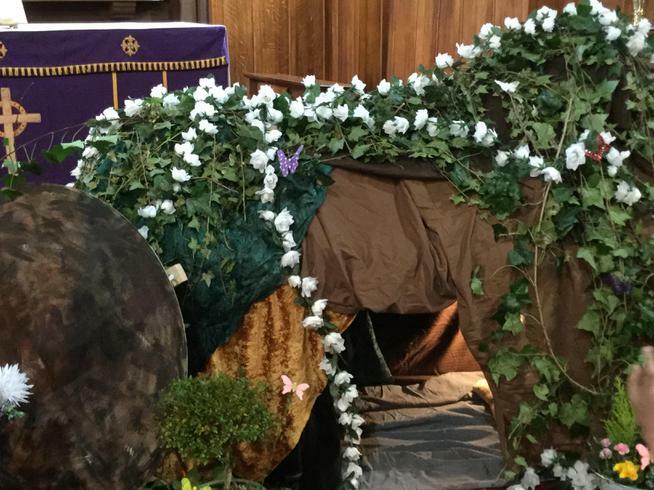 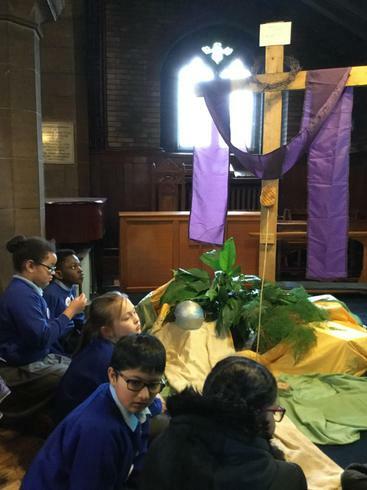 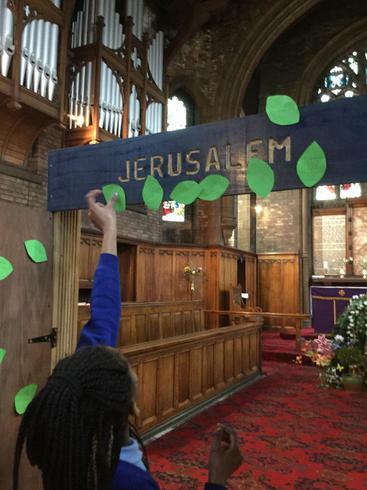 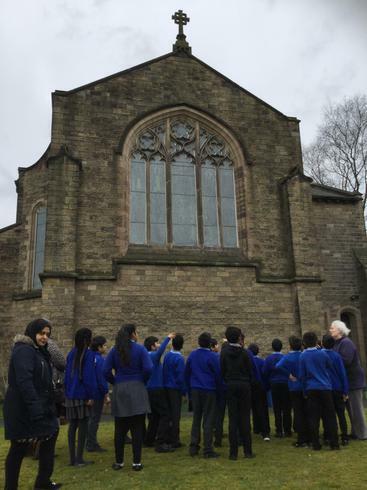 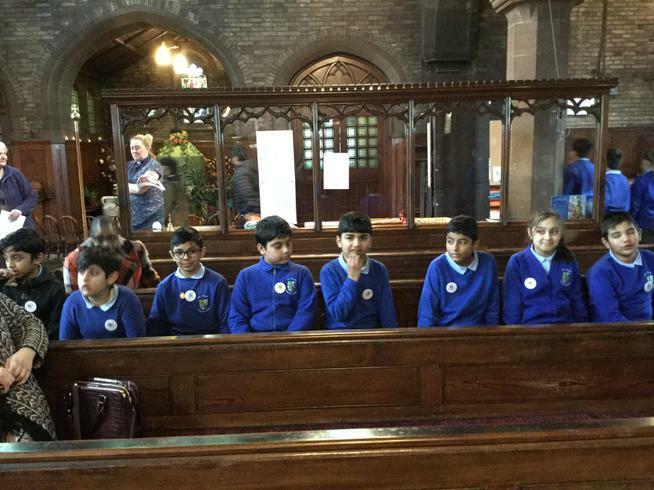 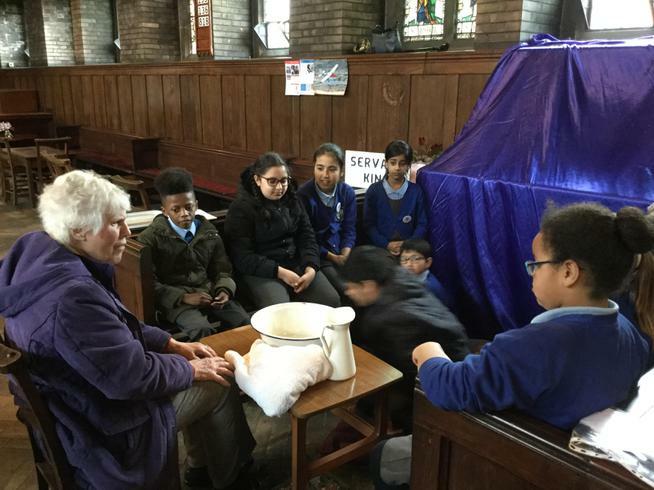 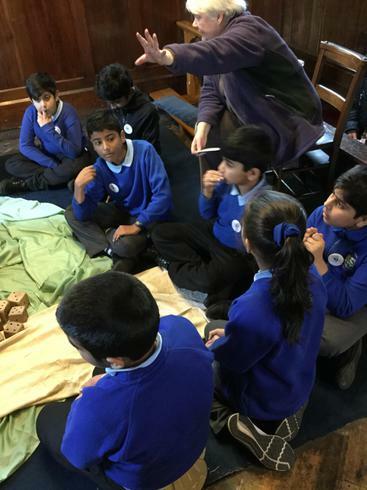 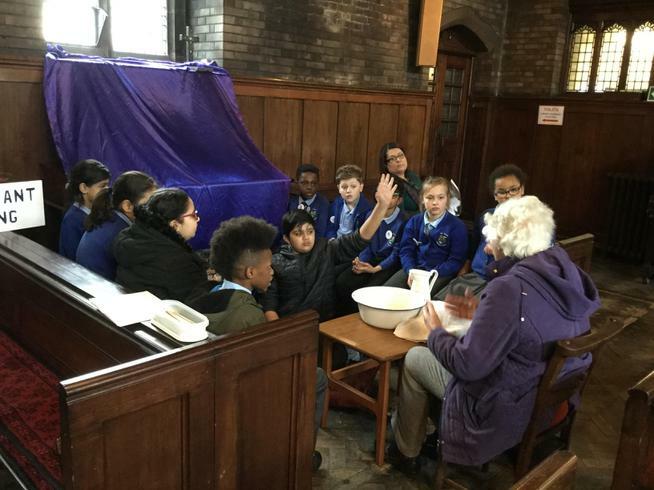 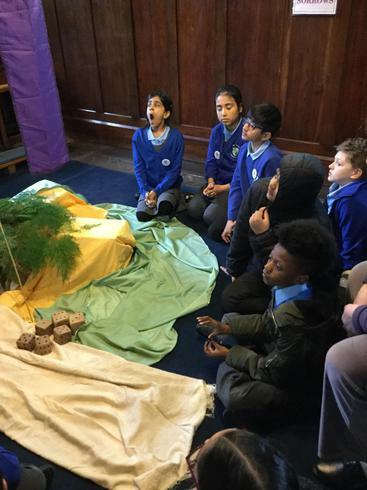 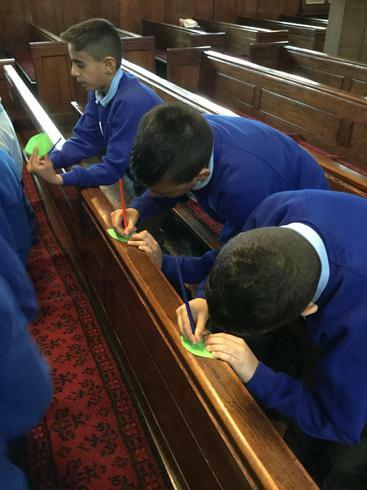 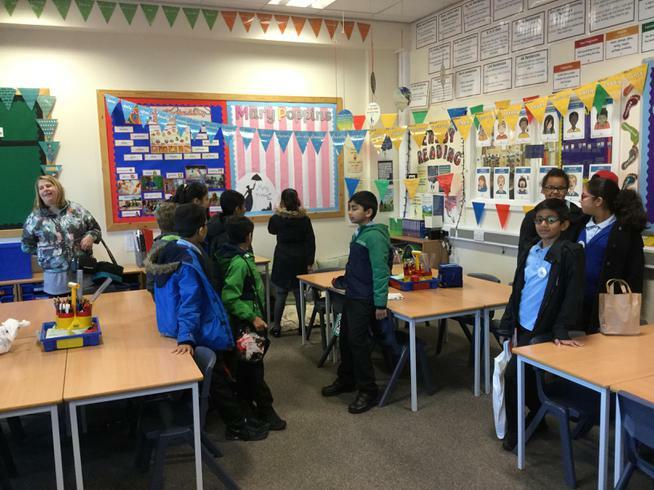 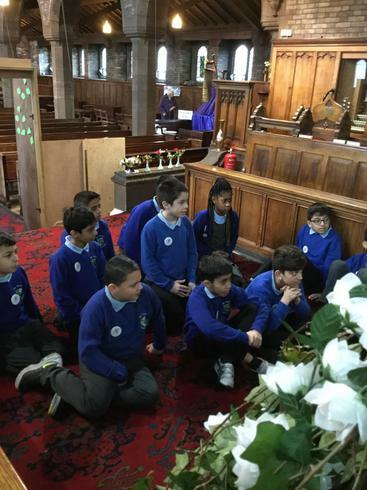 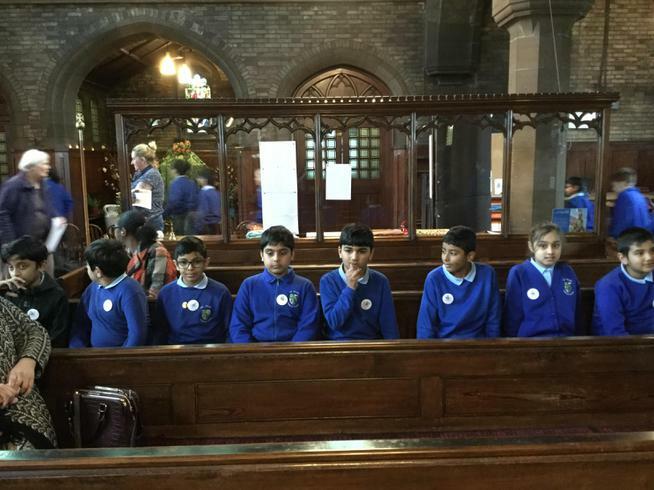 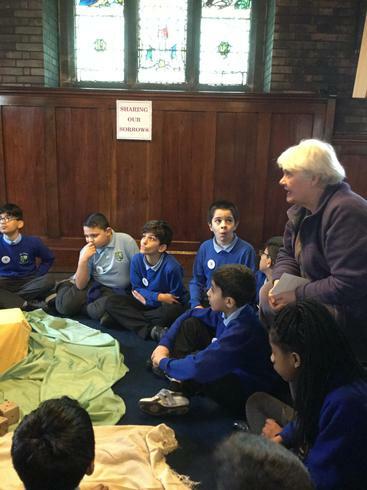 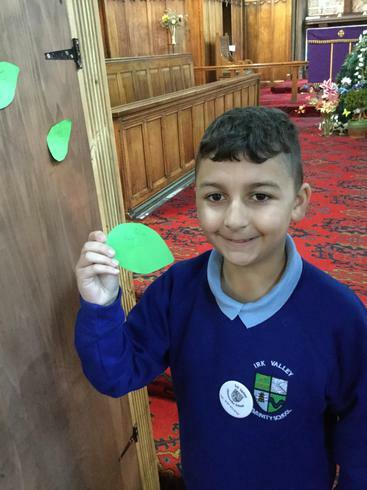 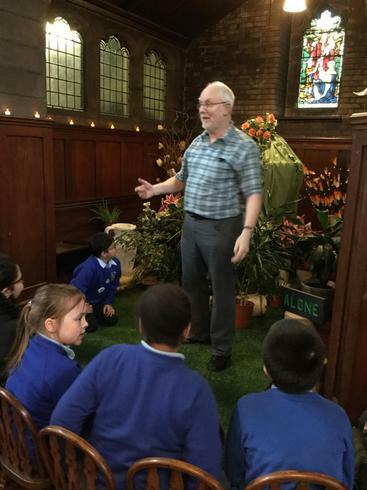 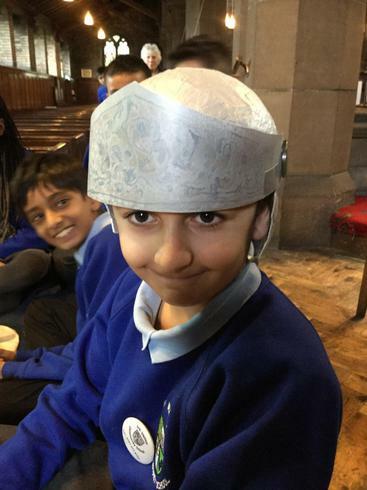 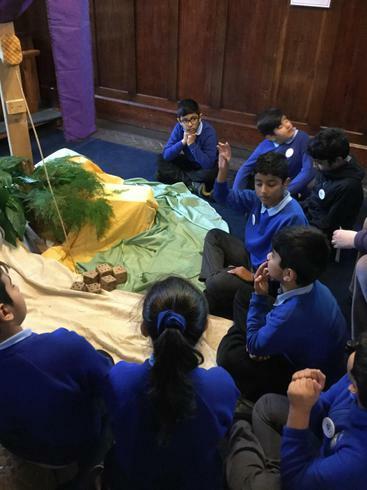 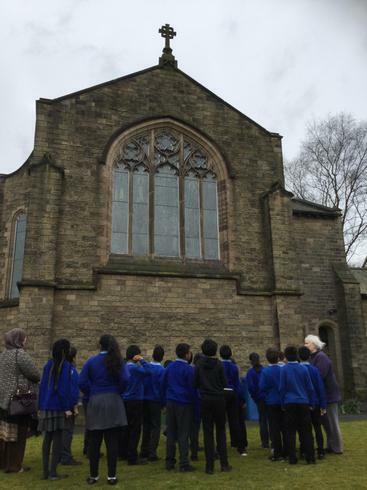 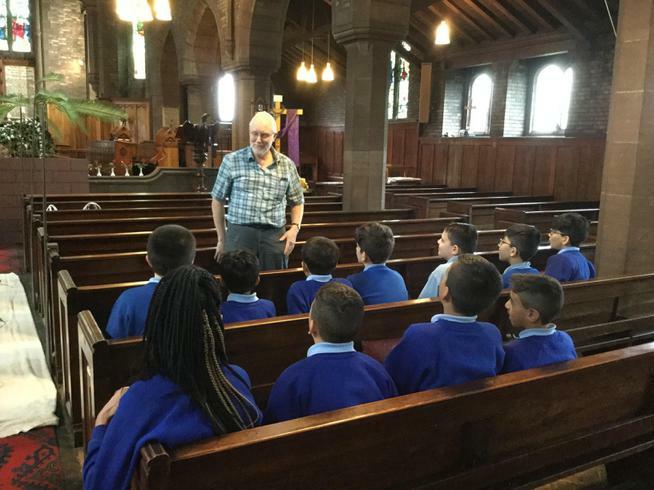 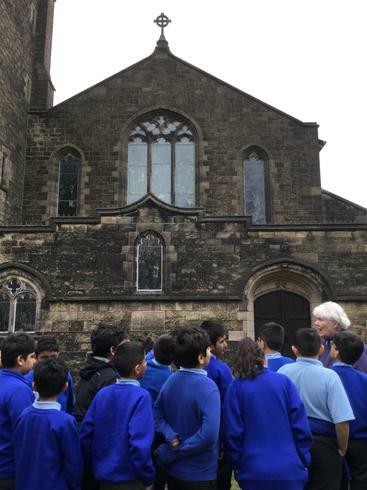 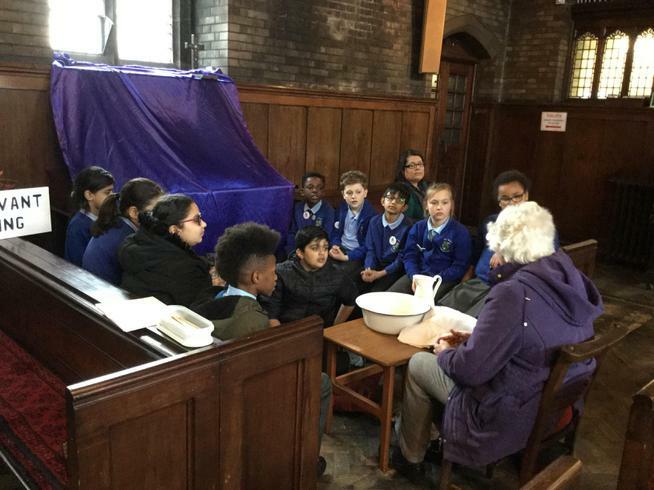 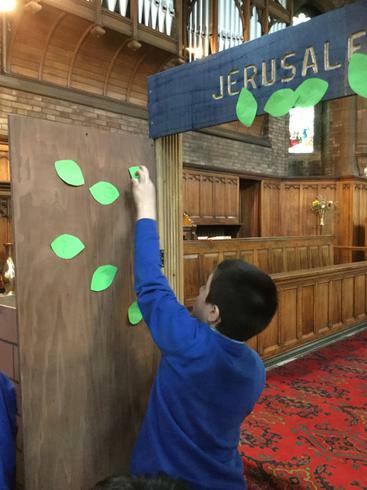 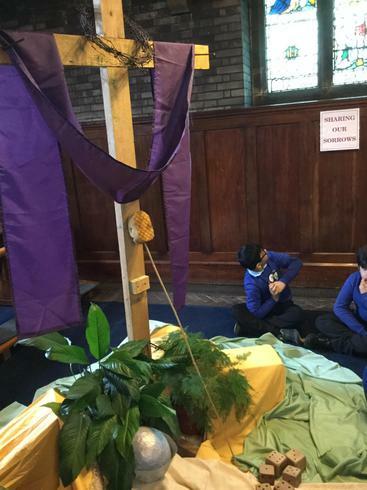 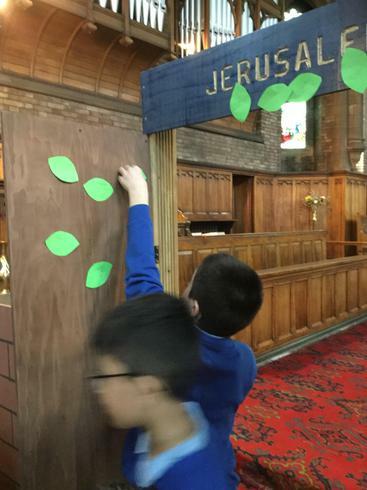 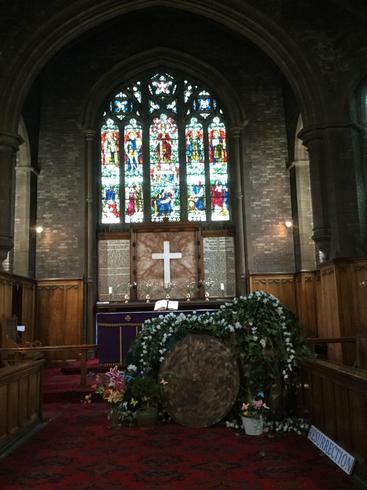 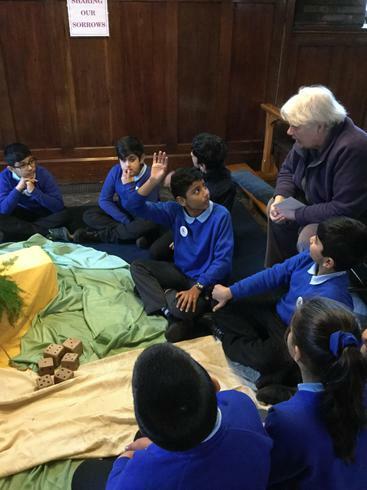 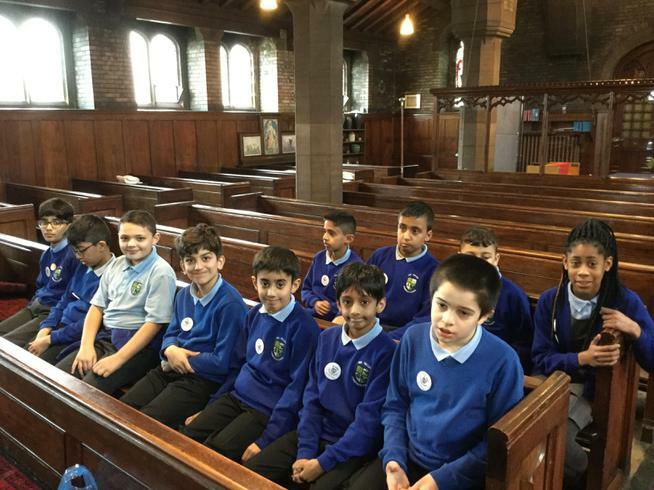 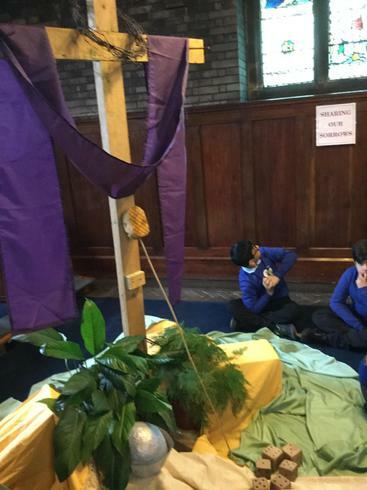 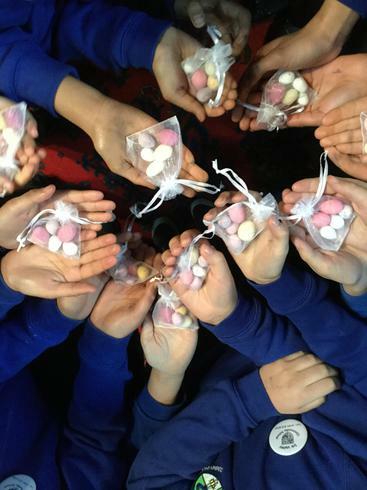 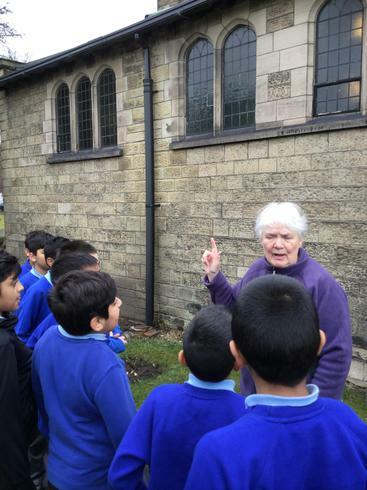 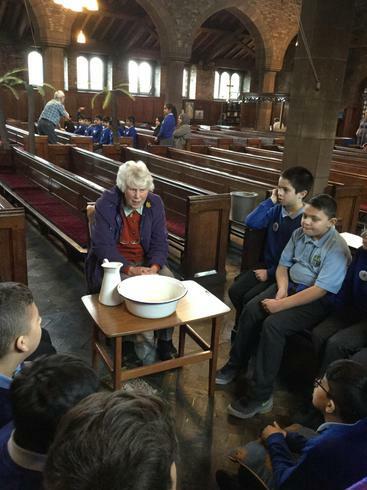 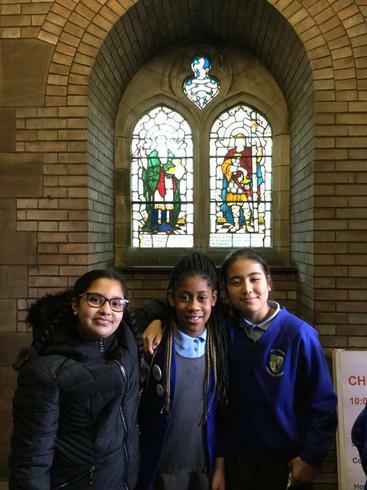 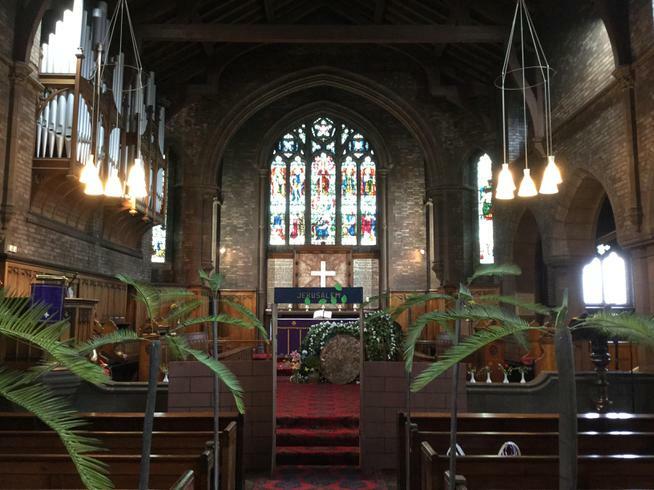 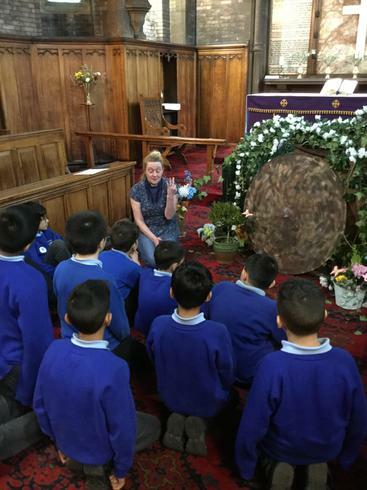 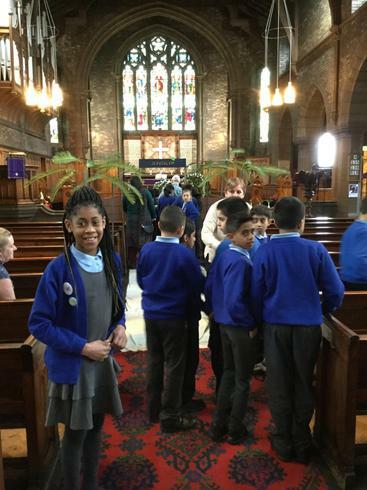 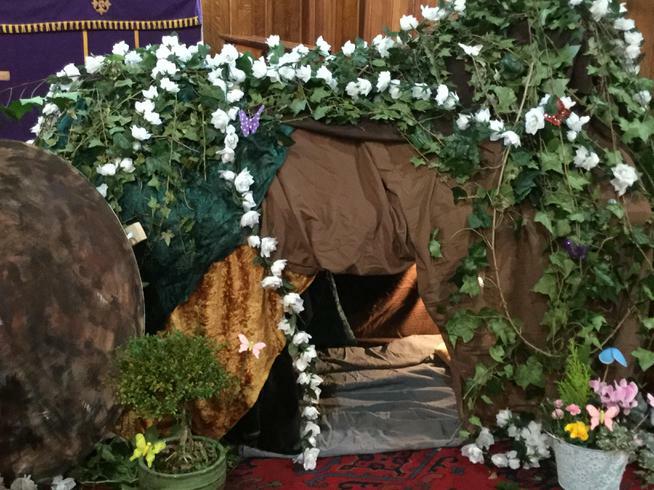 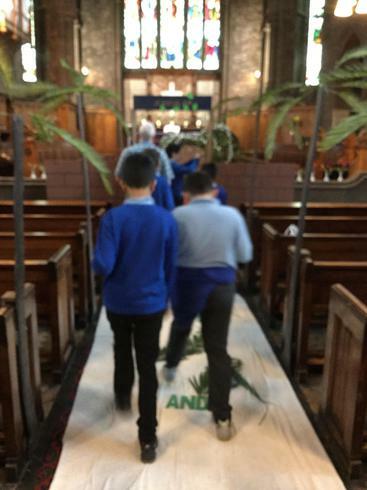 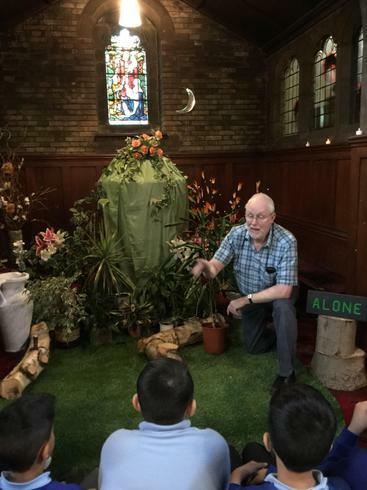 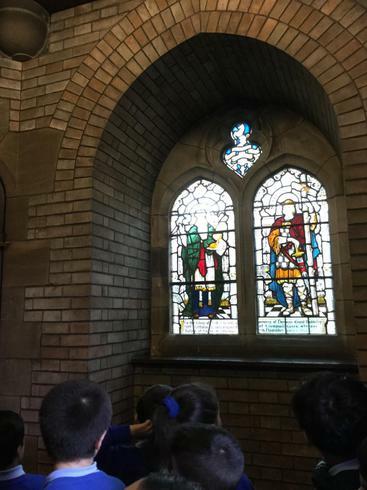 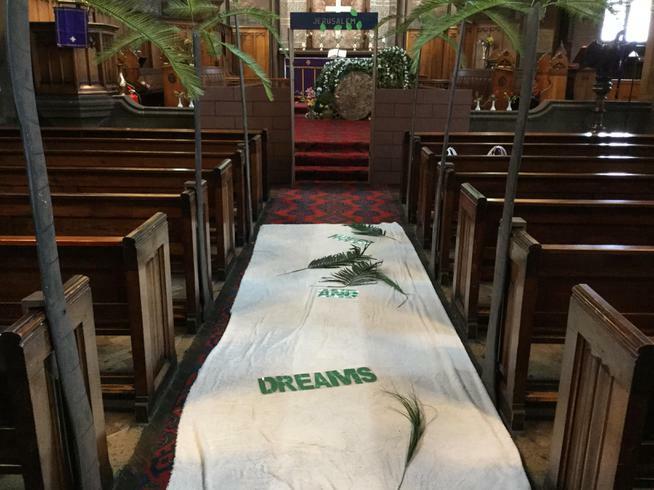 On Wednesday (4th March 2018), we were very lucky to visit St Matthew with St Mary's church to learn all about Easter and we took part in a number of activities around the events of the Easter Story. 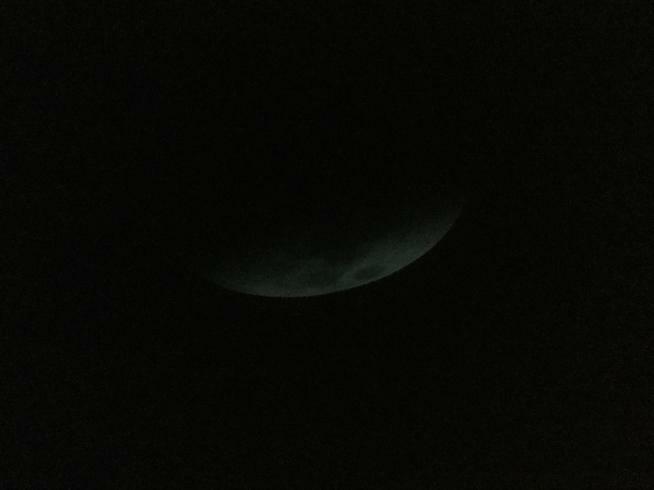 This term in science we have learnt about Space! 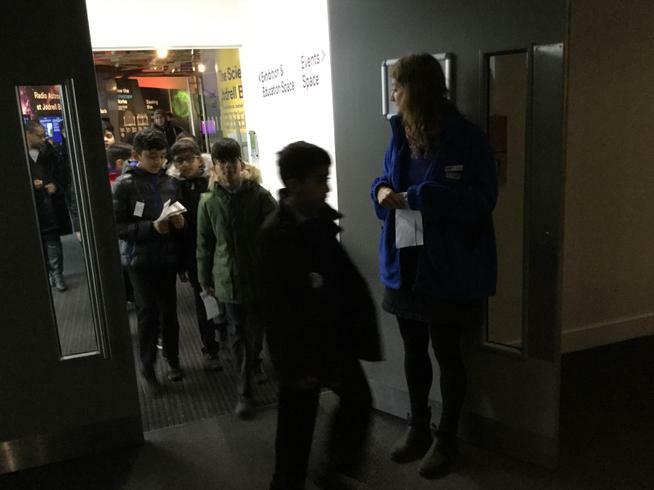 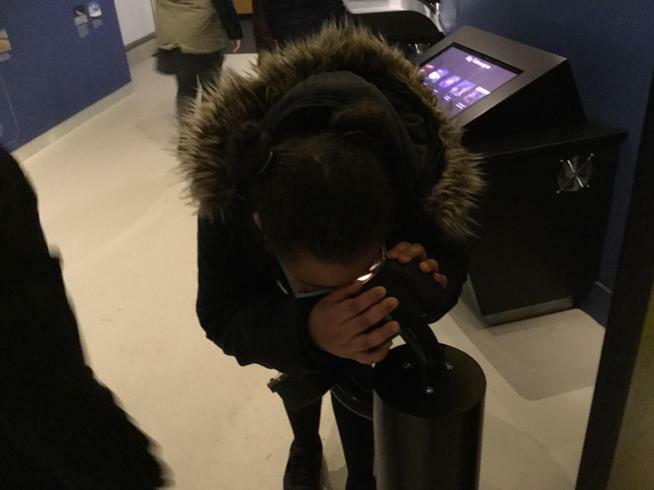 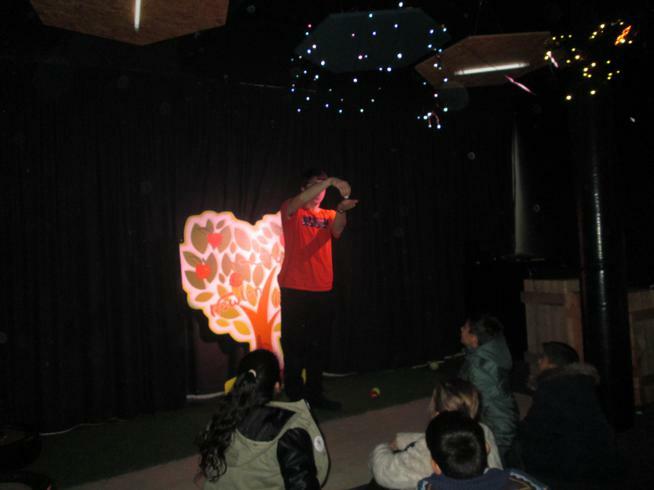 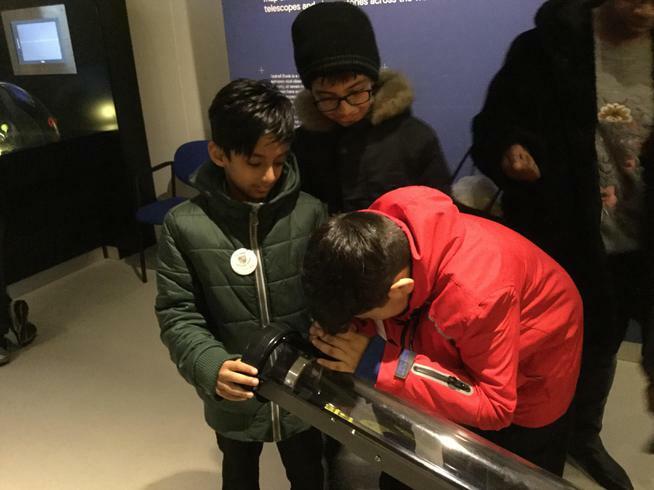 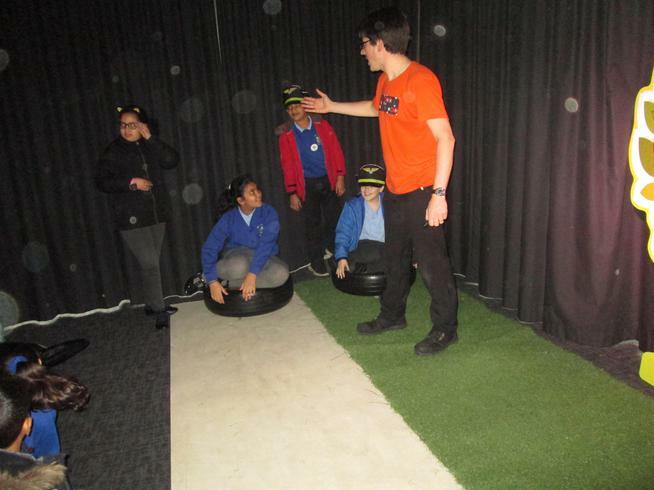 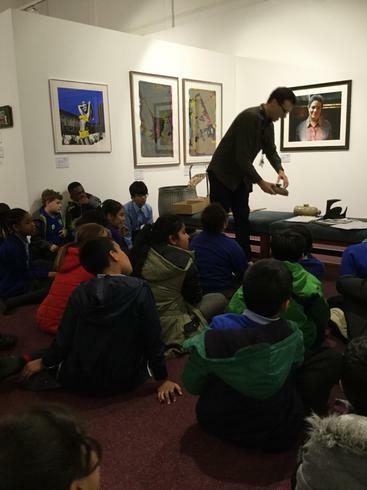 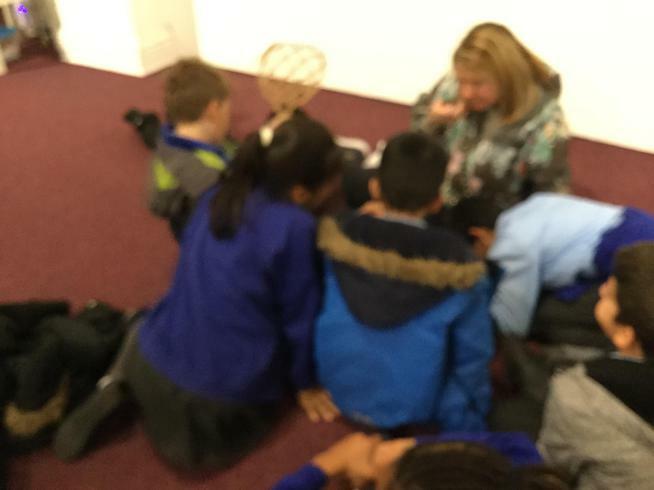 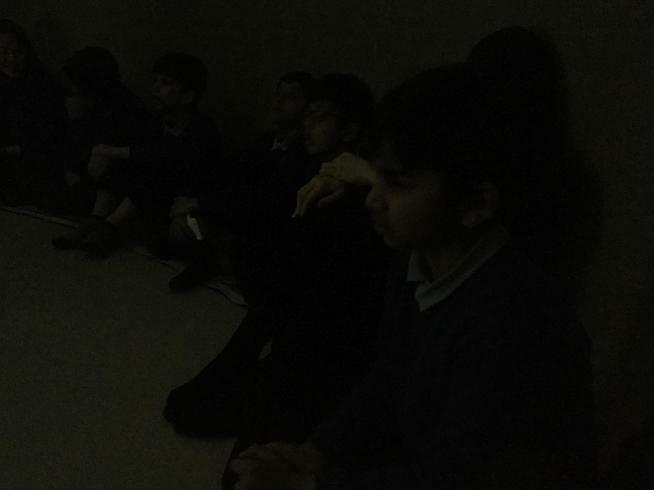 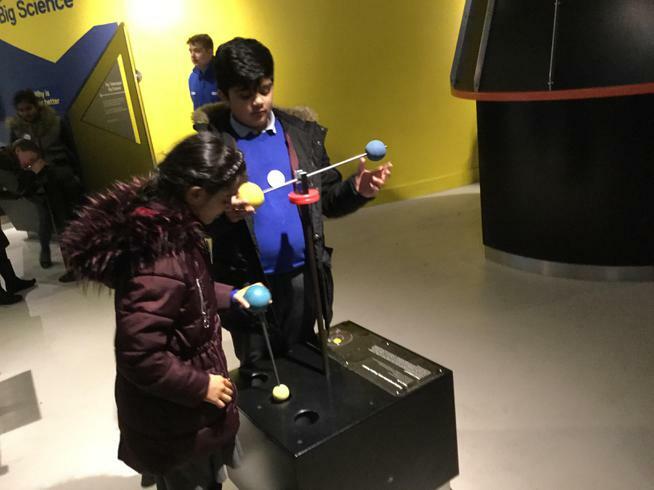 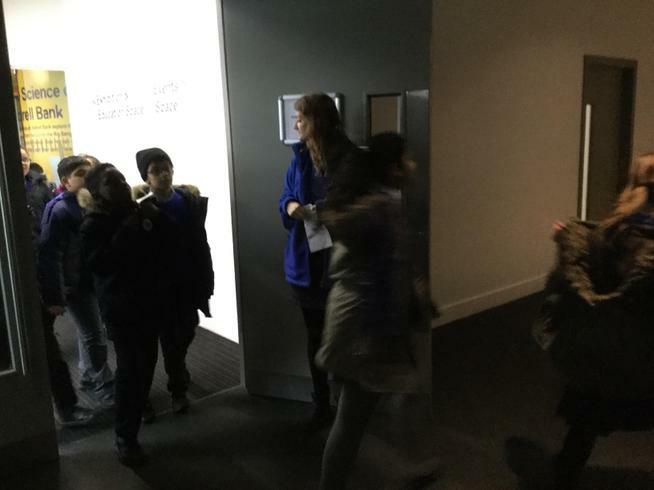 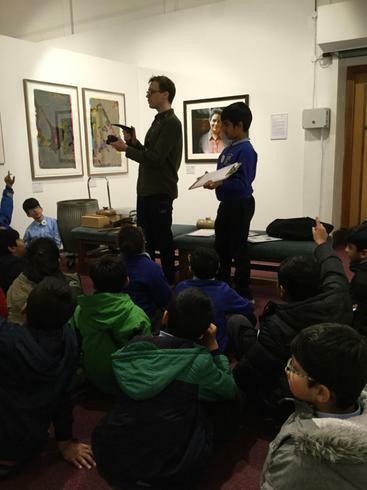 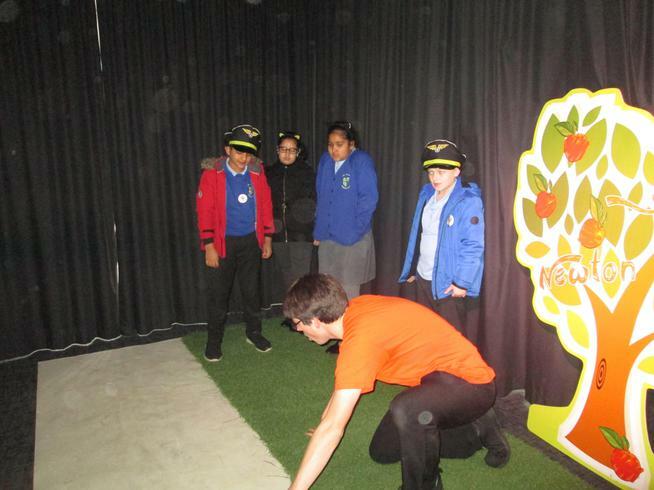 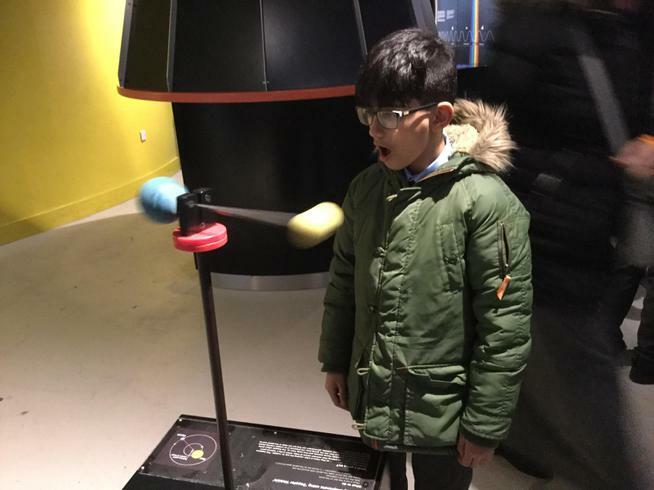 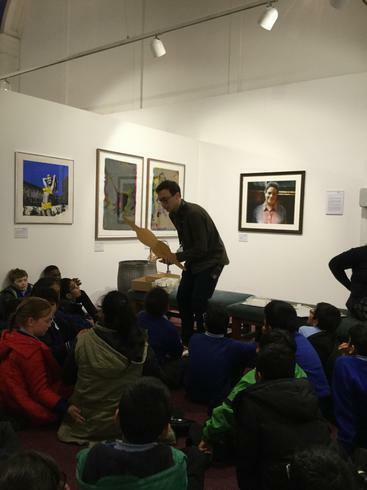 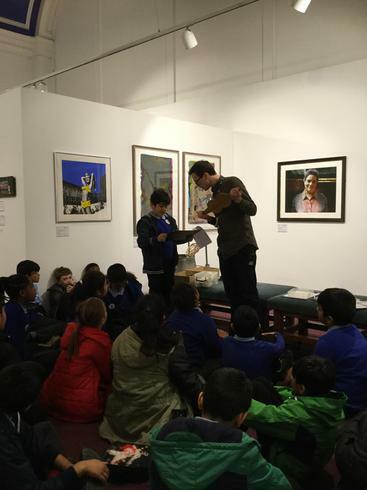 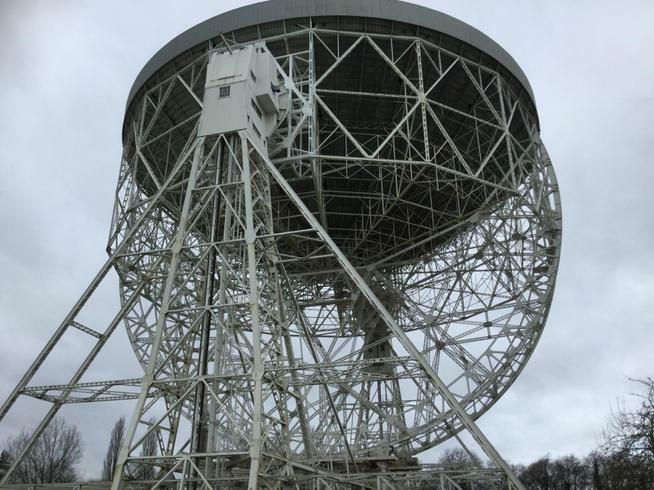 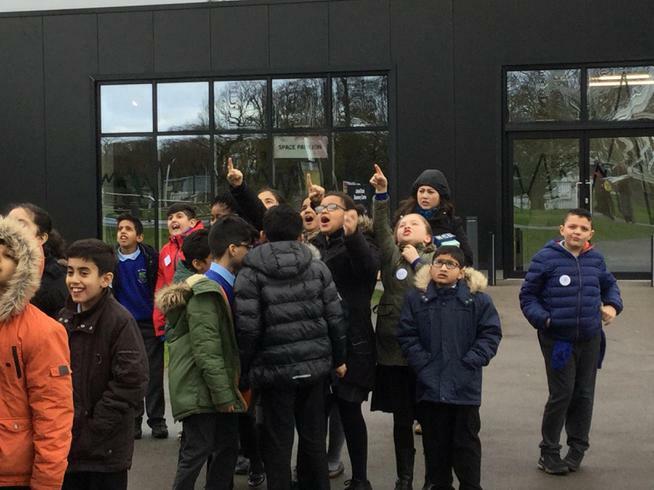 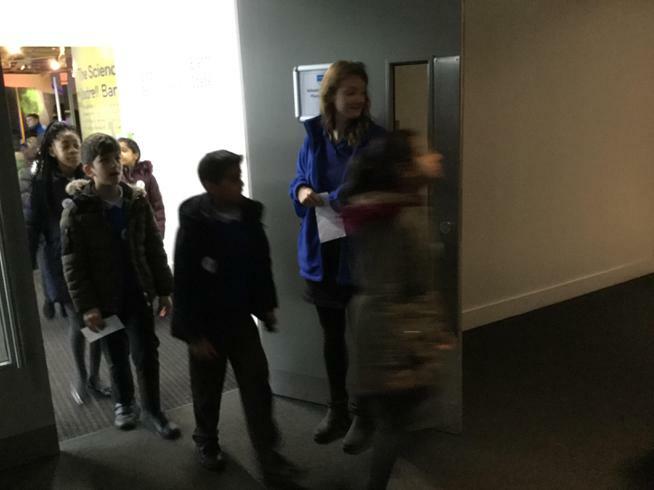 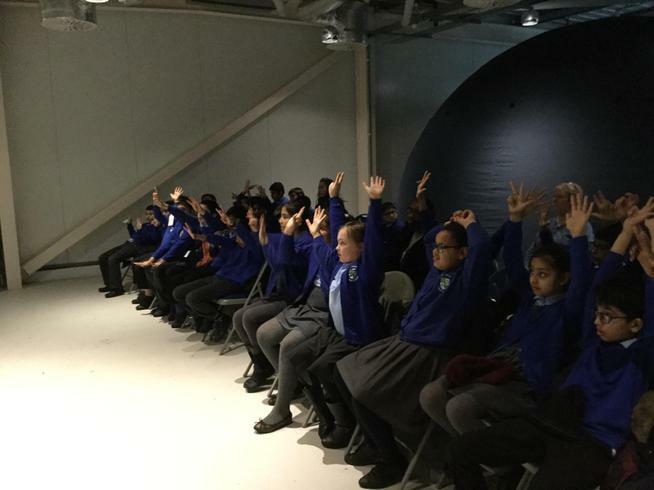 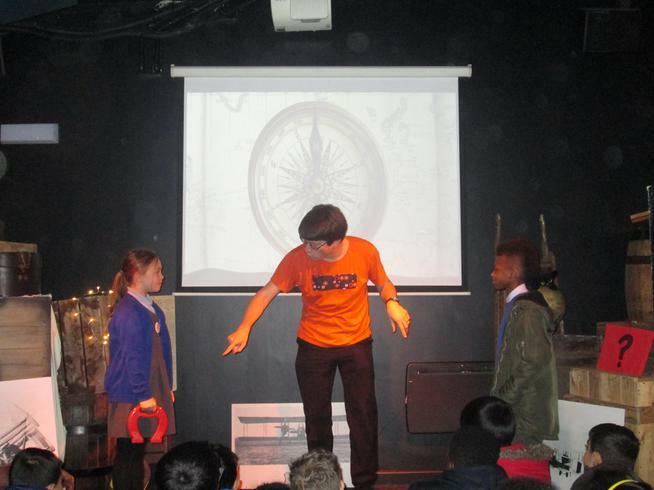 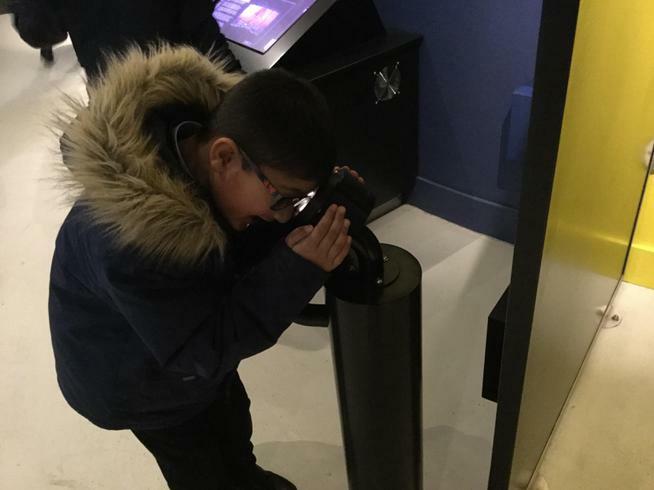 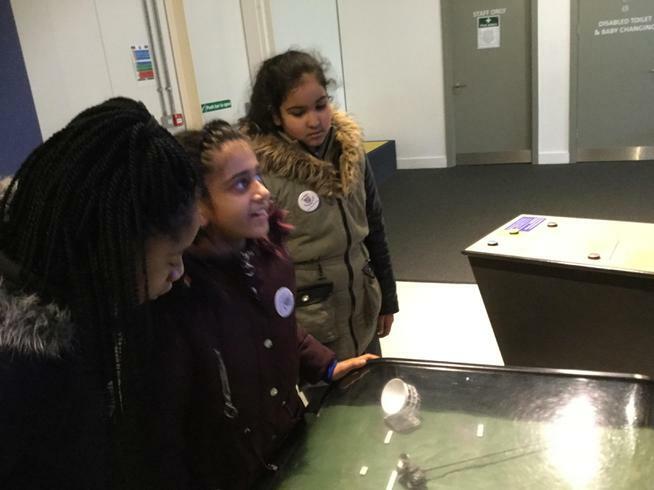 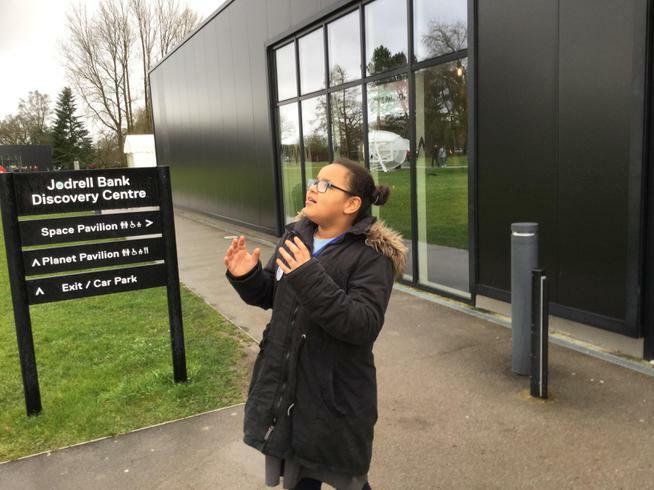 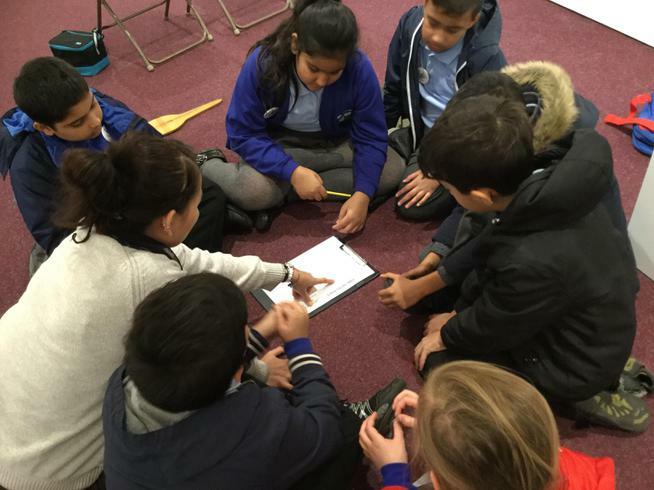 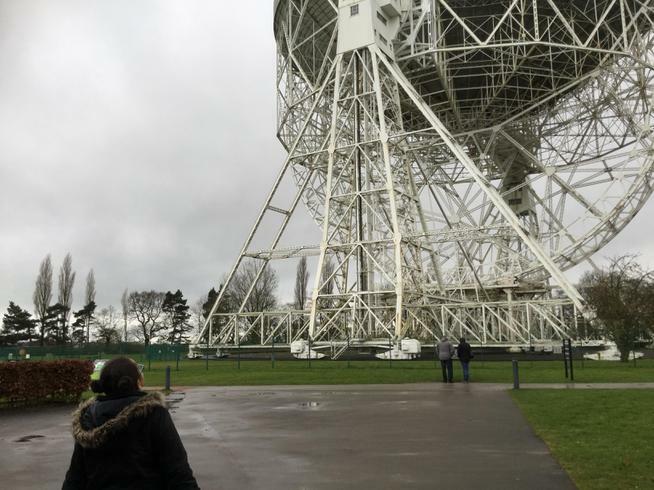 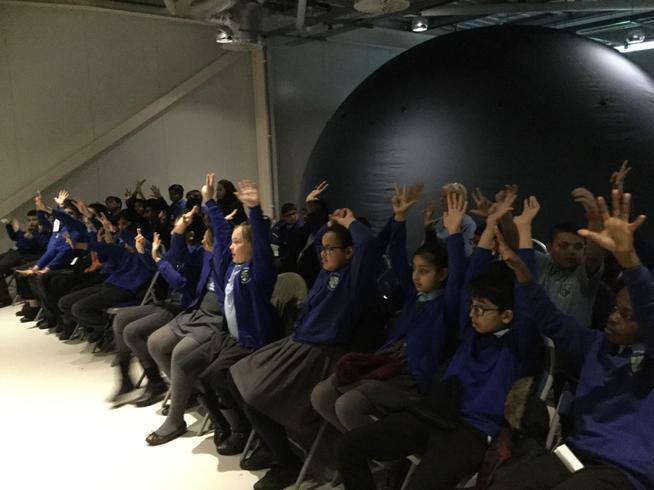 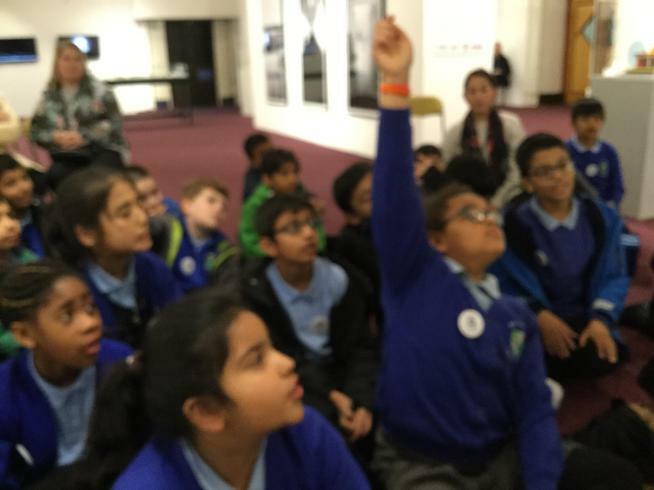 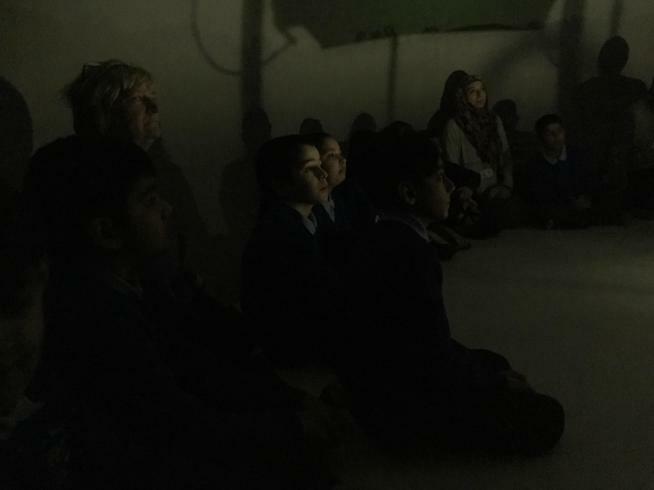 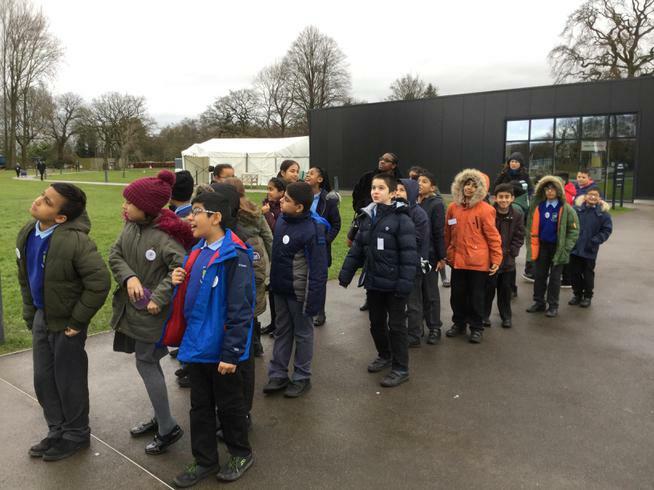 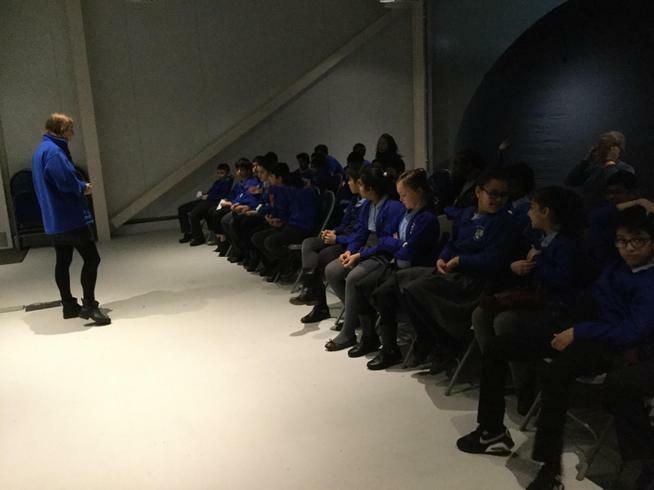 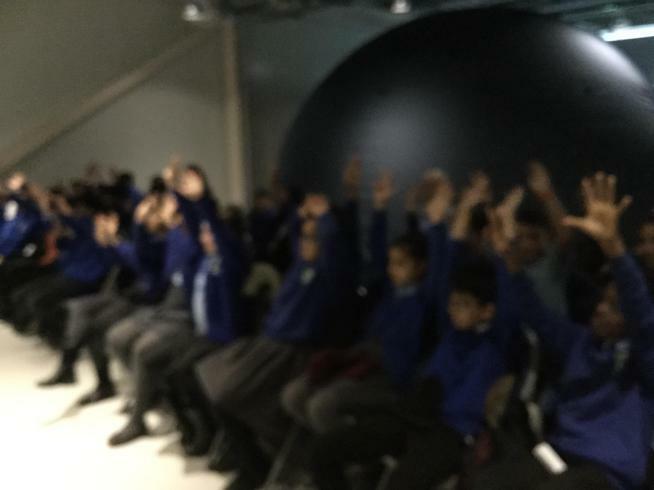 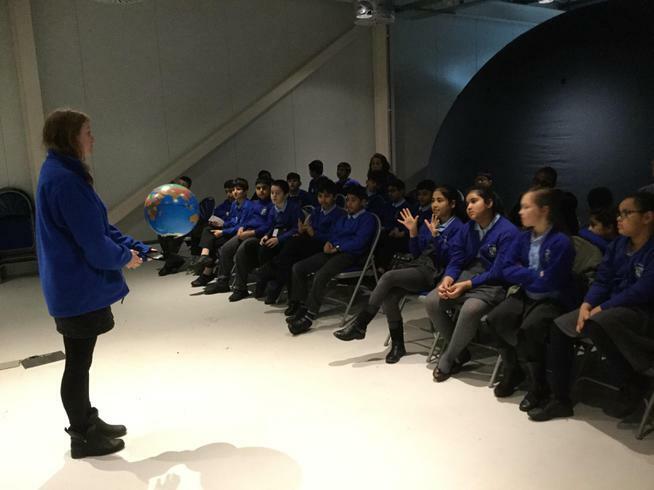 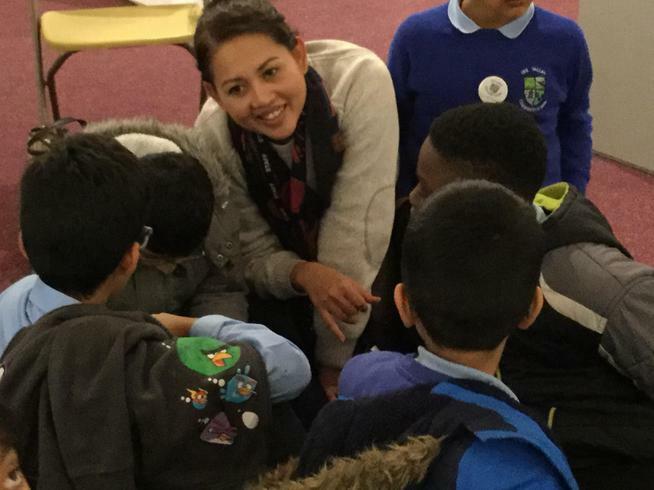 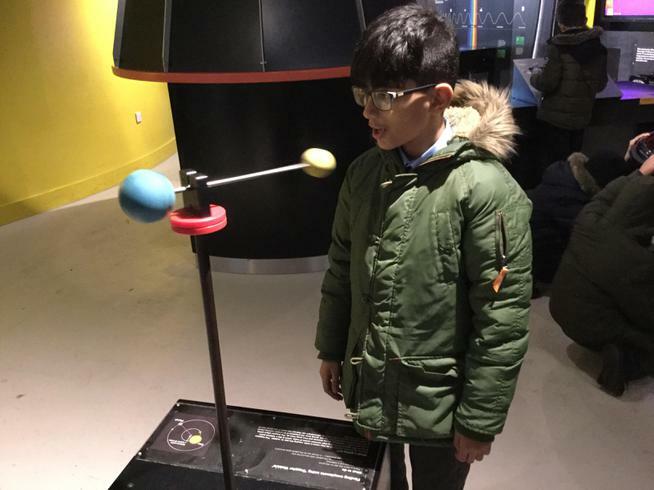 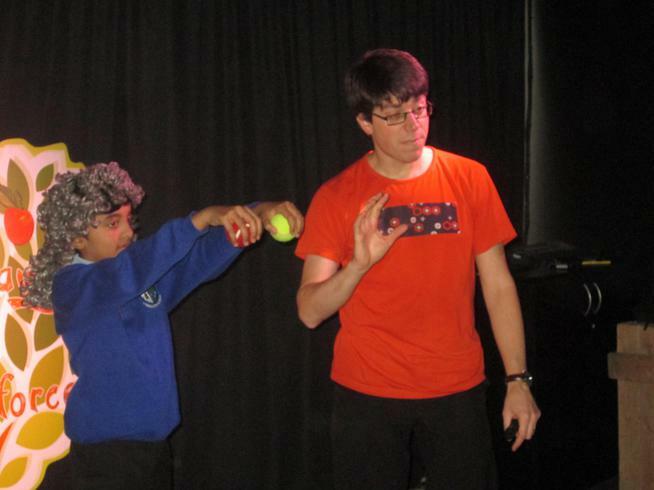 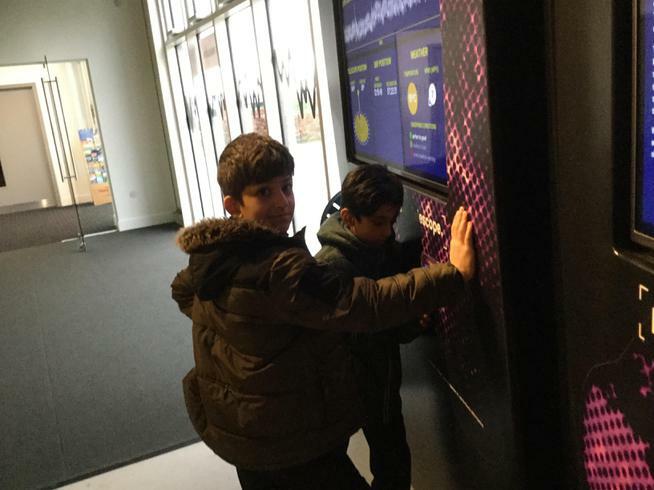 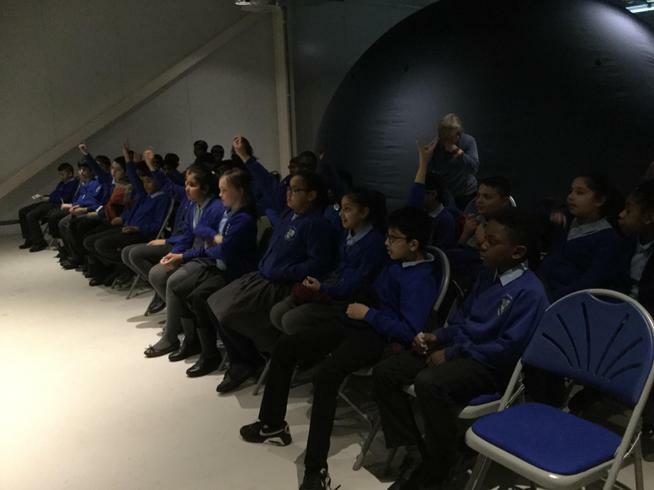 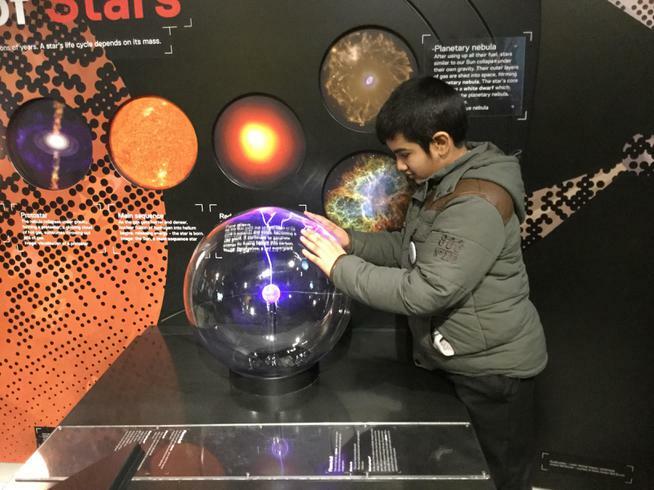 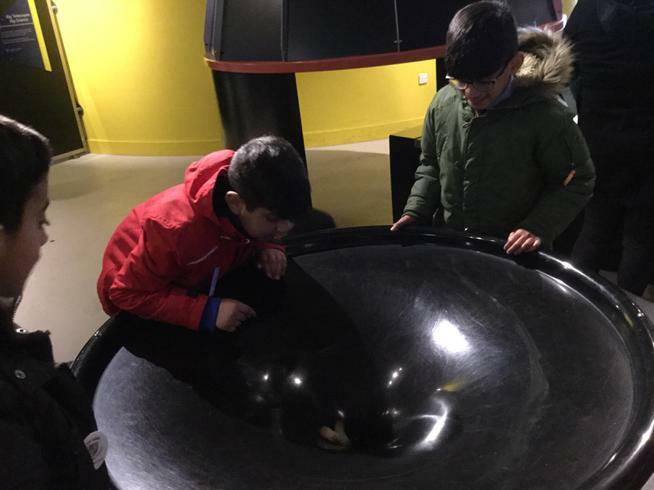 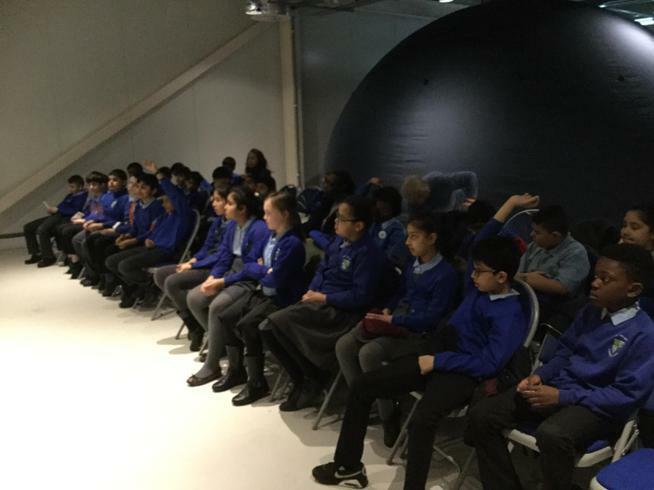 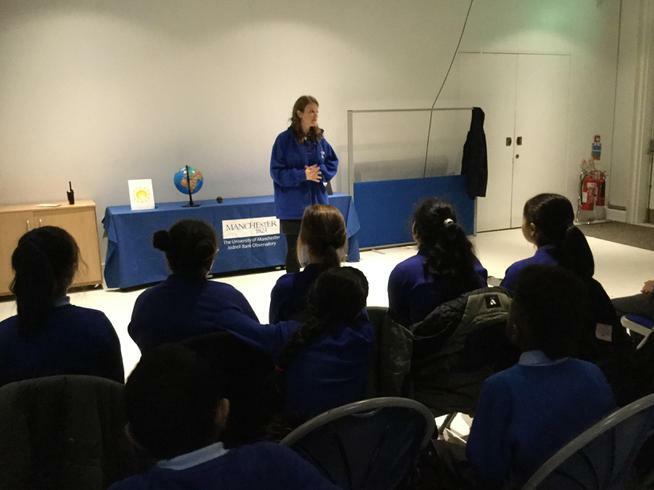 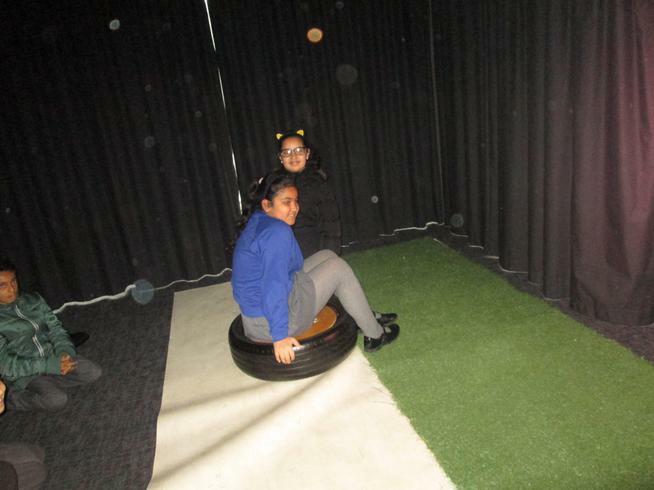 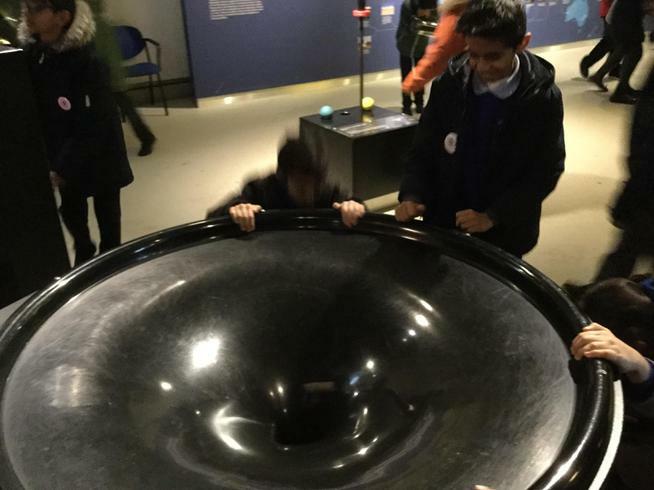 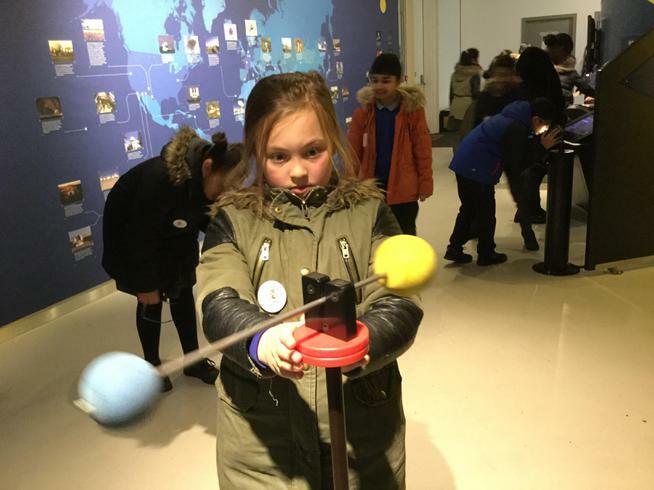 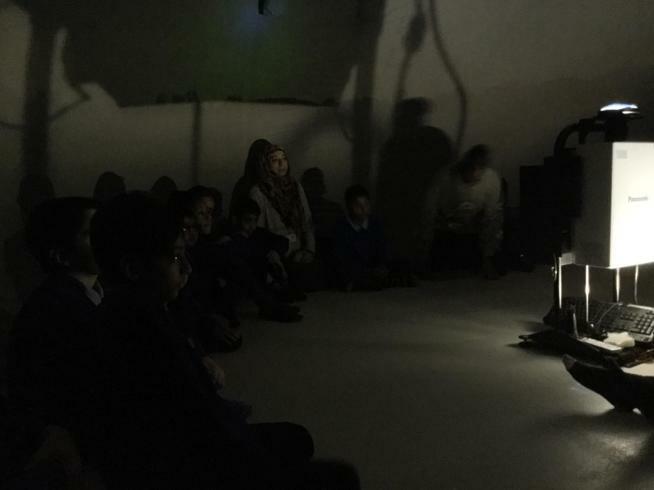 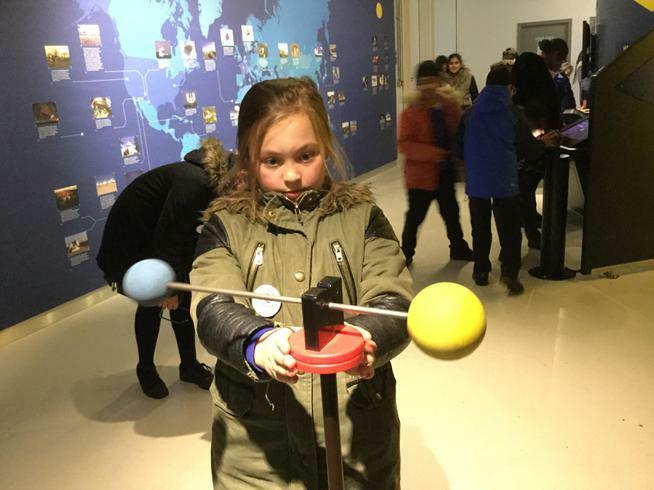 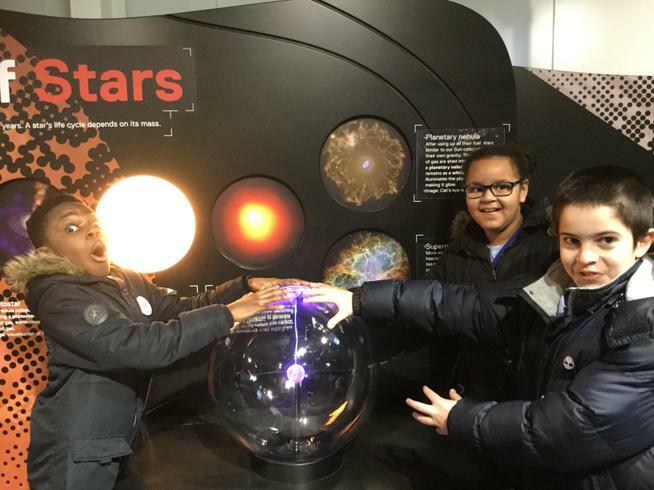 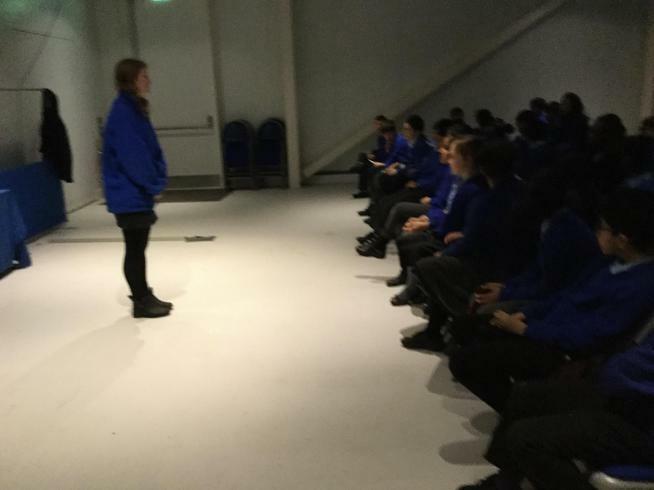 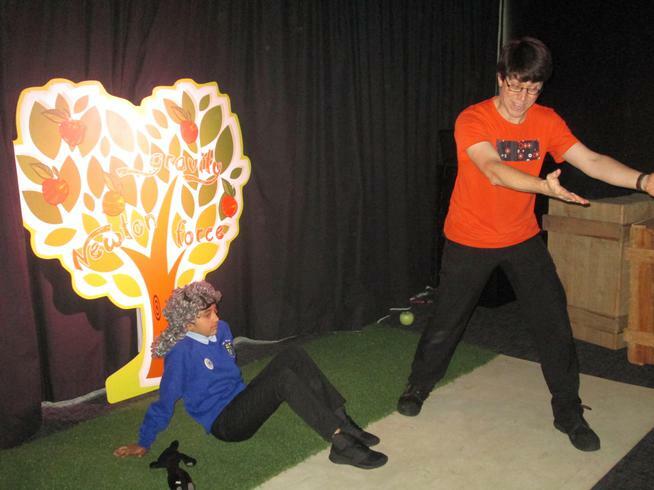 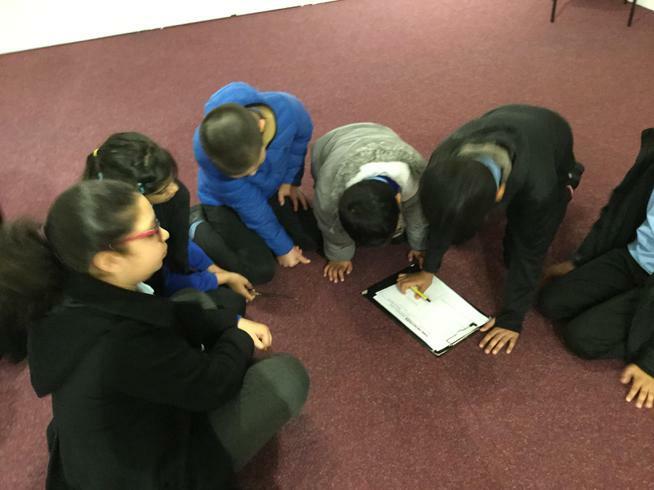 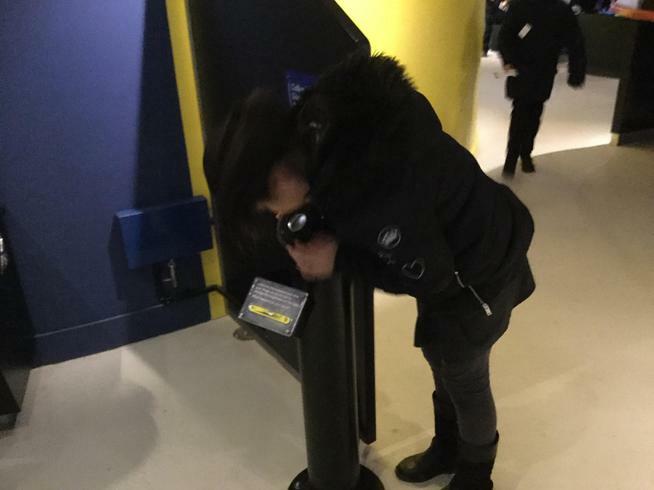 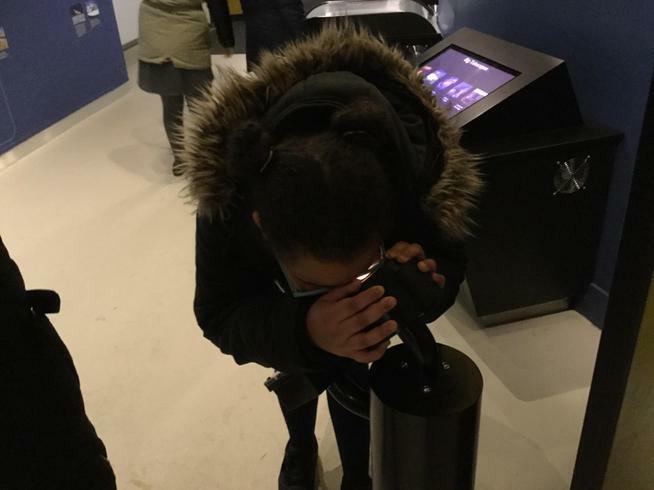 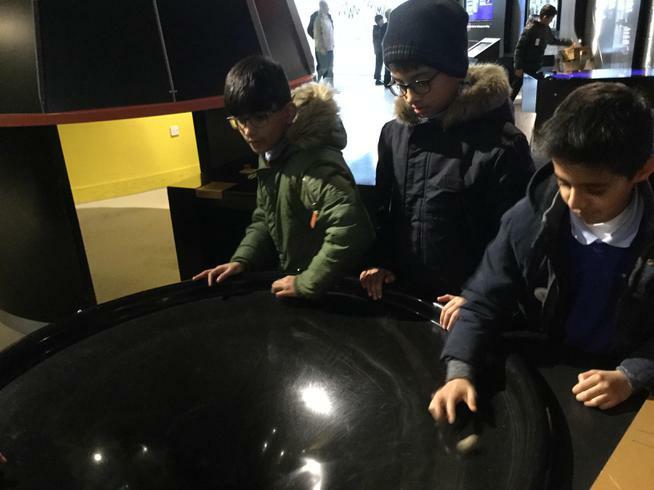 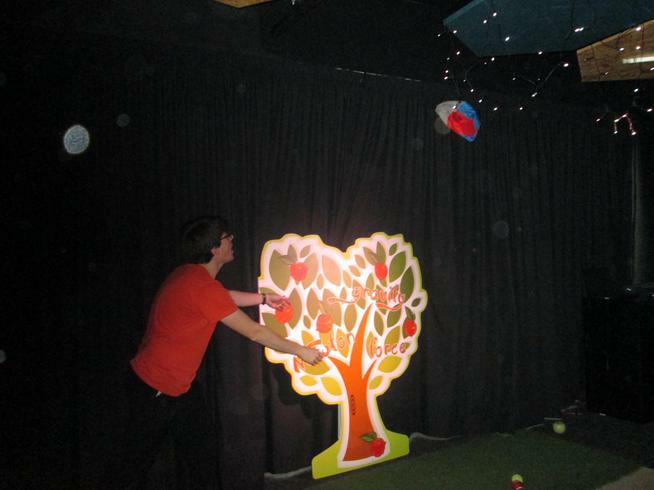 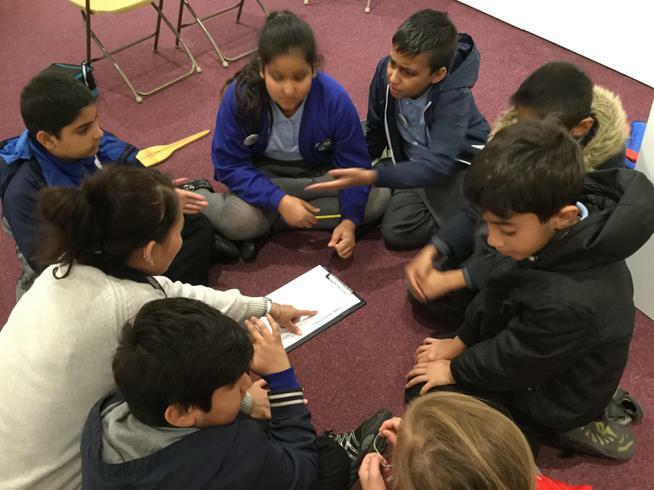 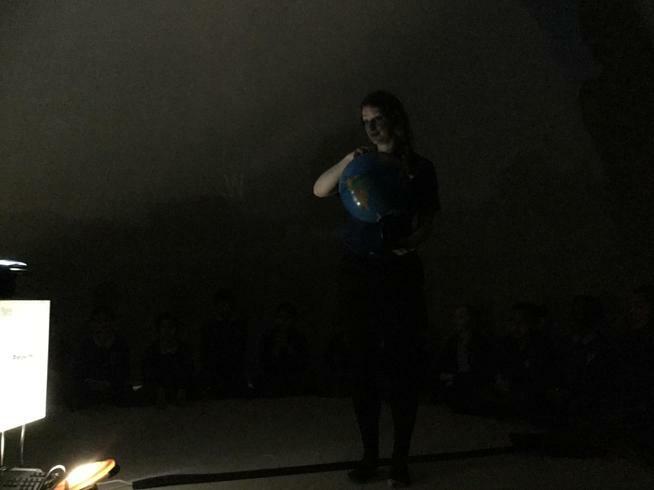 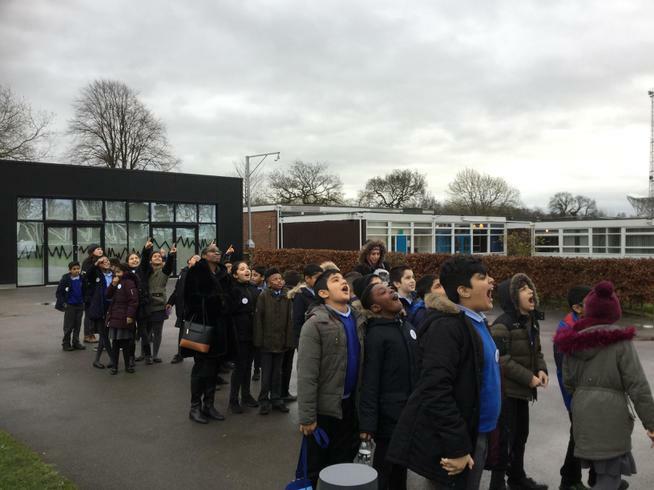 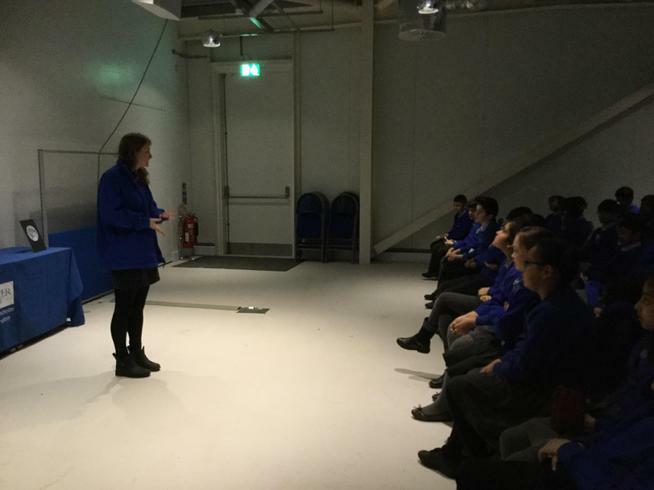 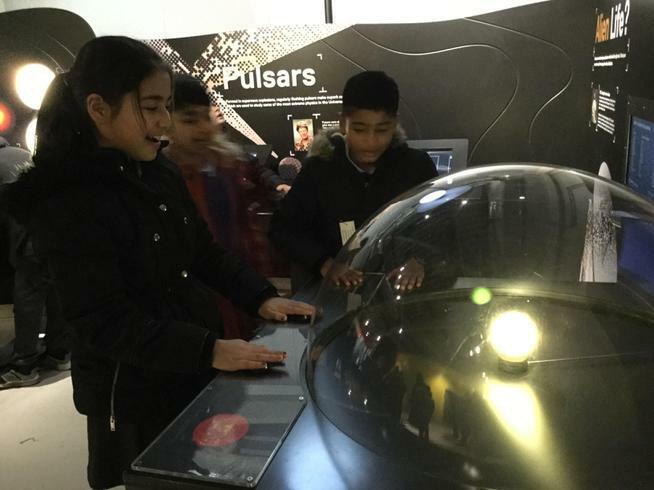 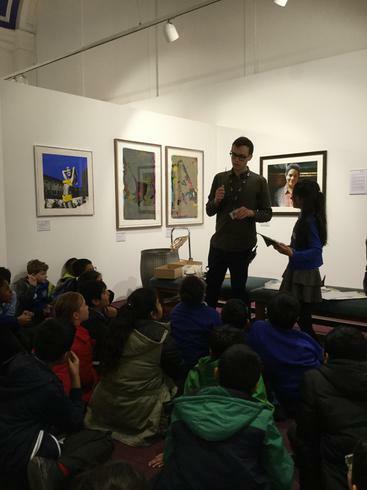 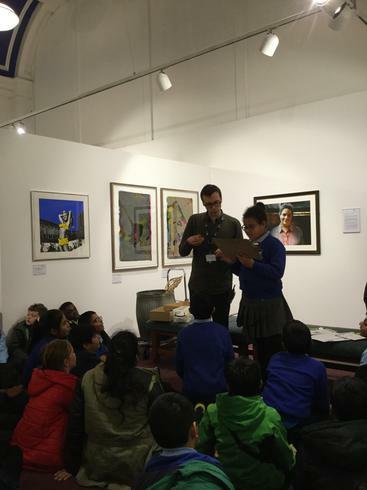 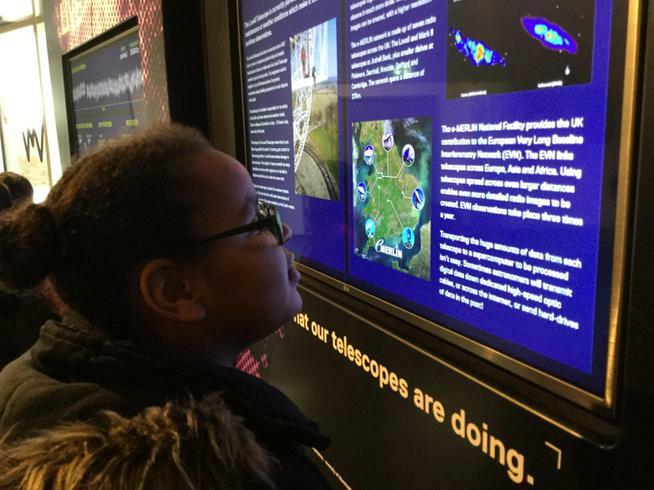 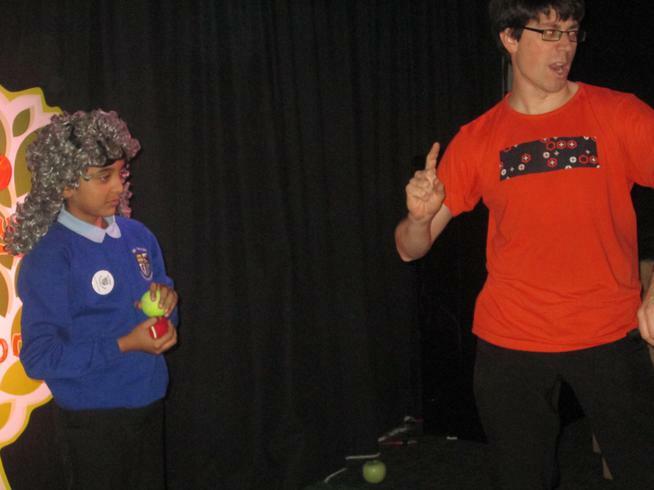 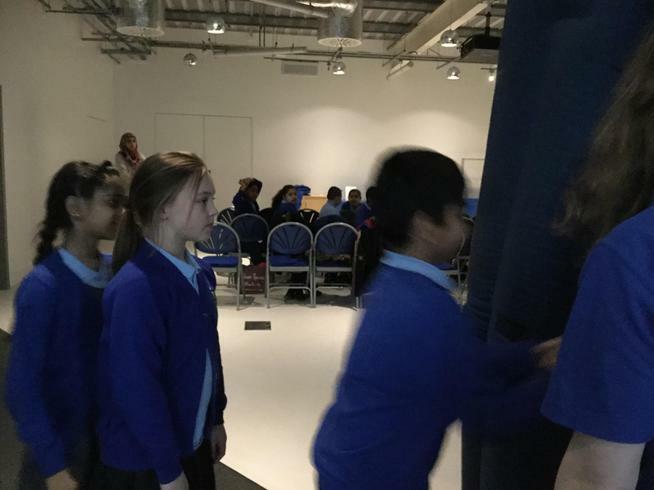 Our class took a trip to Jodrell Bank to learn more about Space, and the famous telescope! 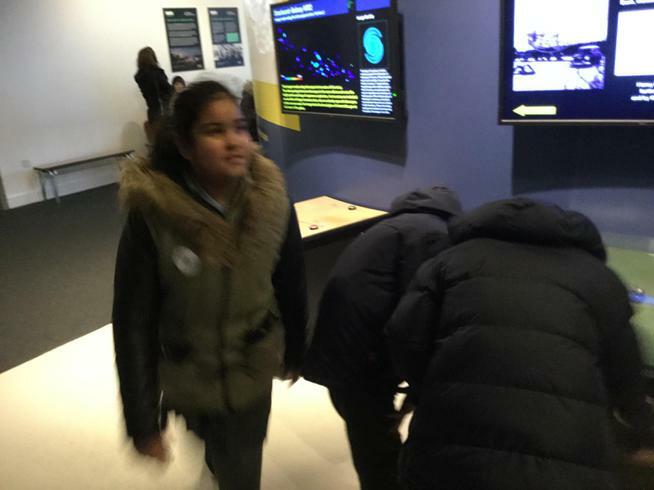 Class 5A had a super trip to visit Jodrell Bank as part of our theme "What is it like in Space?" 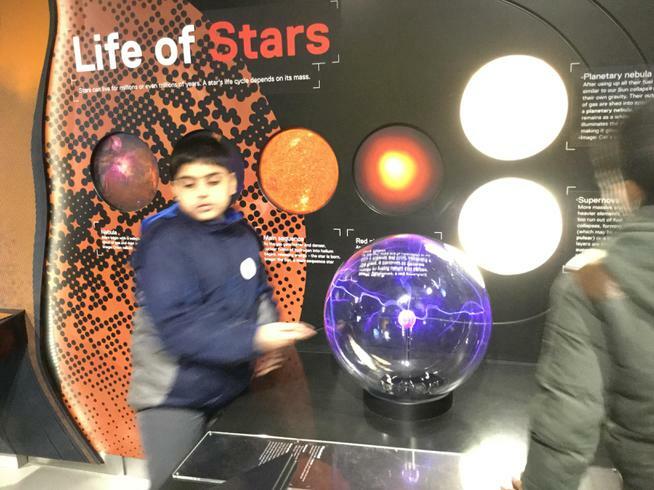 We had a fantastic time finding out lots of information about the stars, planets and moons in our solar system. 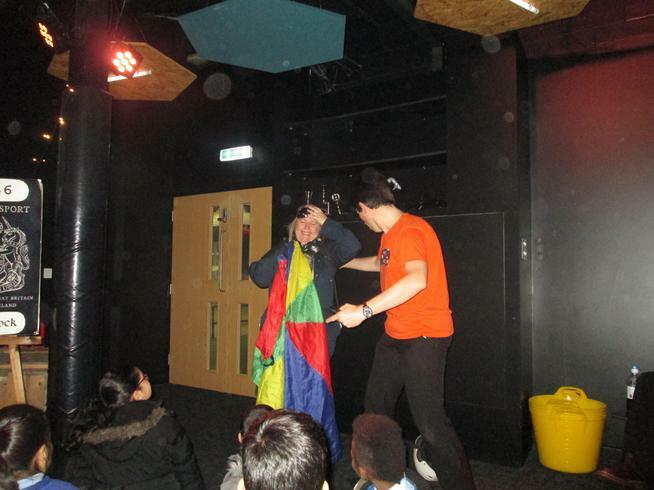 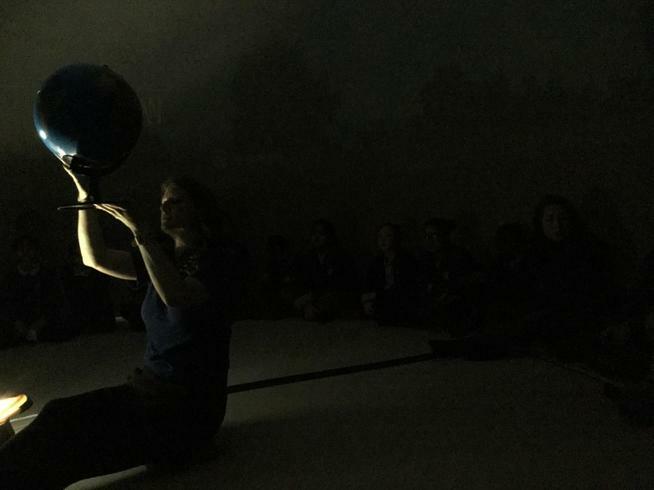 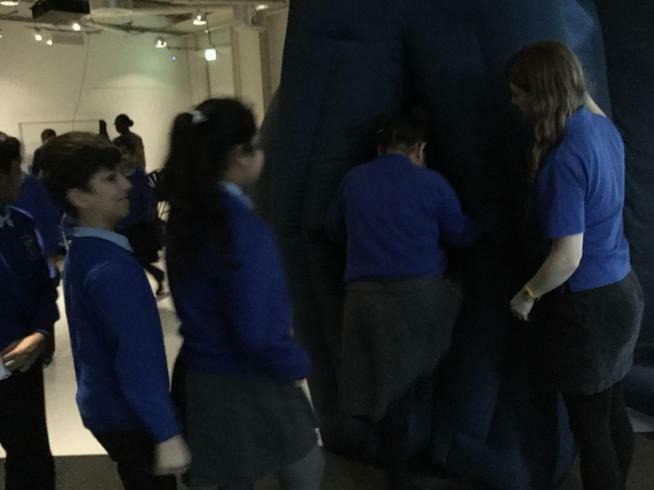 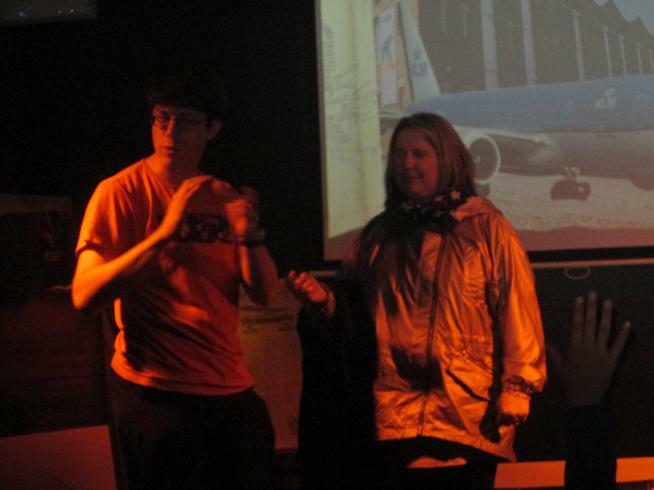 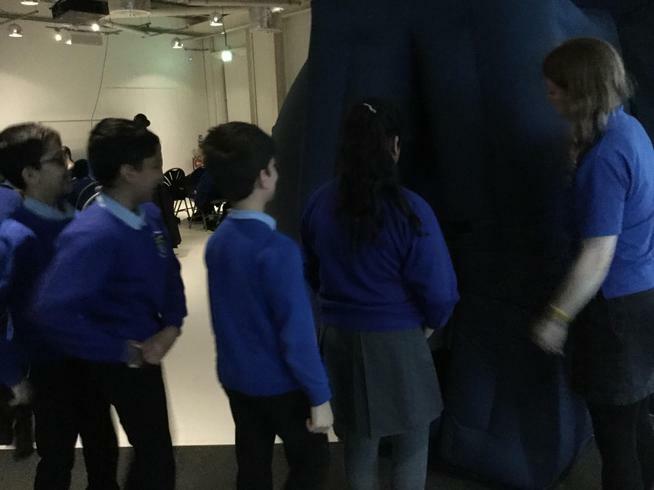 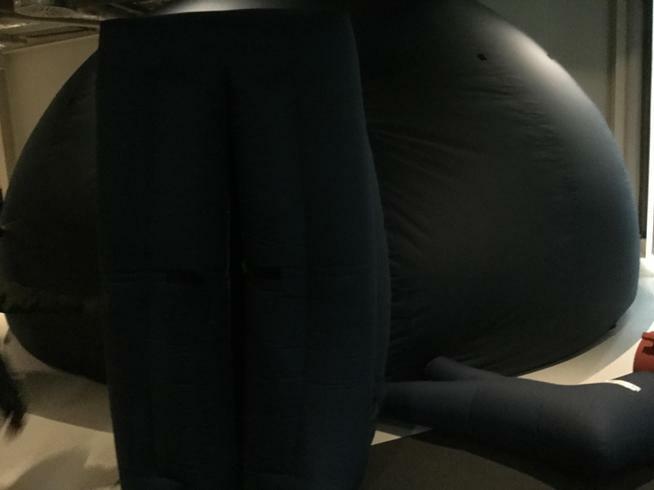 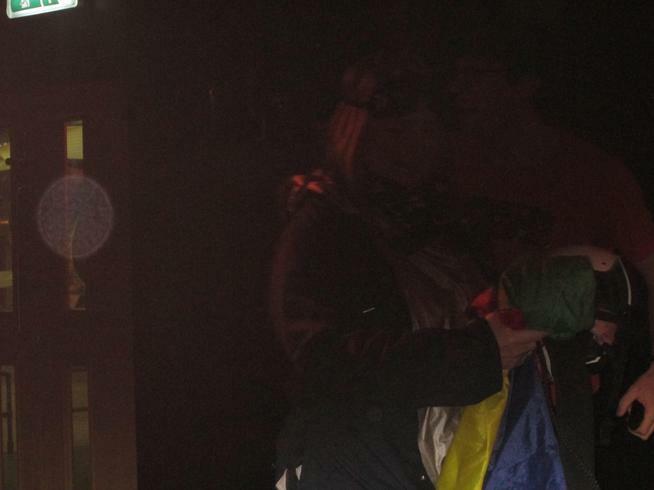 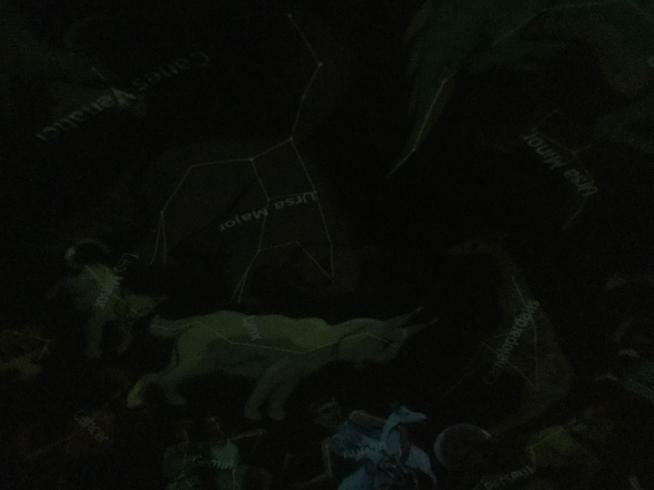 We went inside the inflatable planetarium and actually got dressed up as an astronaut! 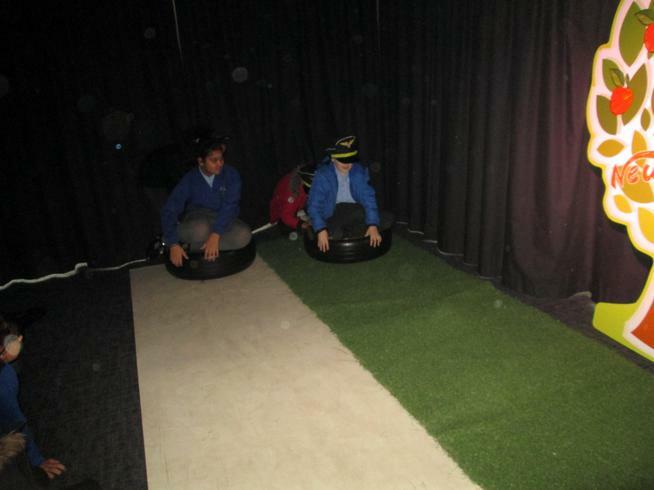 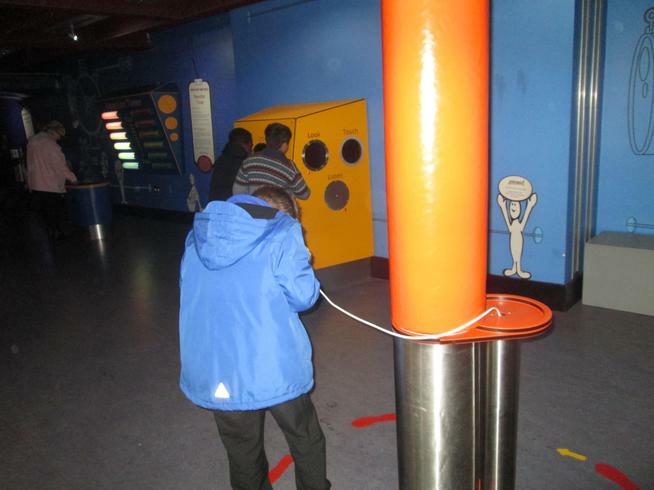 Then we walked amongst the planets on our planet walk and tried out the science activities. 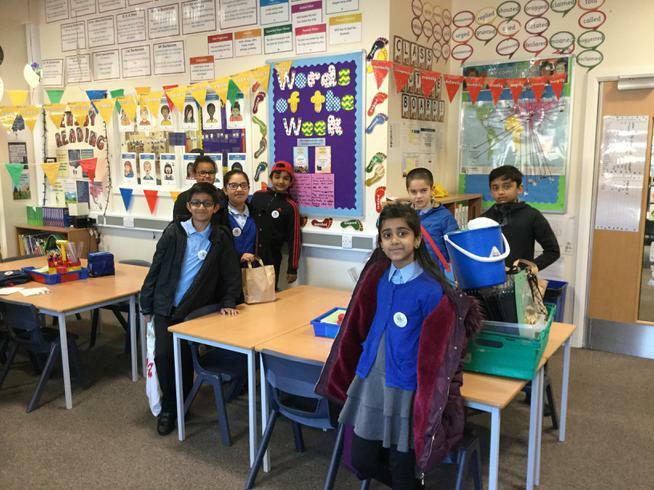 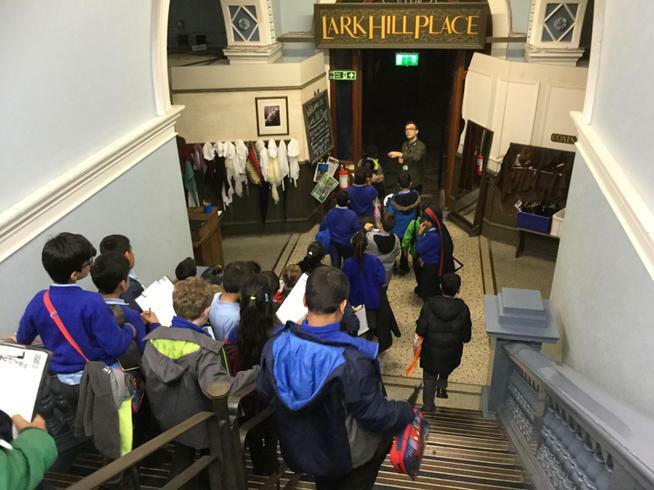 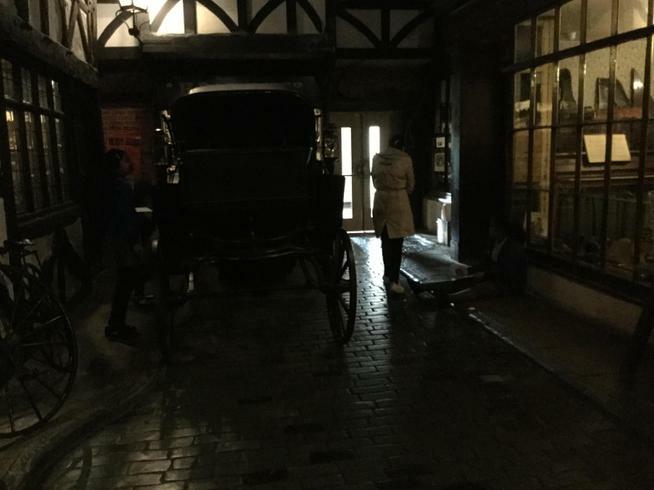 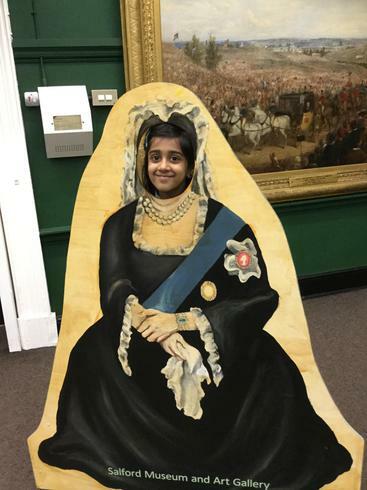 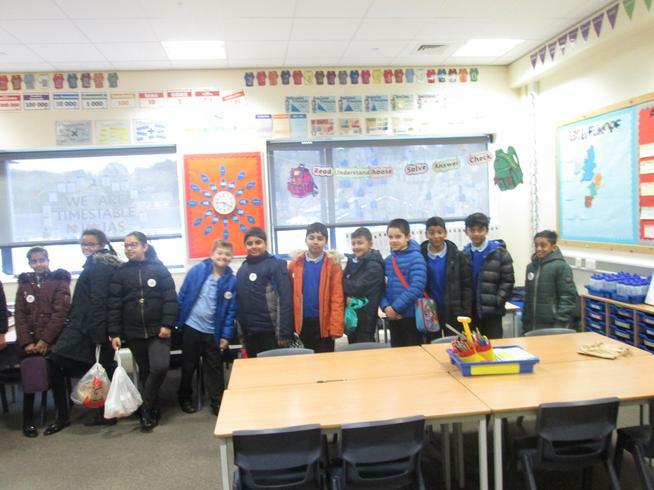 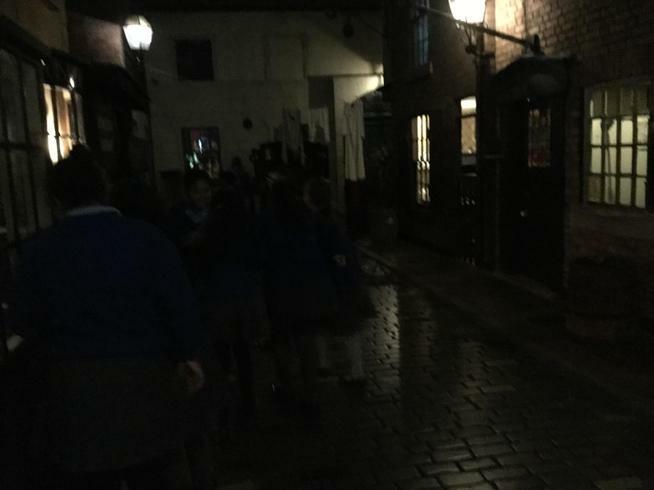 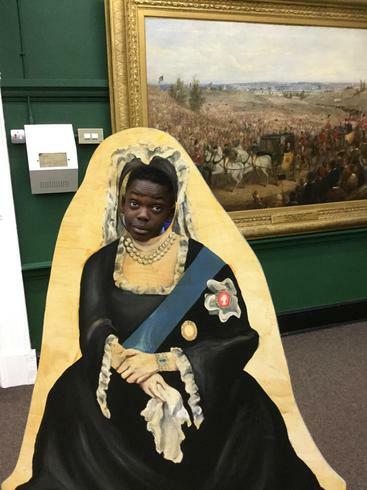 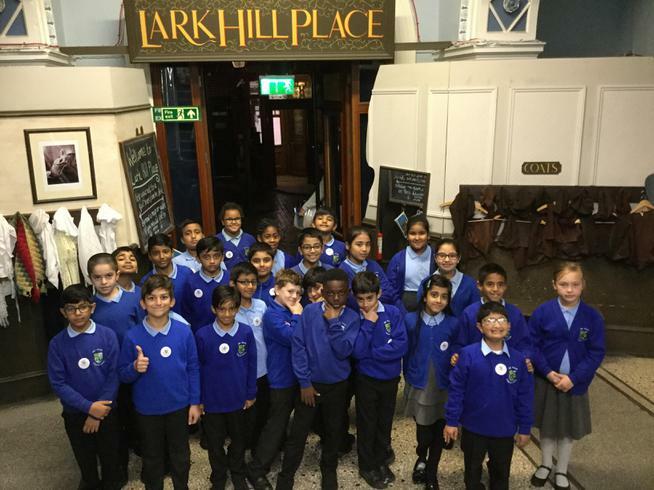 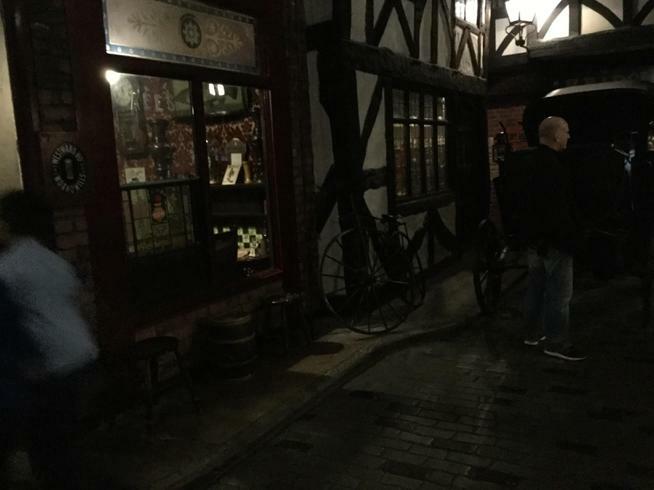 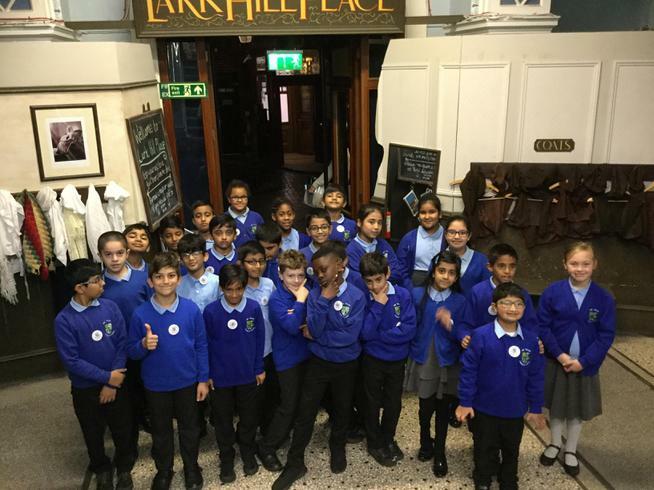 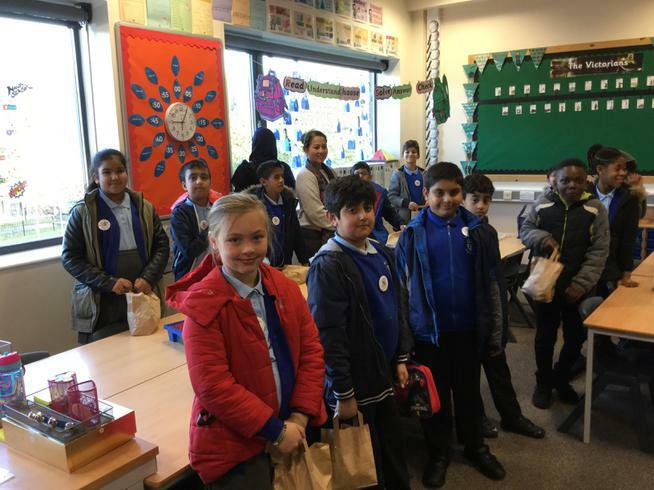 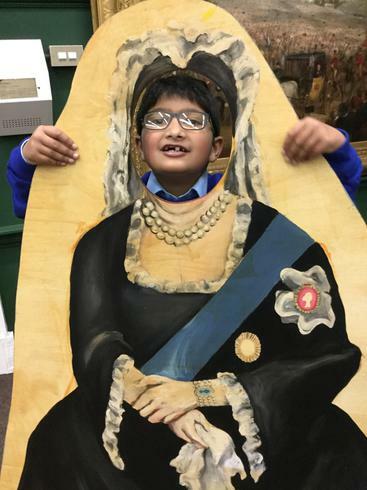 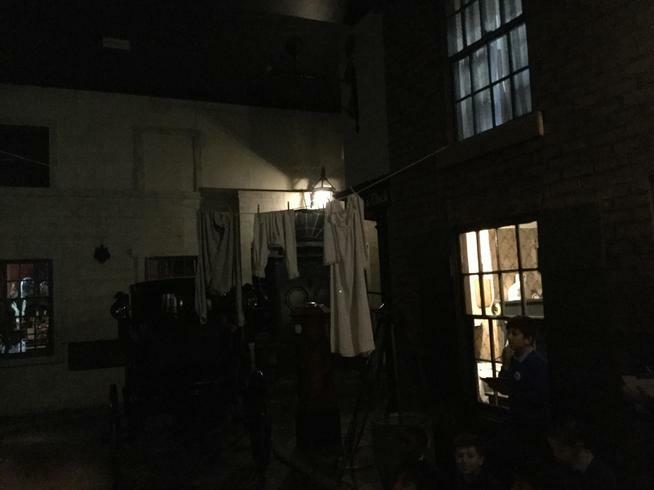 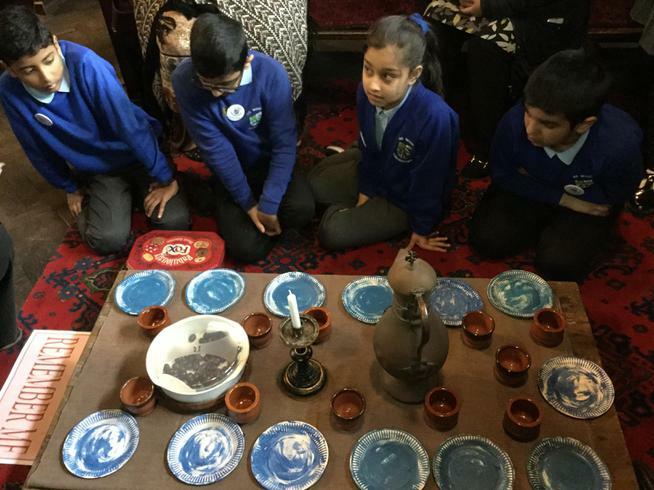 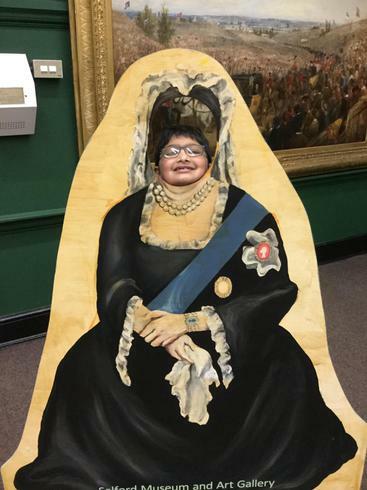 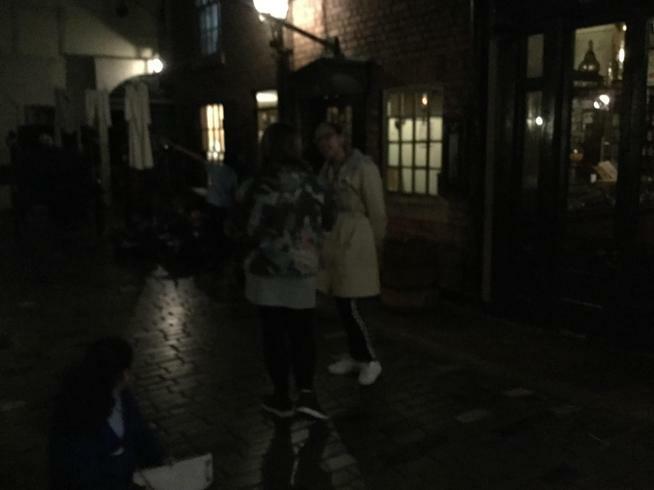 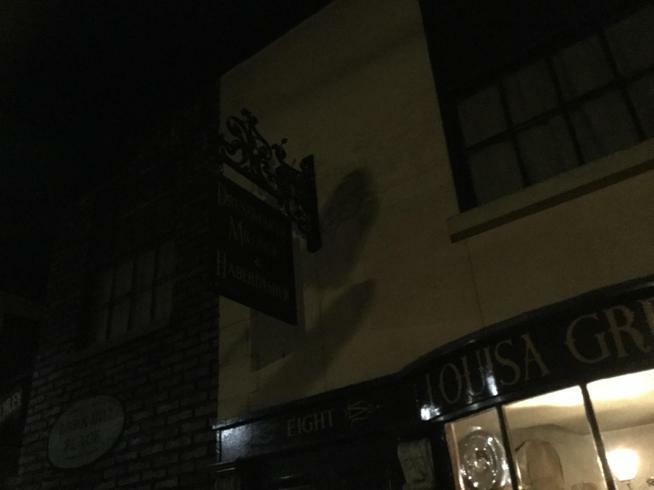 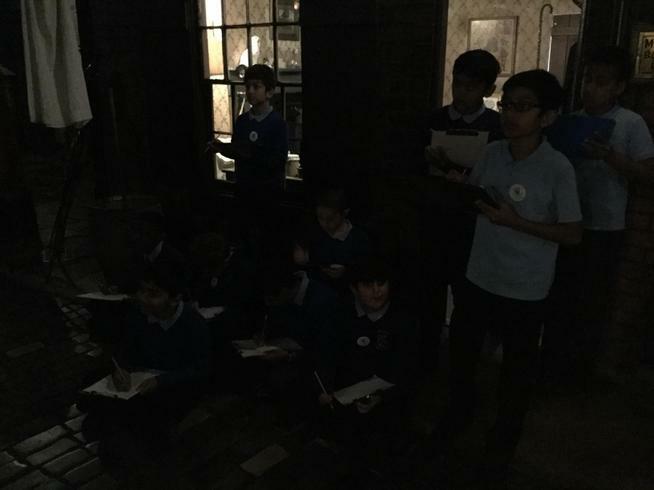 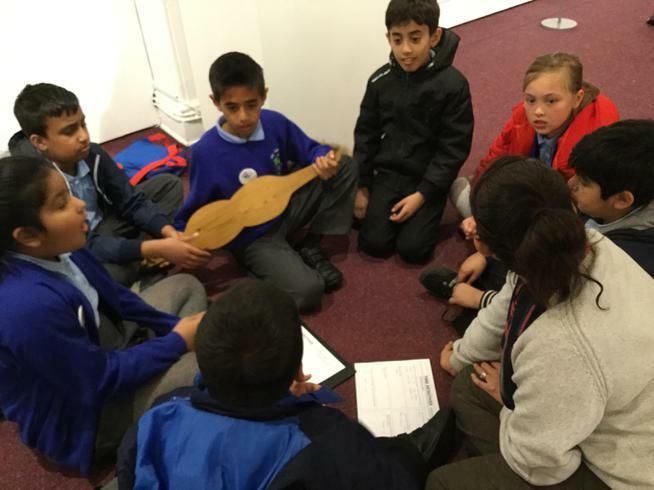 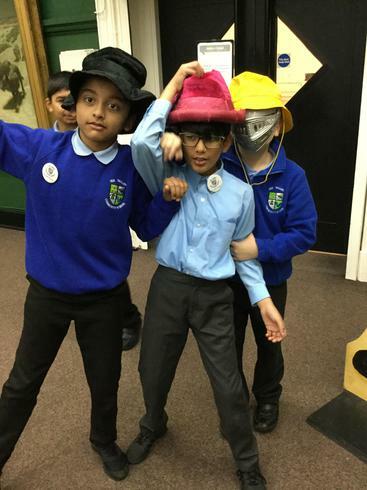 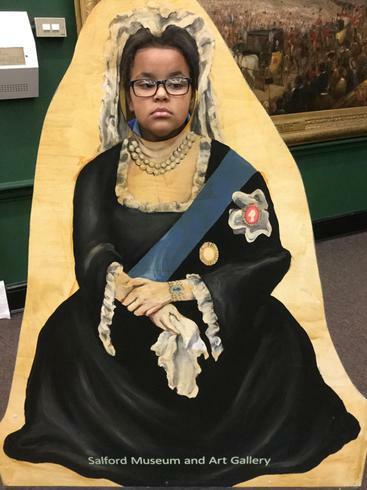 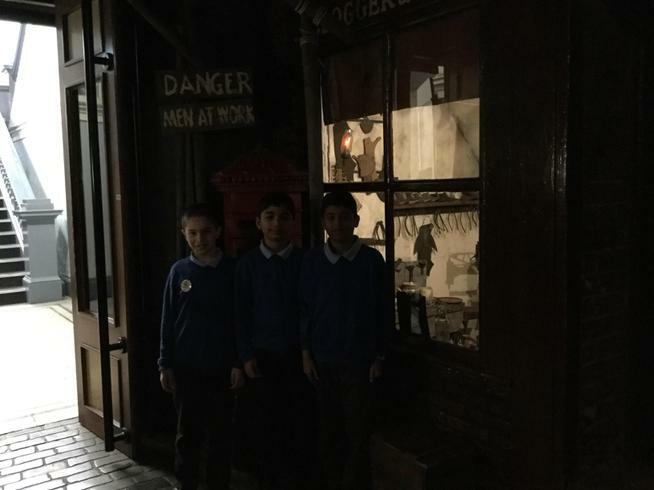 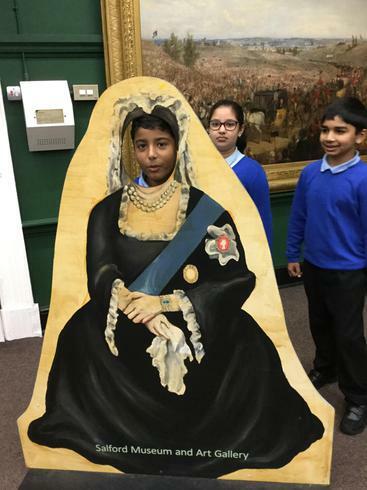 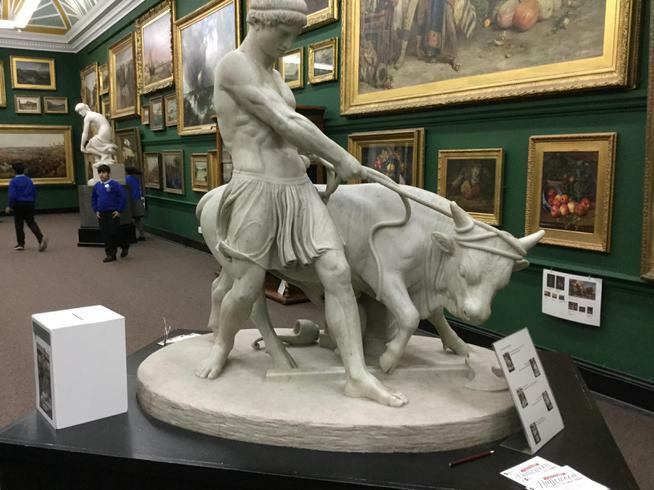 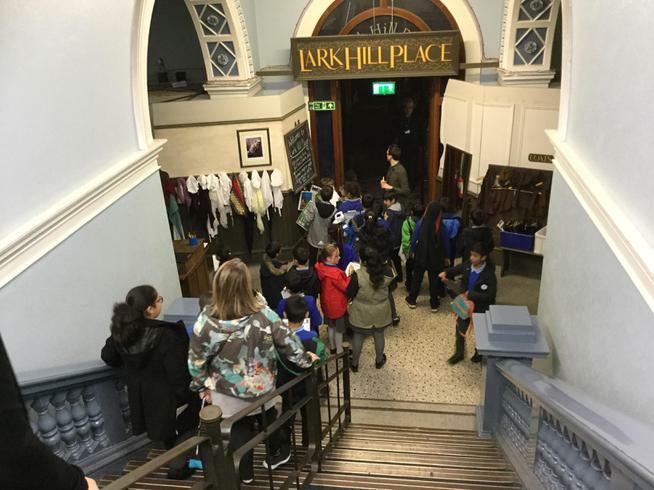 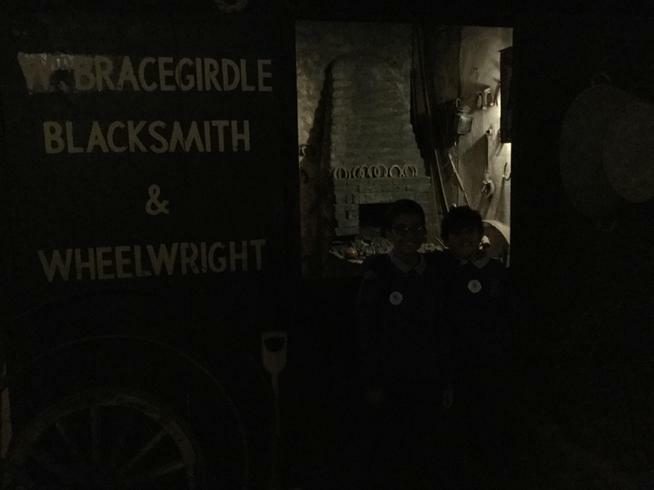 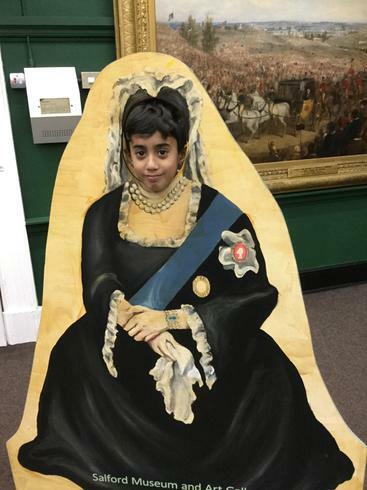 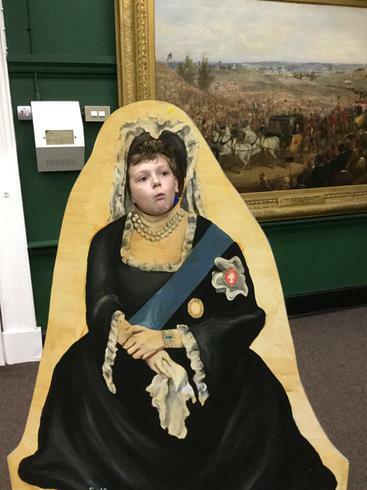 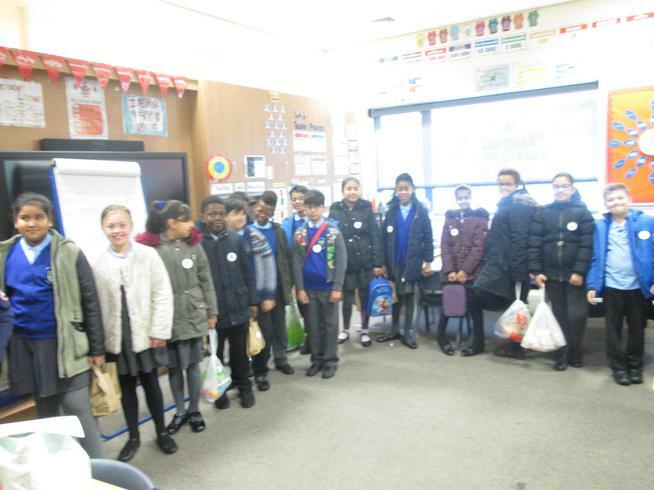 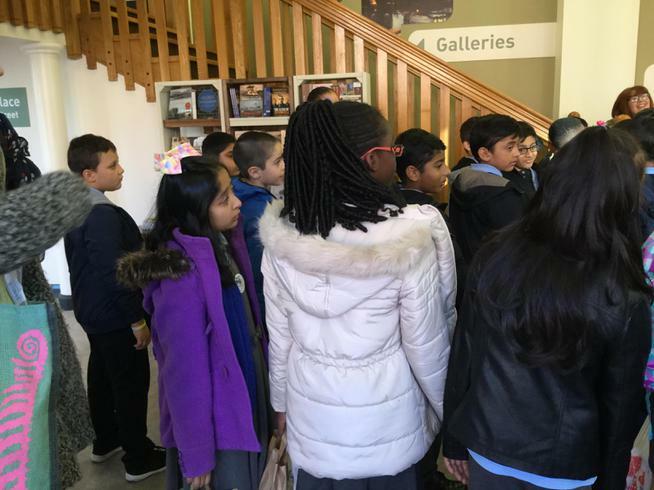 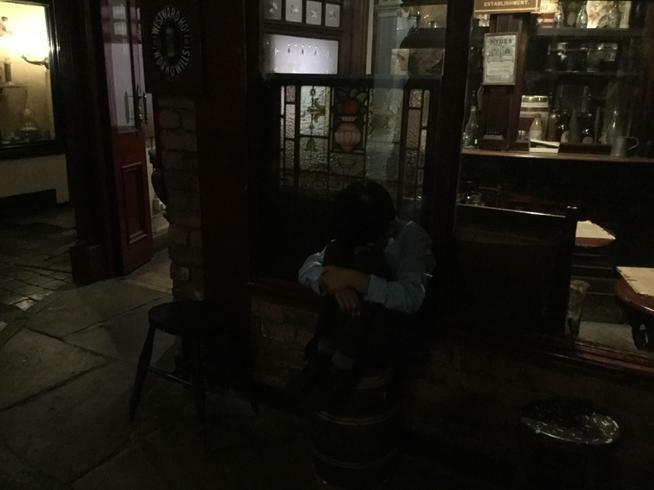 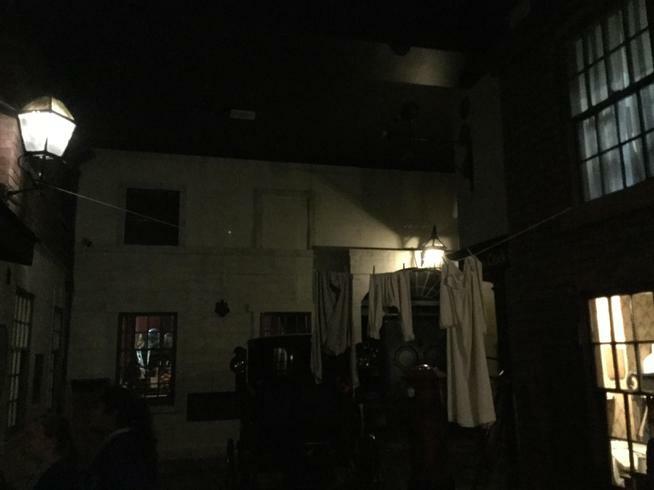 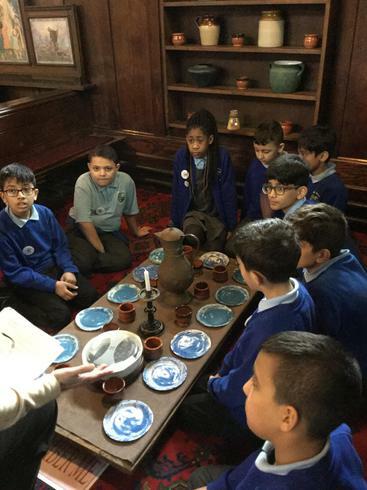 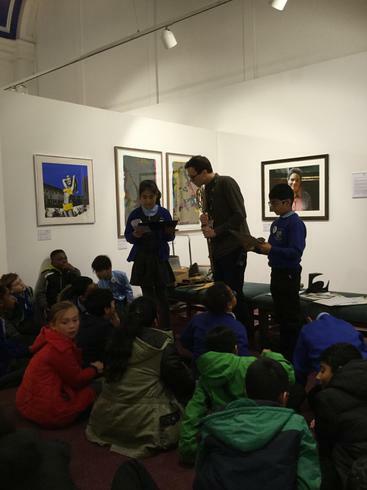 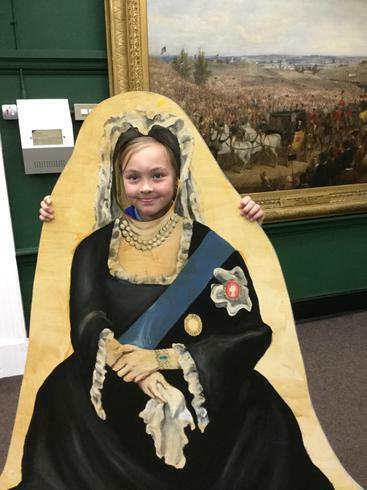 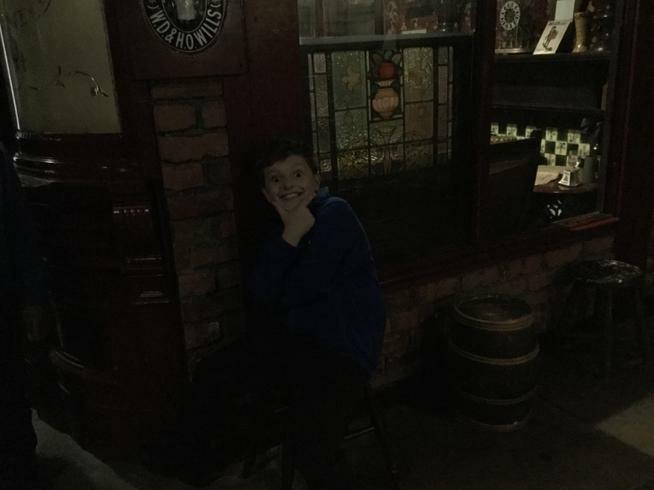 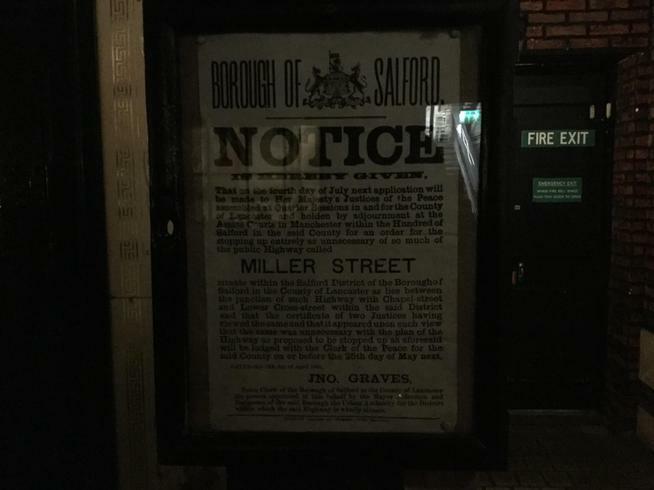 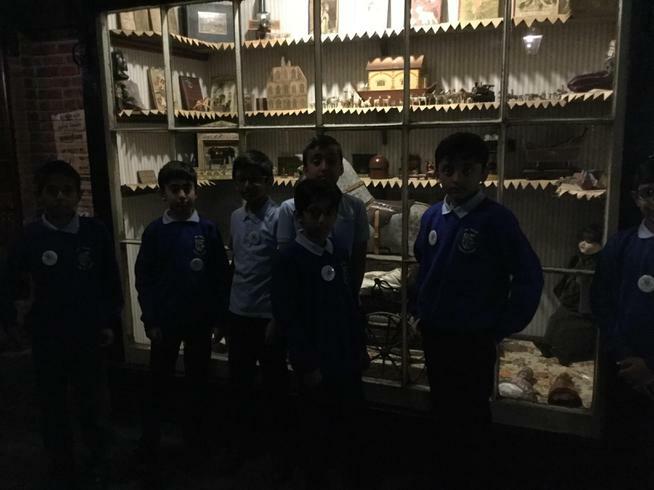 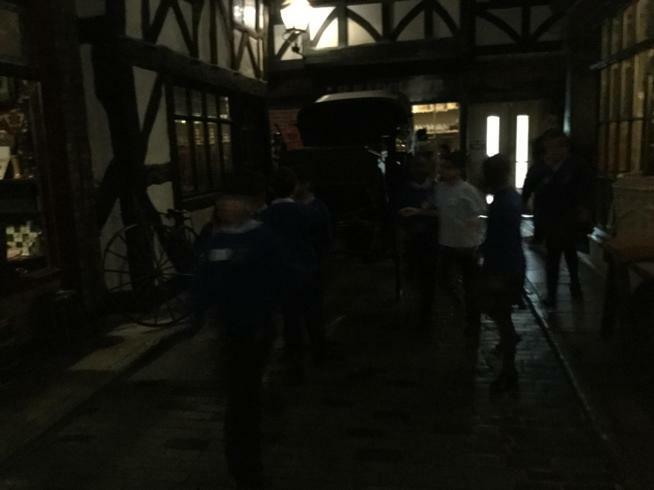 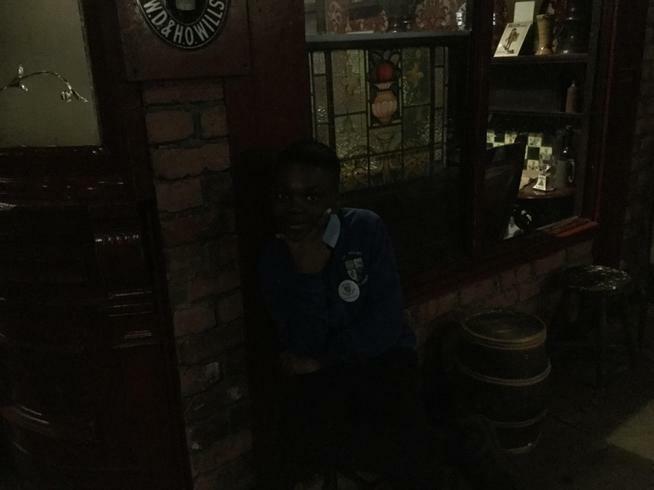 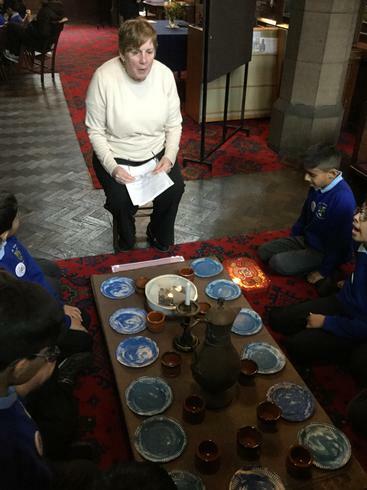 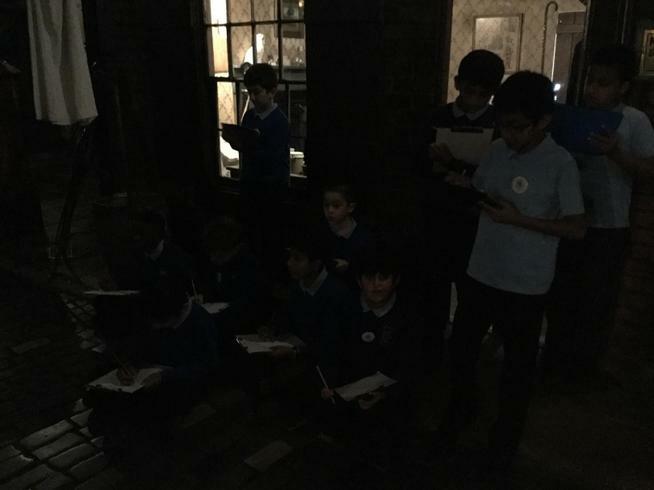 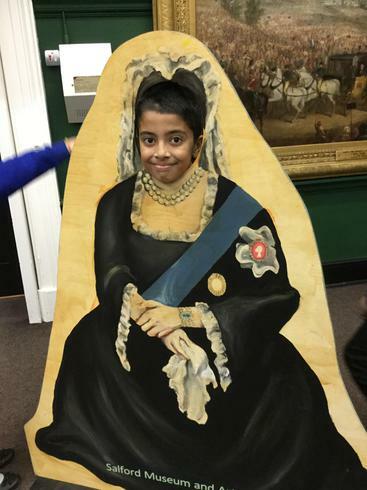 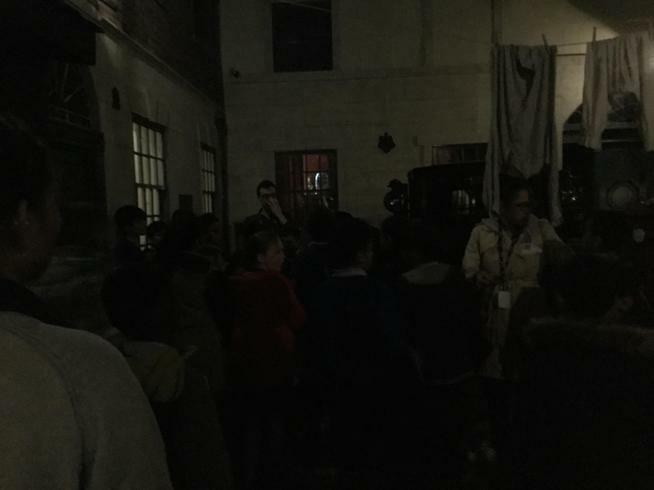 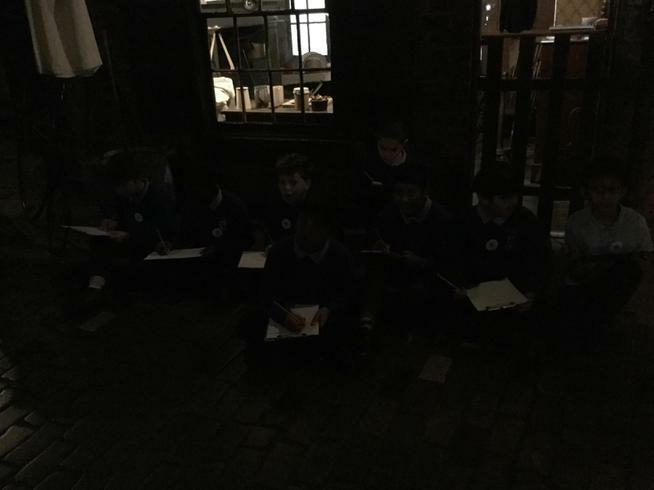 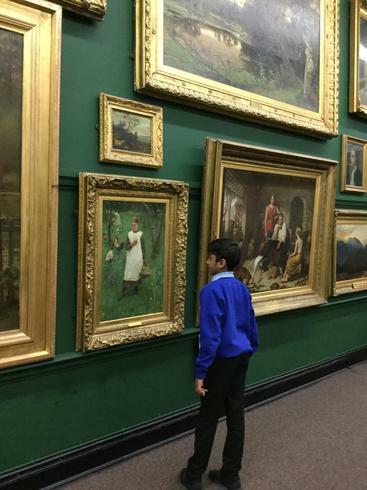 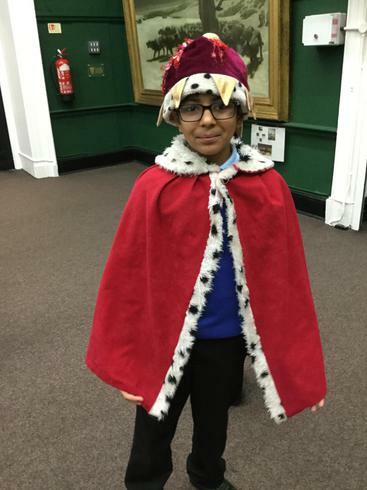 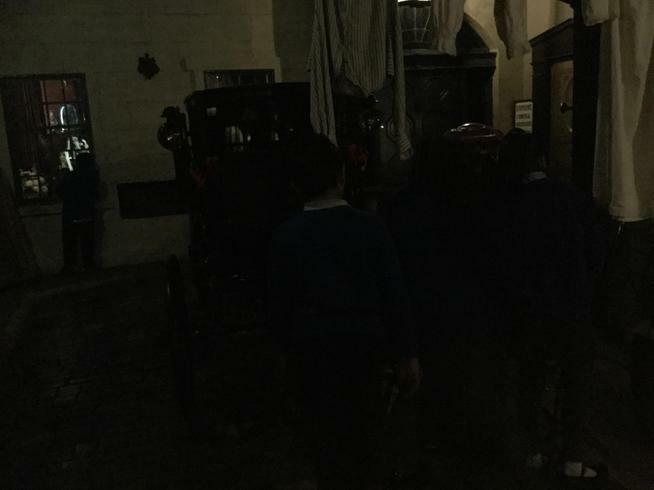 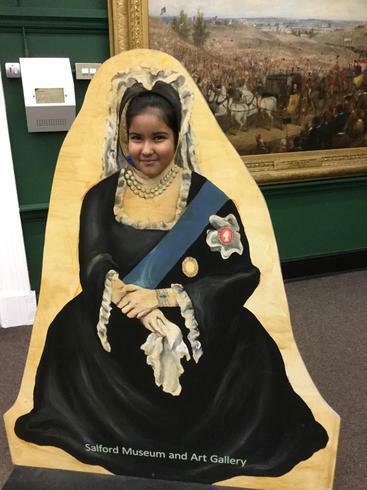 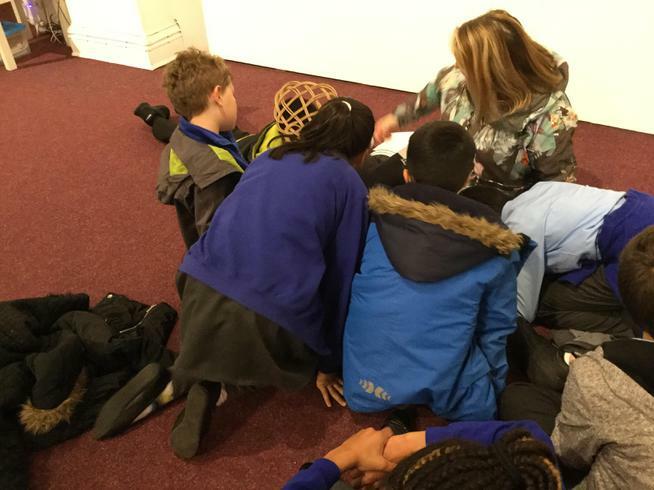 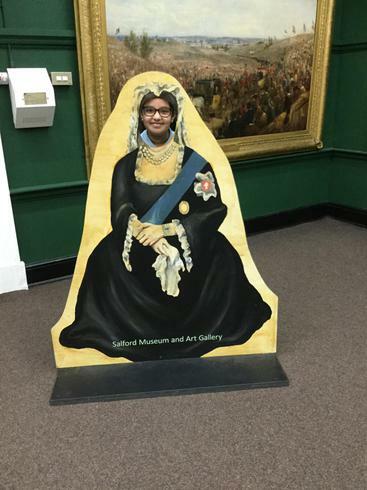 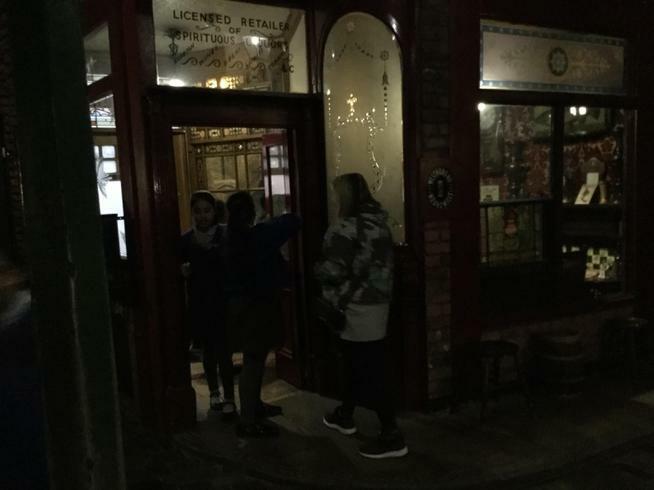 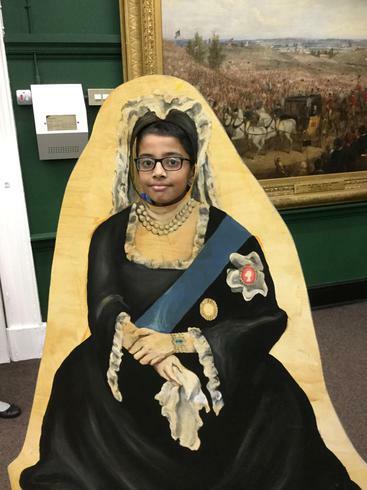 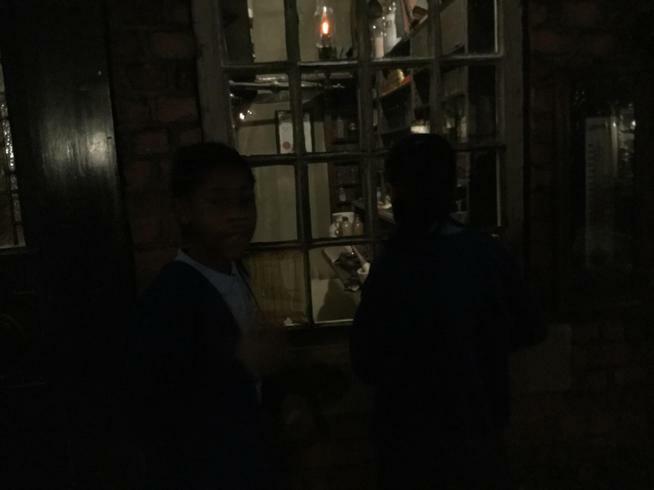 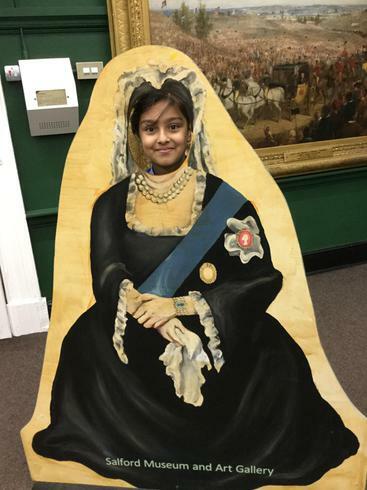 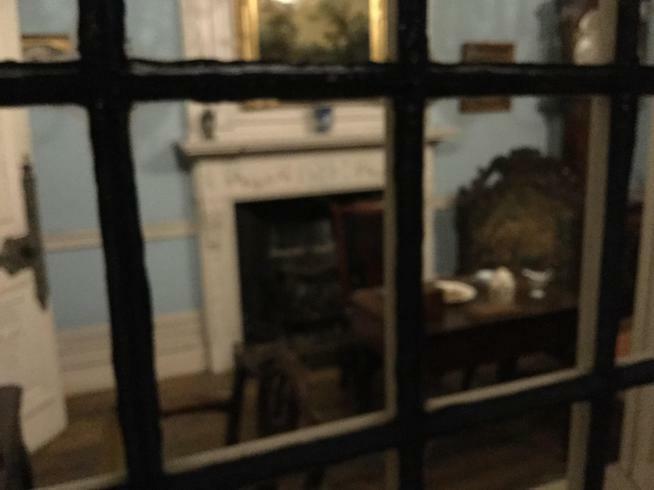 On Wednesday 18th October 2017, 5A went to Salford Museum to learn about The Victorians. 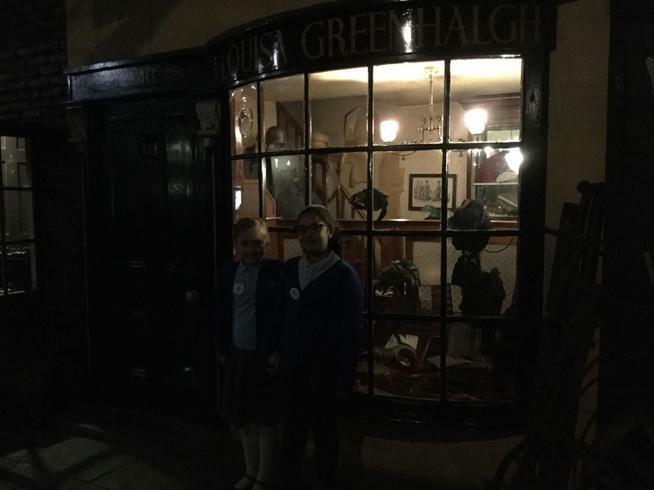 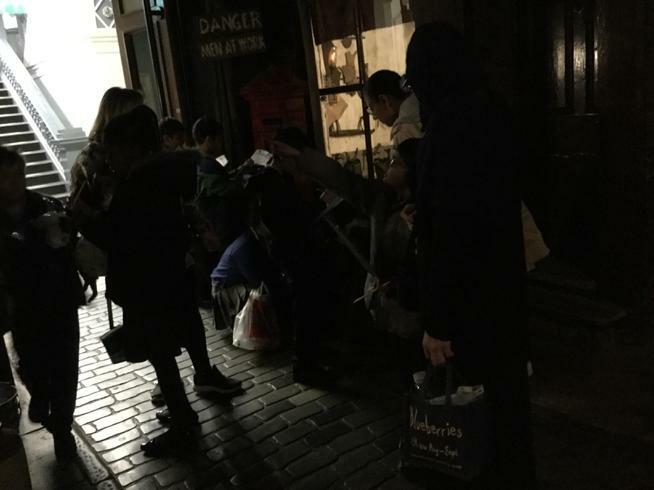 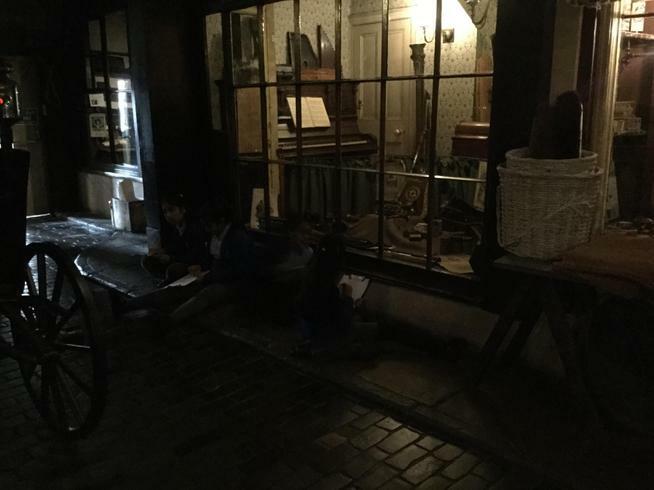 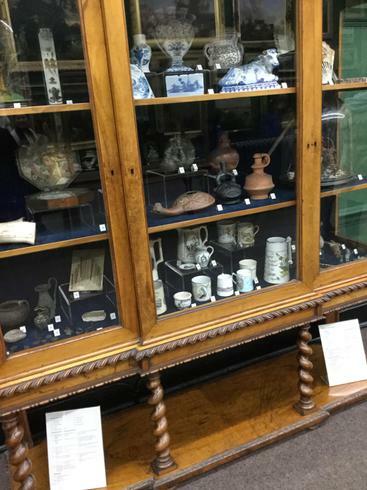 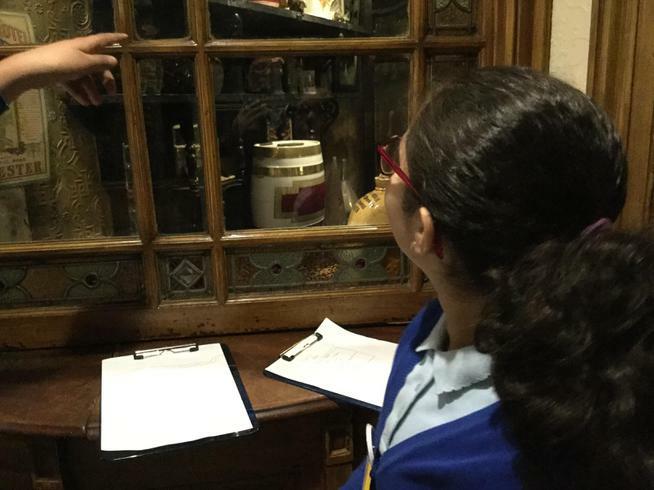 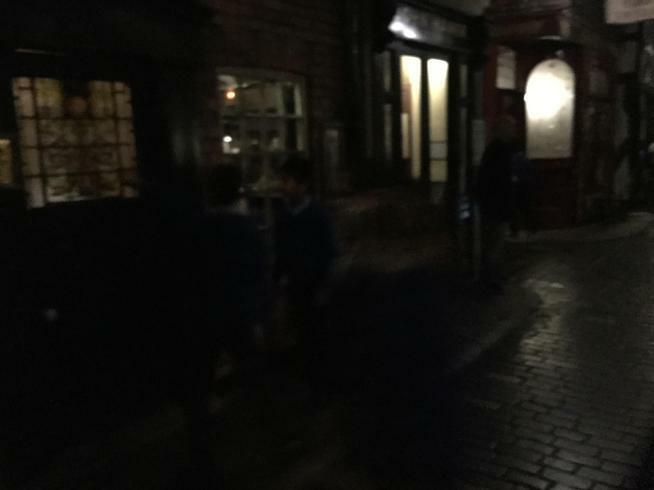 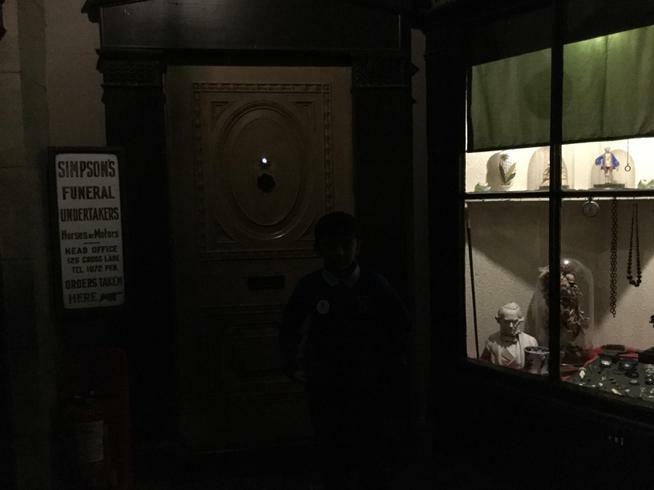 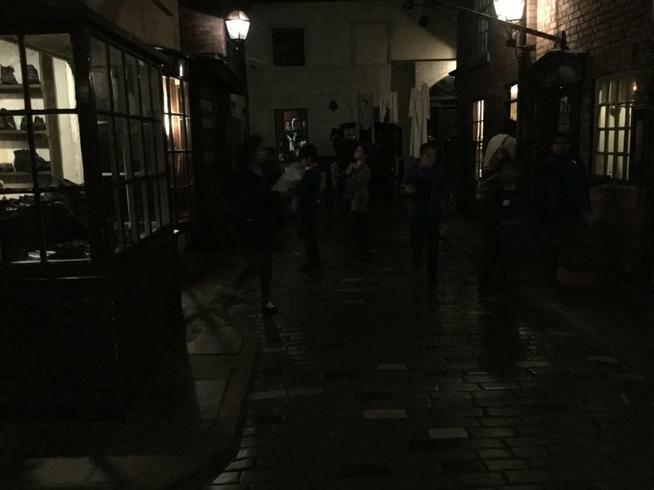 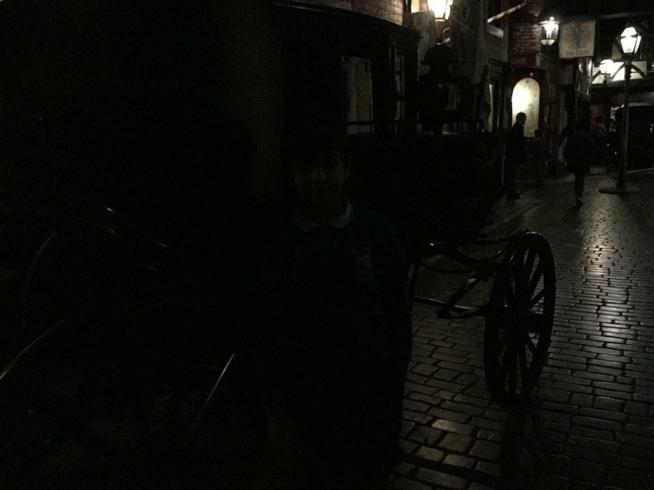 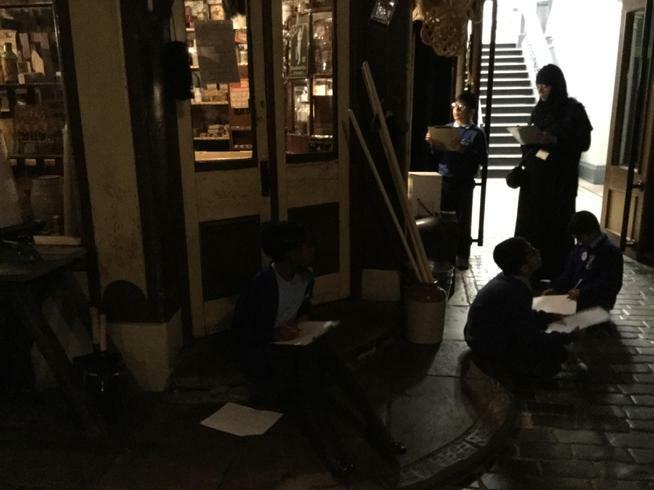 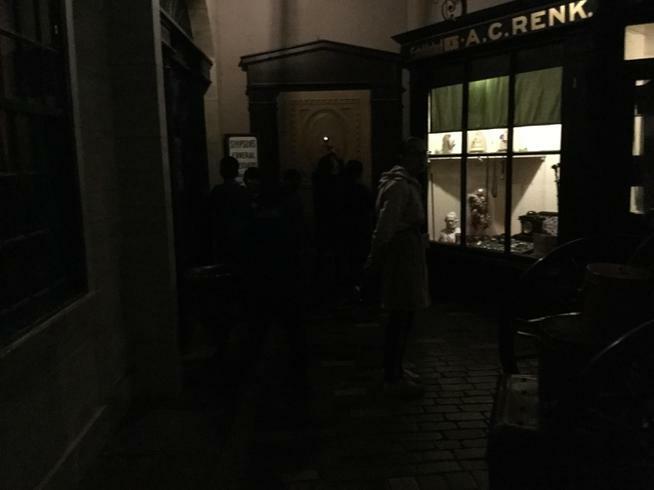 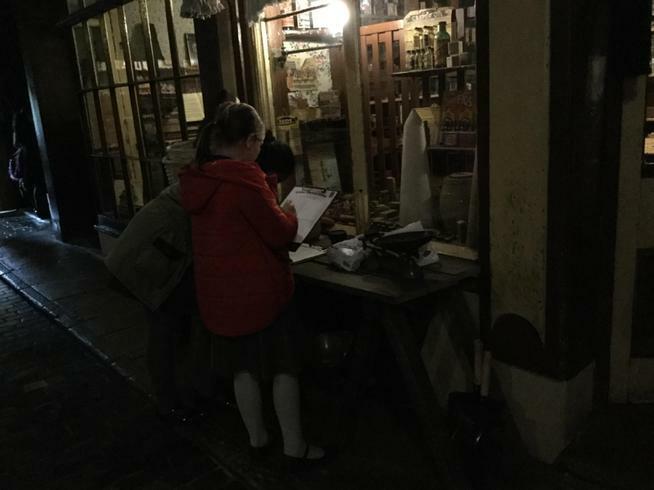 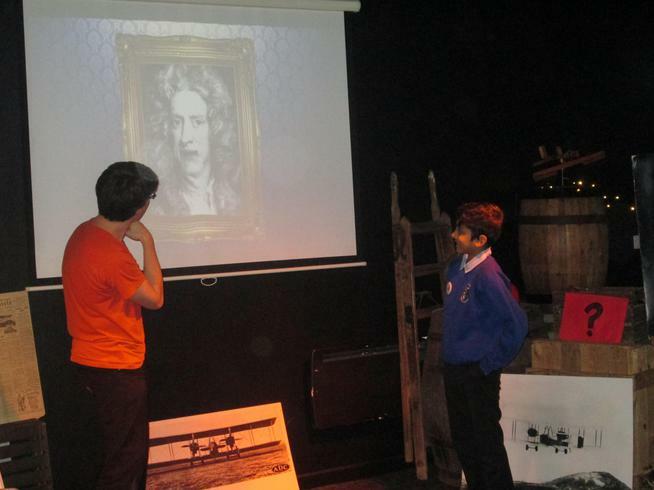 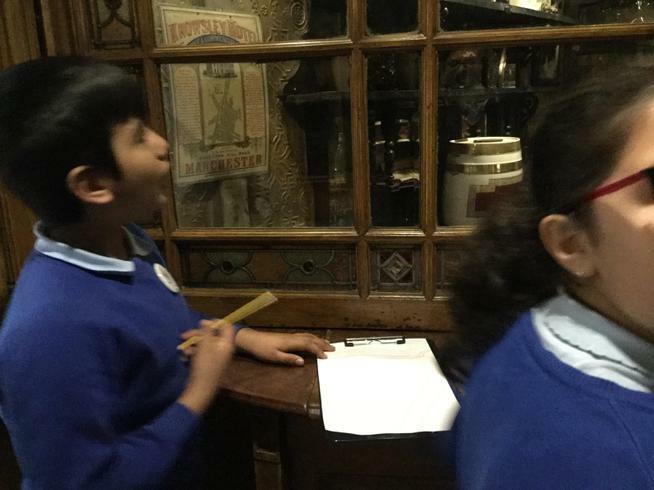 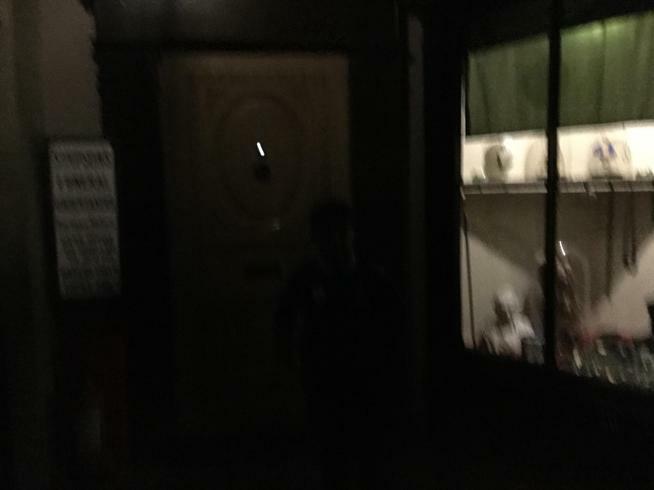 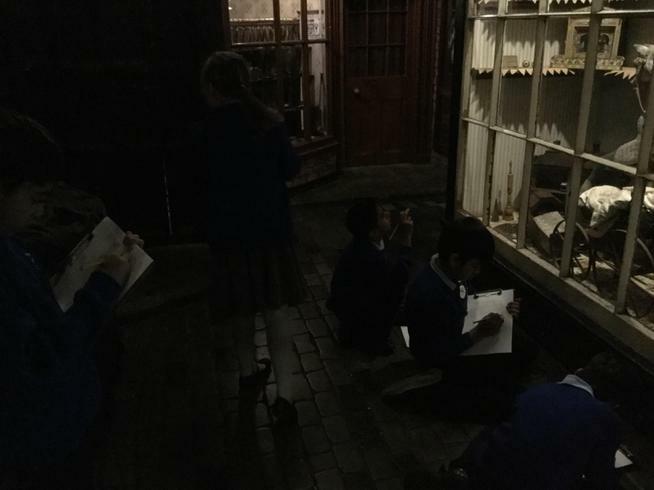 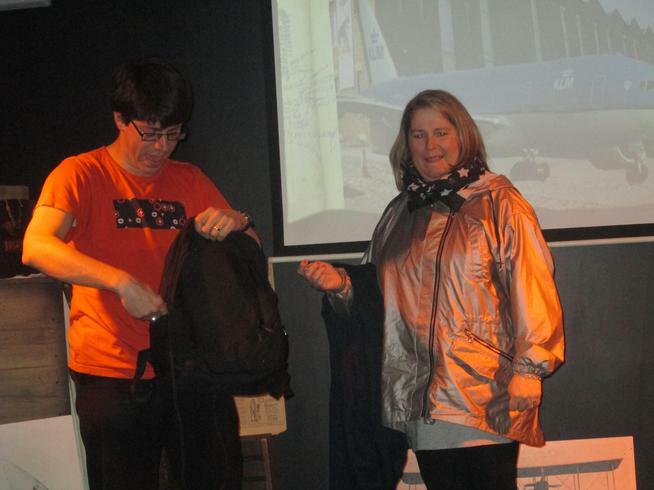 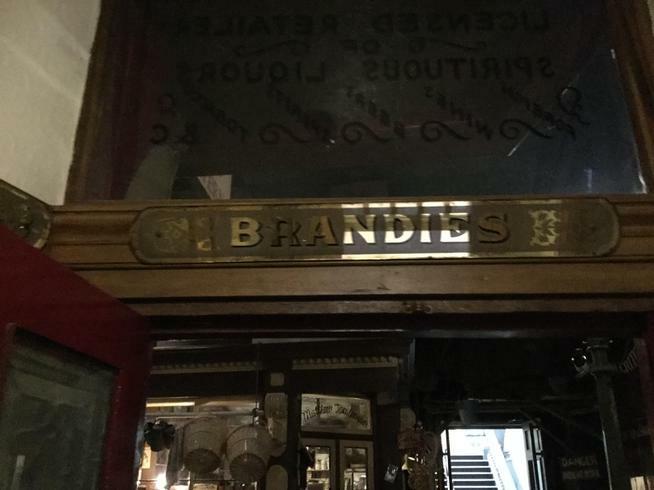 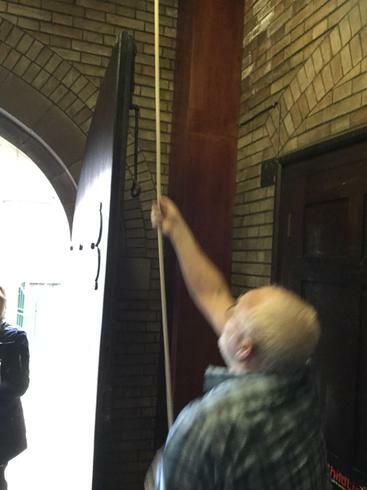 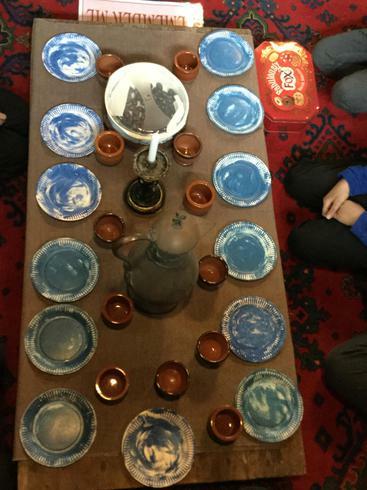 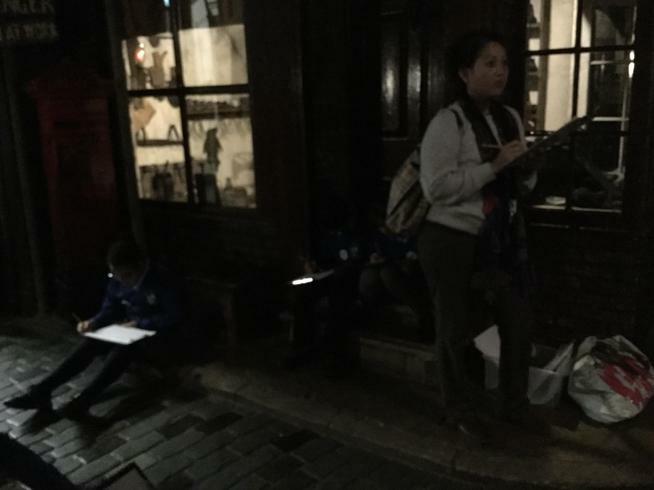 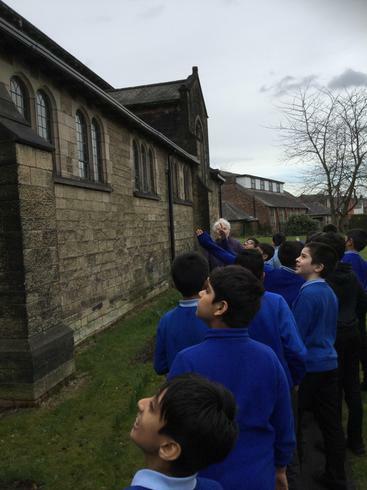 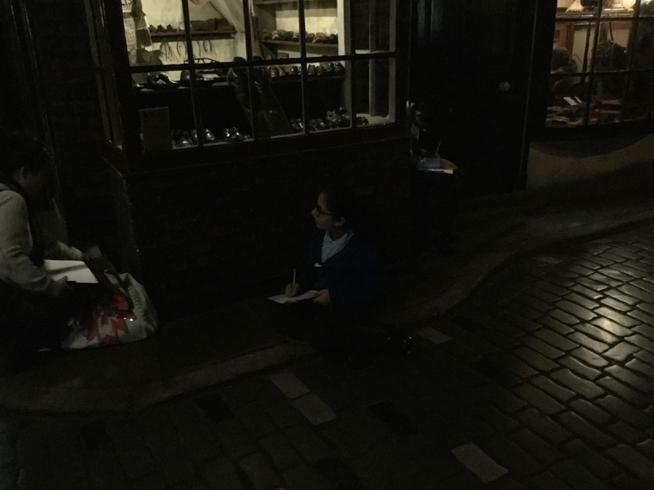 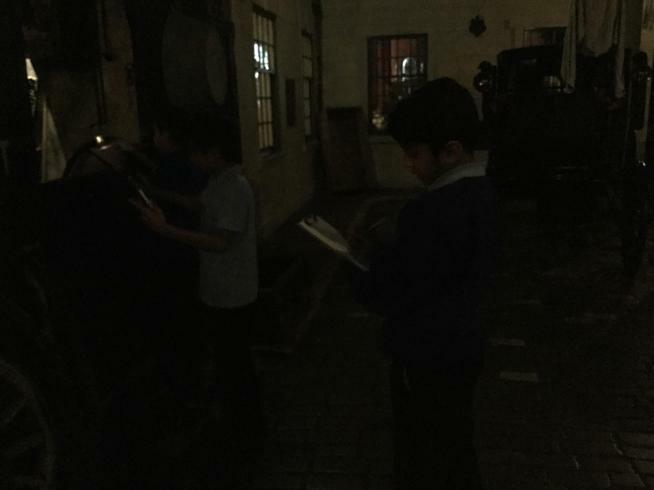 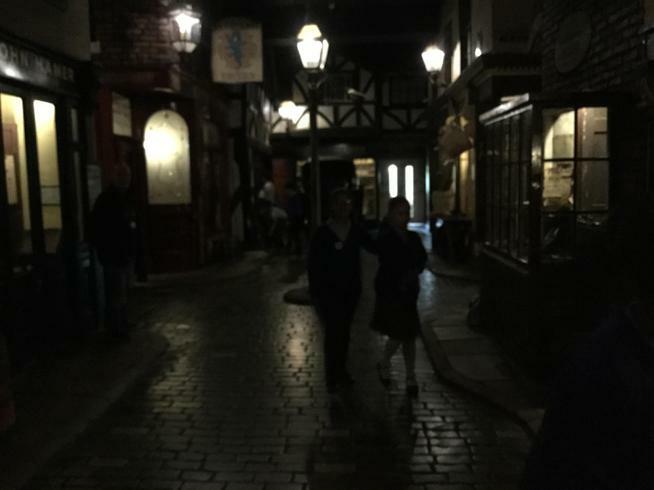 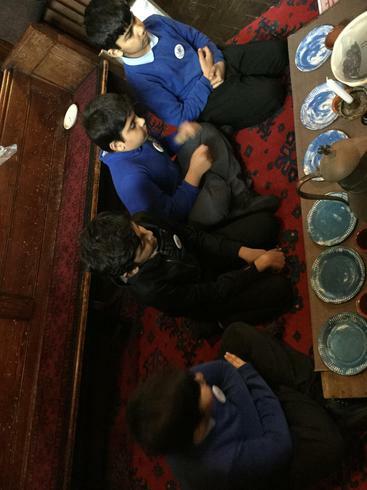 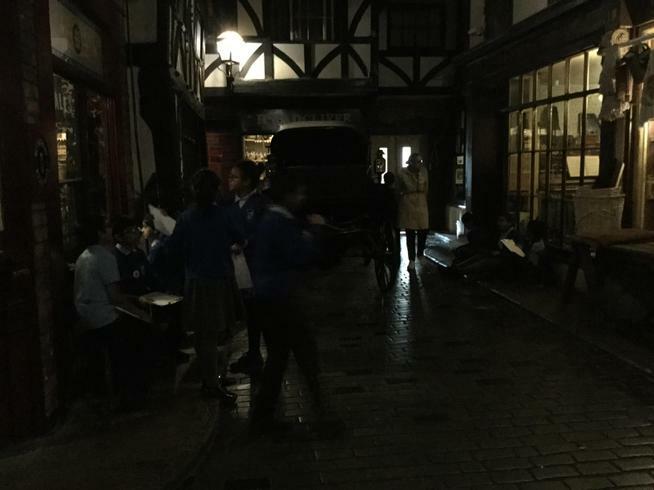 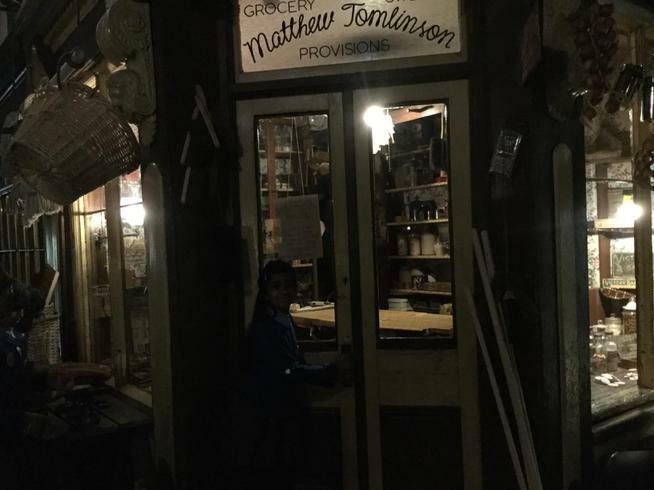 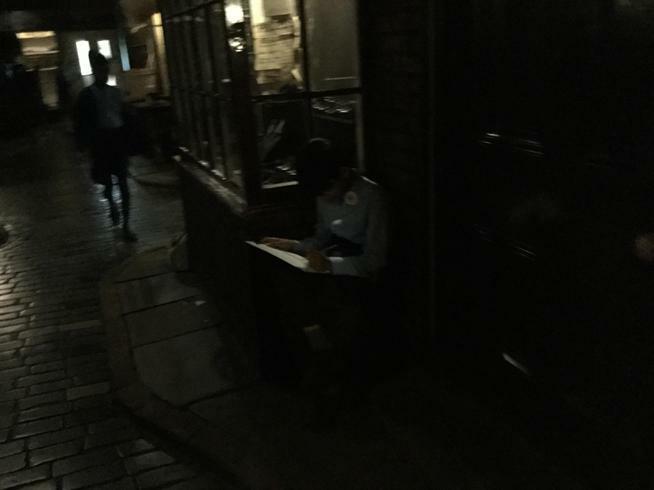 We explored a Victorian street and had the opportunity to observe and handle Victorian artefacts. 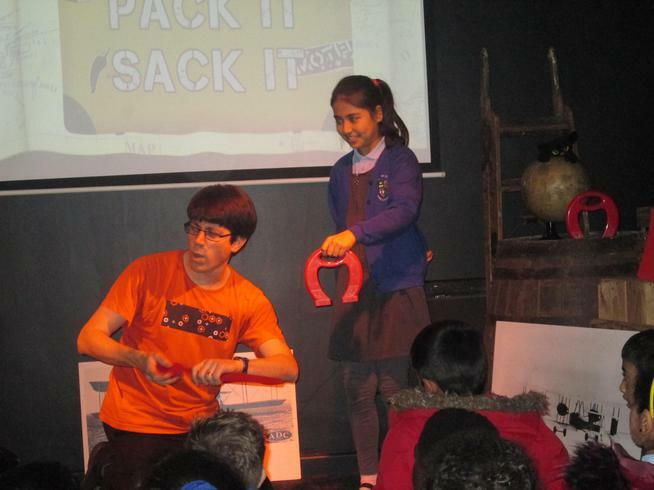 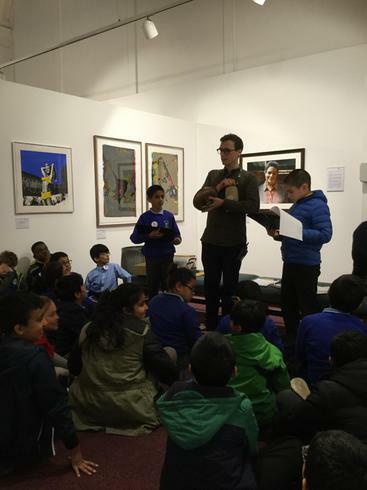 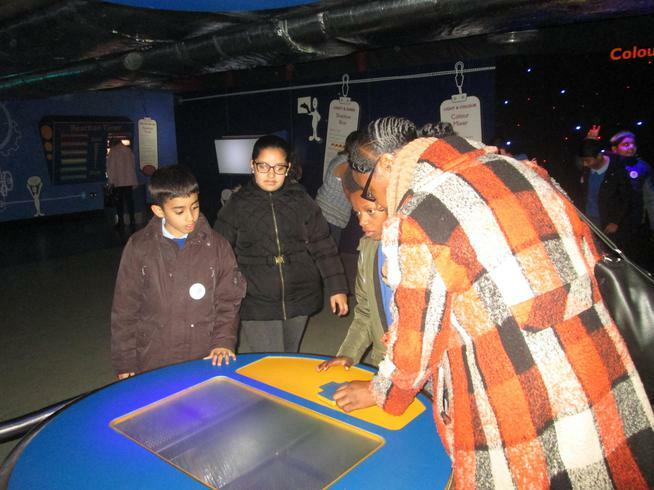 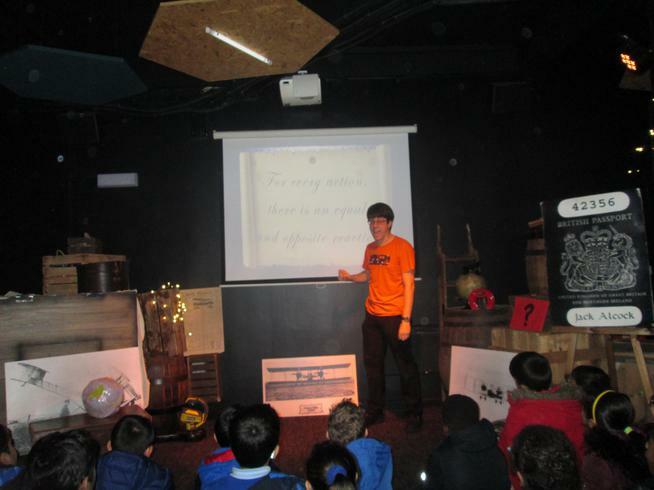 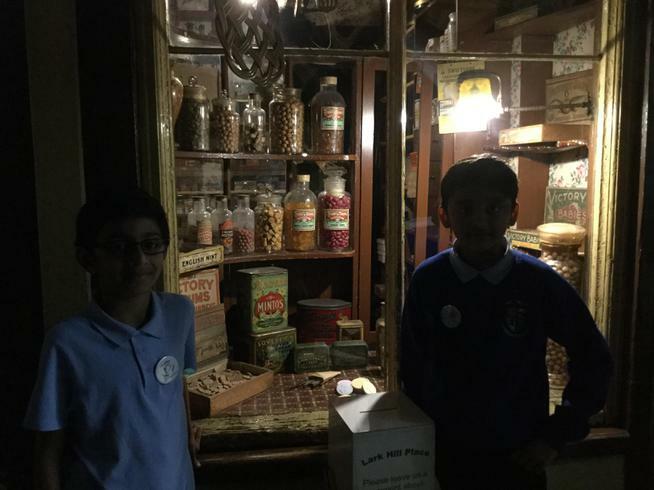 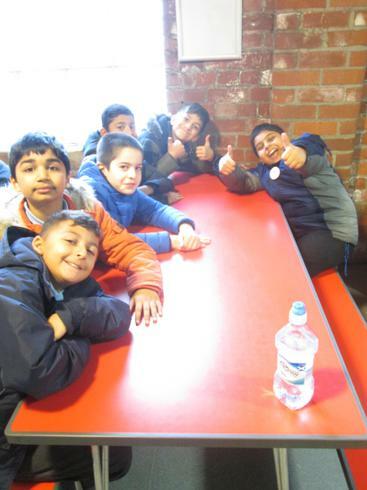 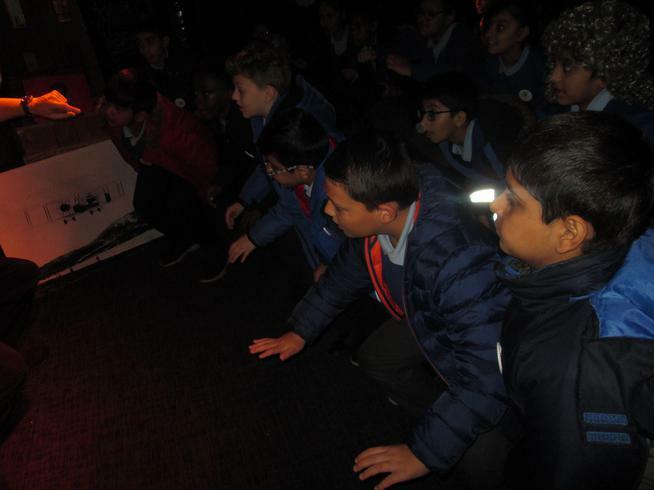 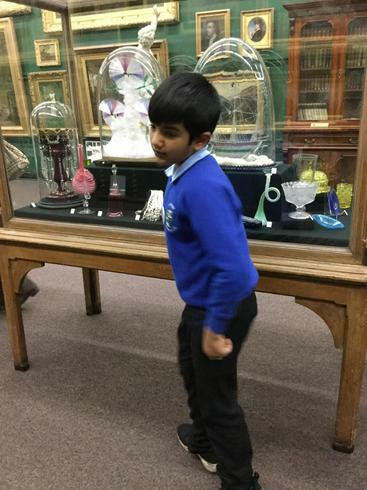 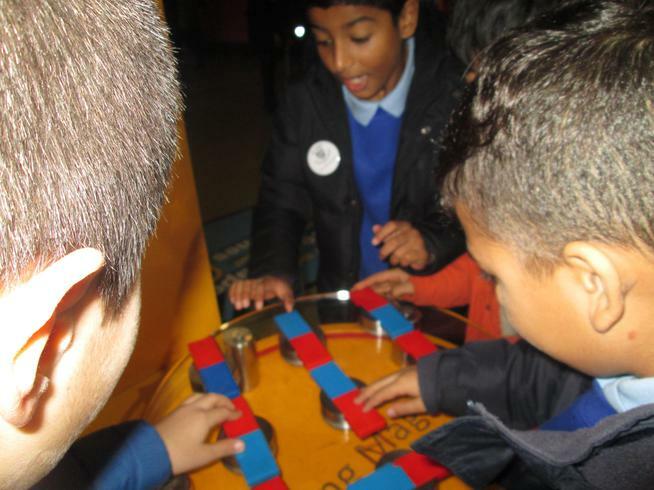 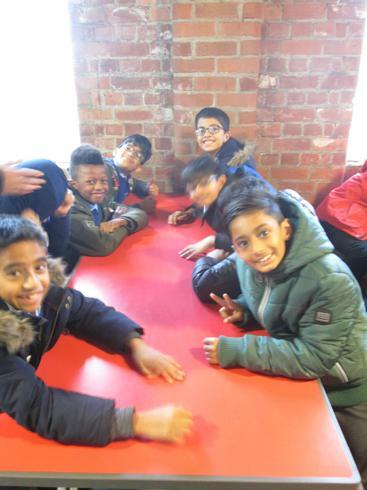 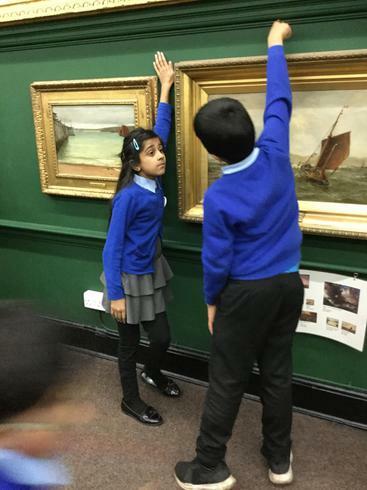 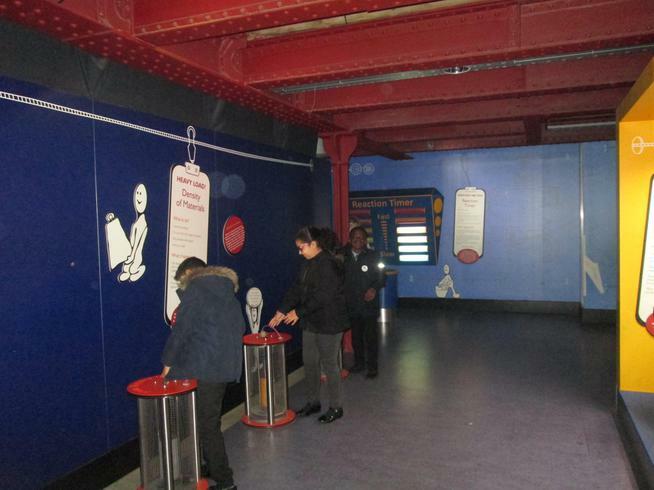 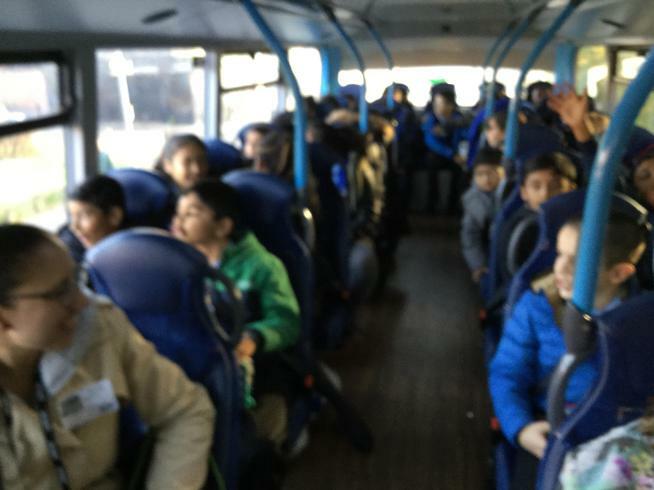 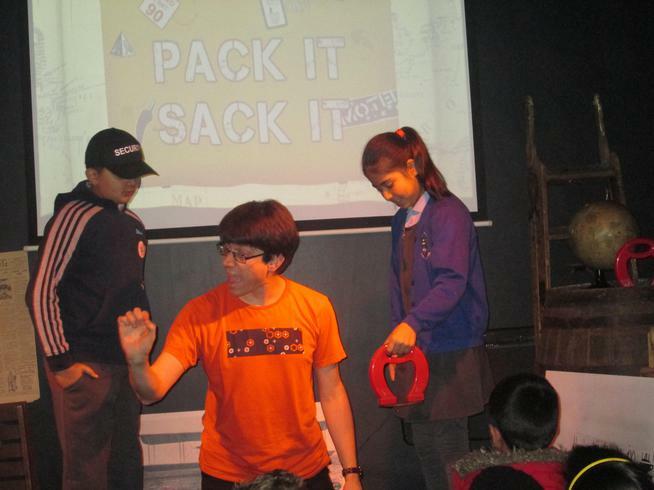 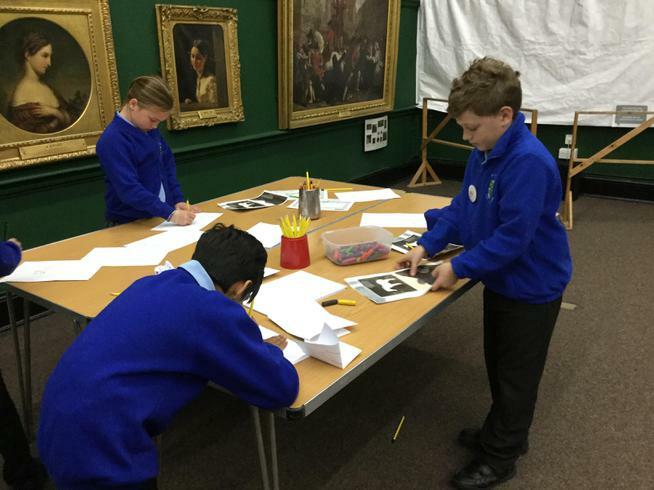 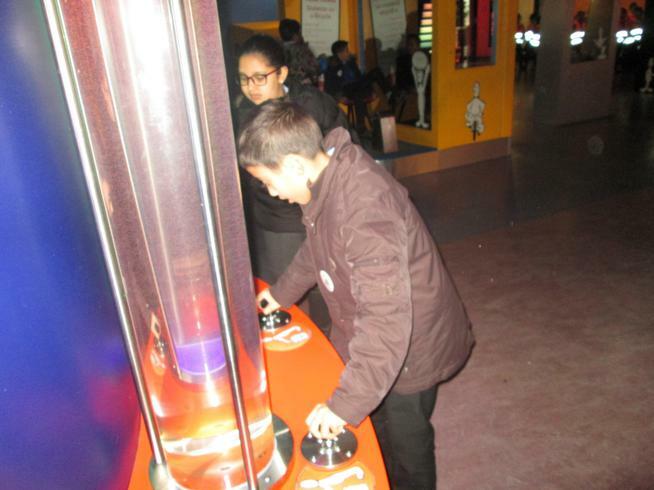 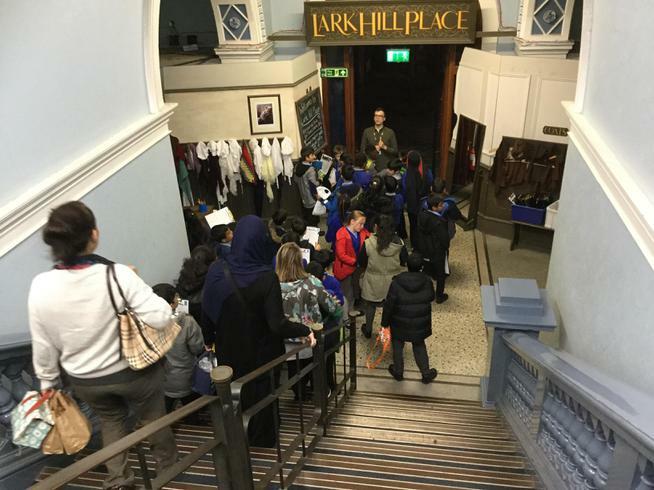 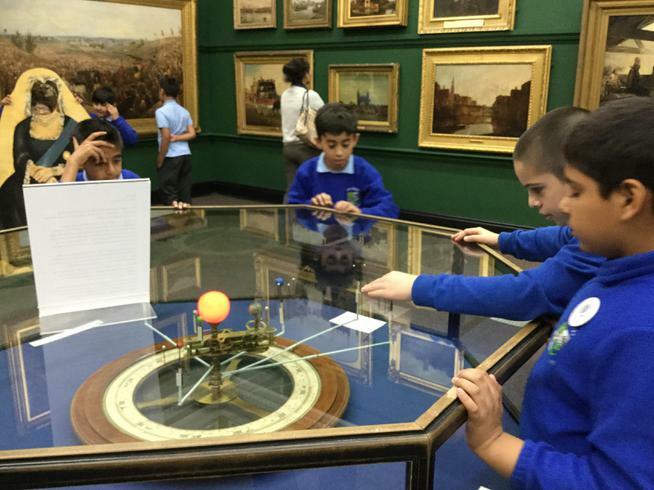 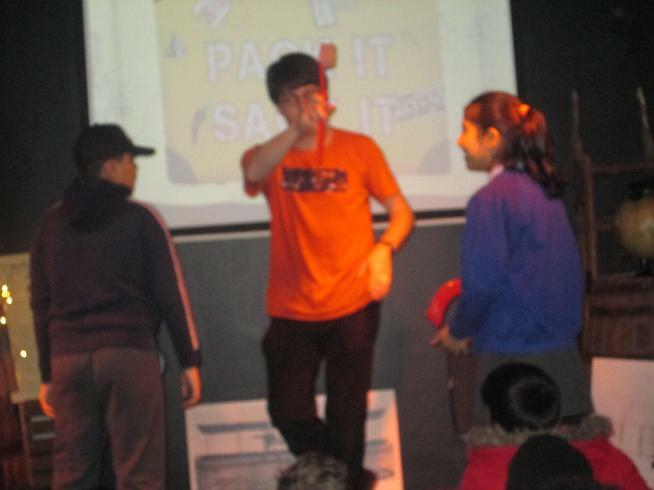 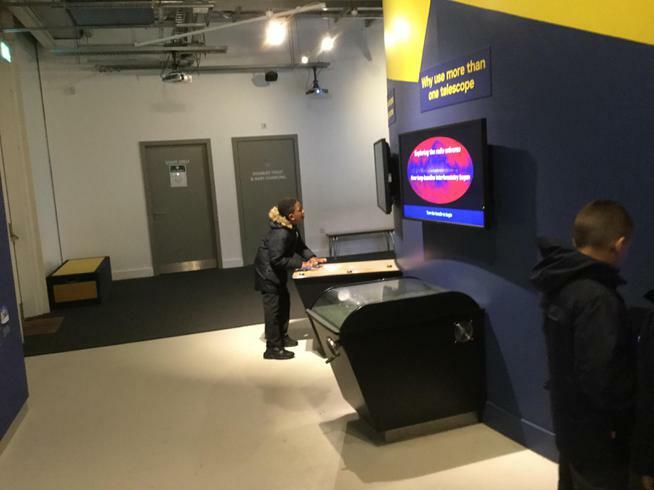 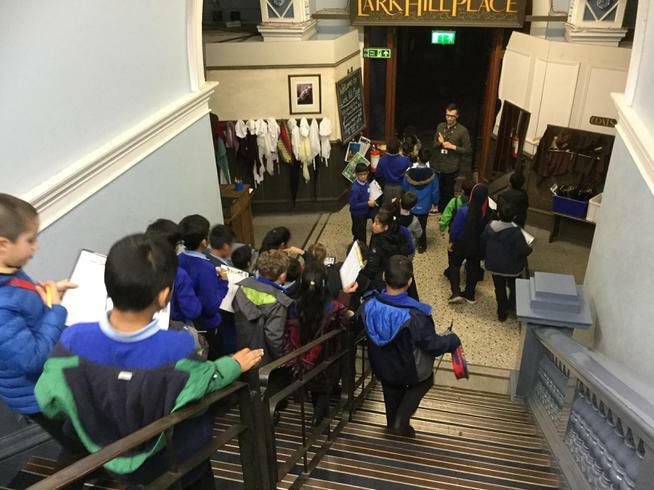 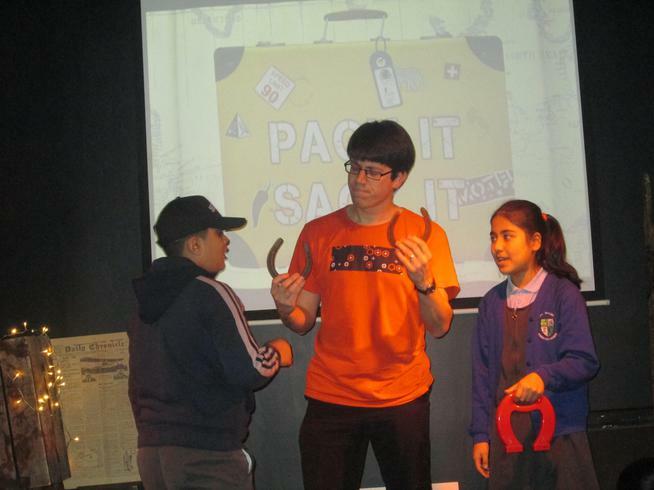 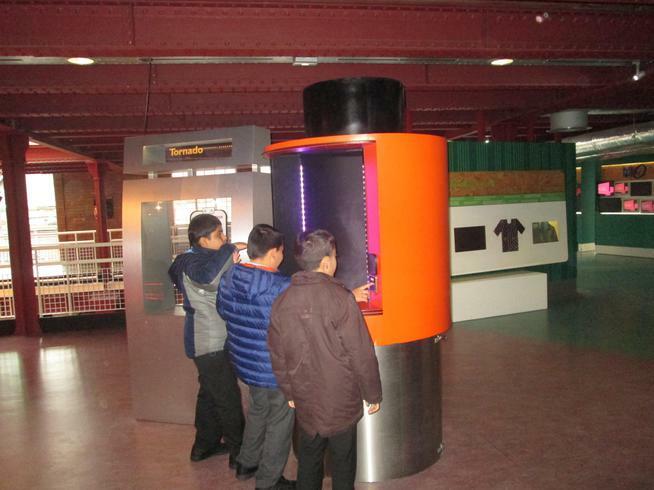 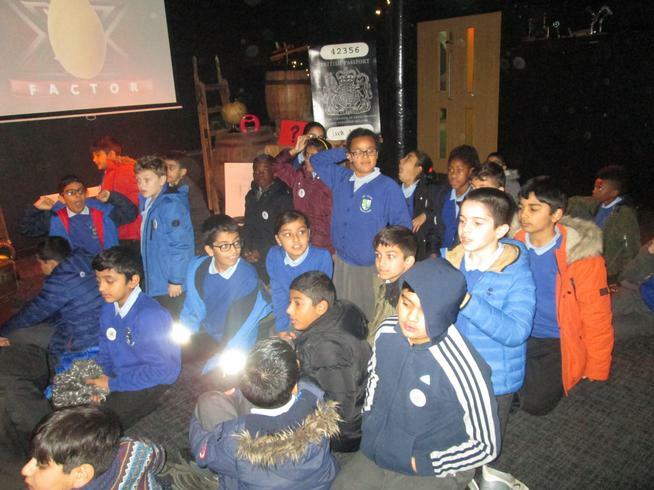 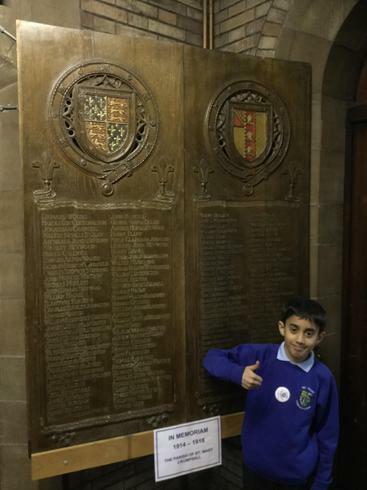 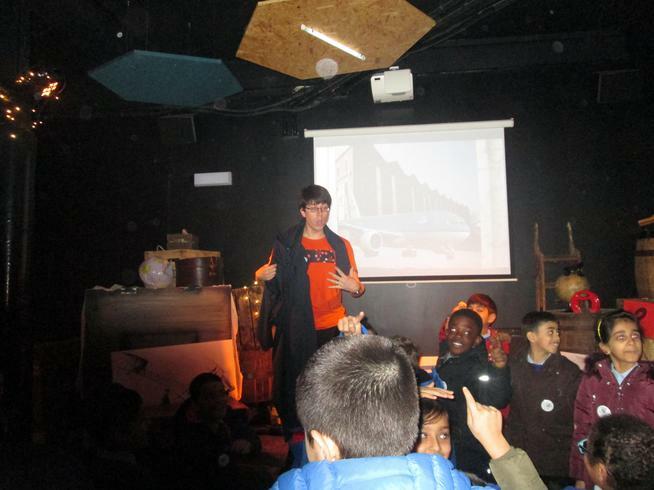 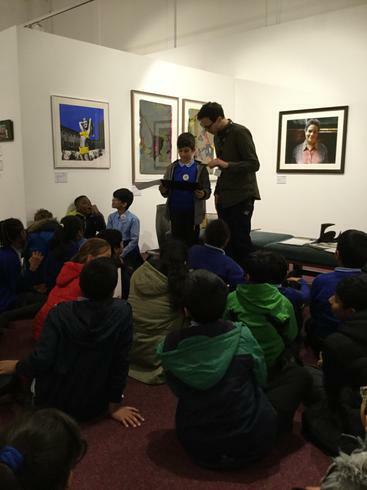 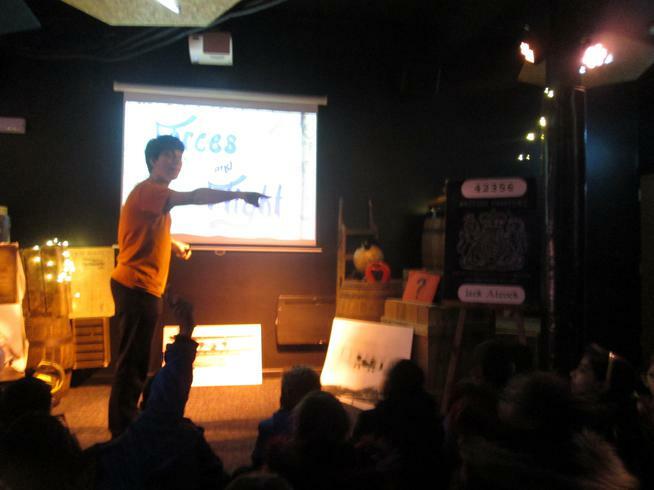 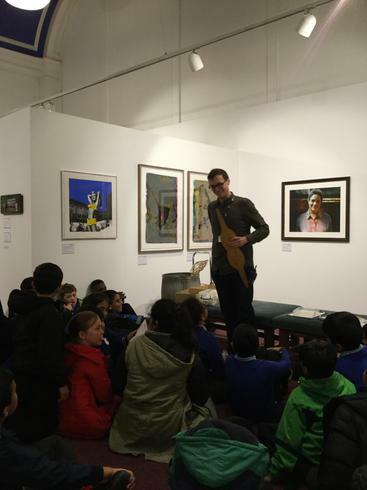 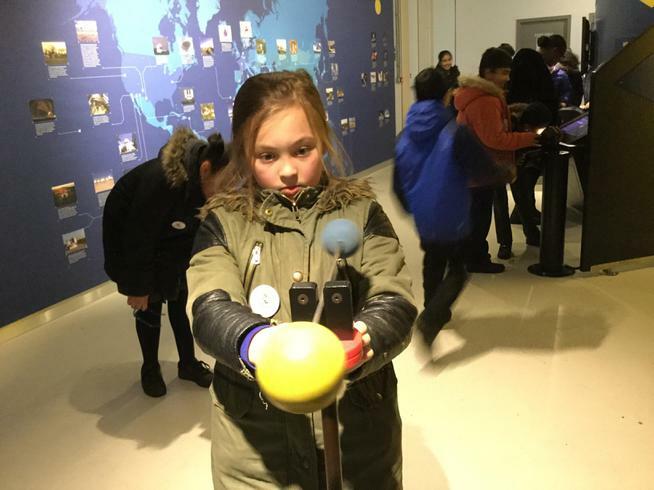 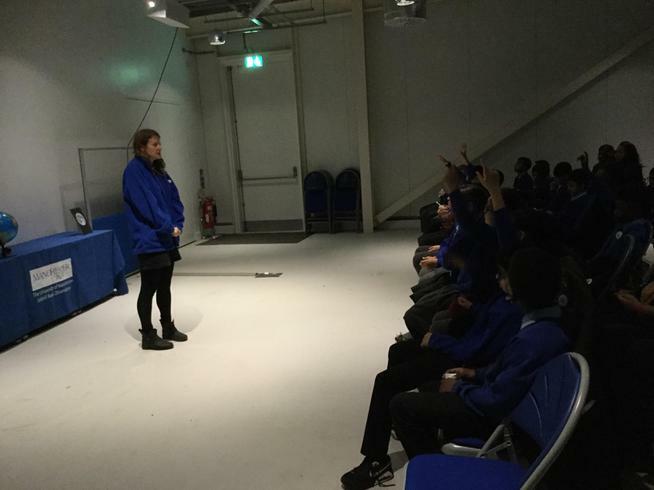 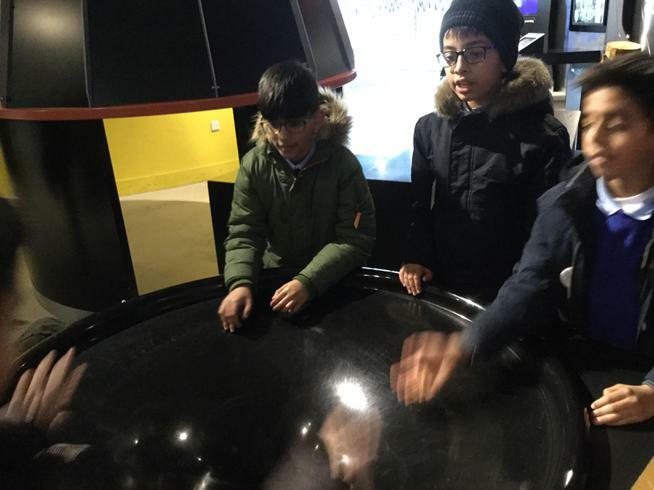 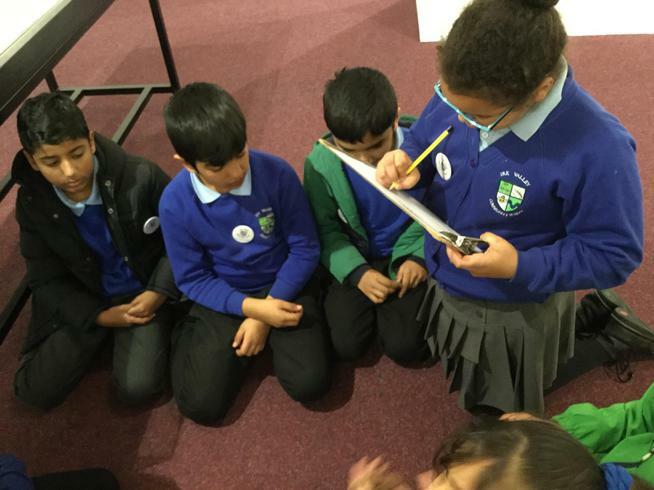 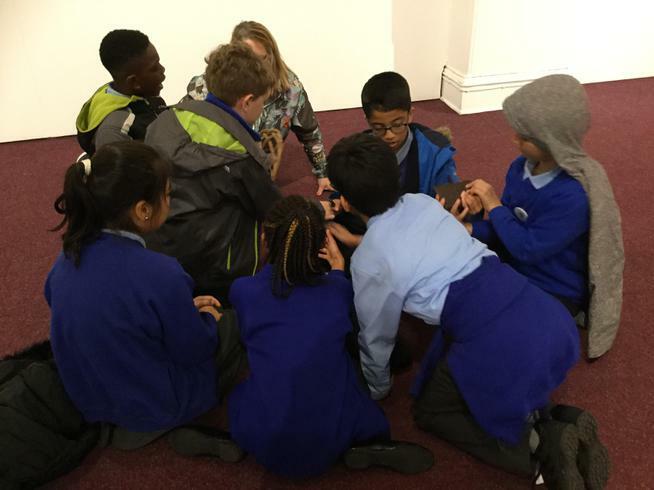 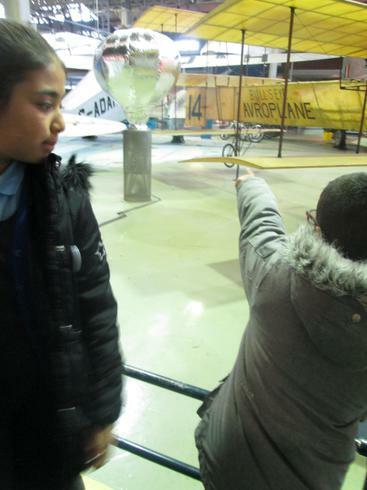 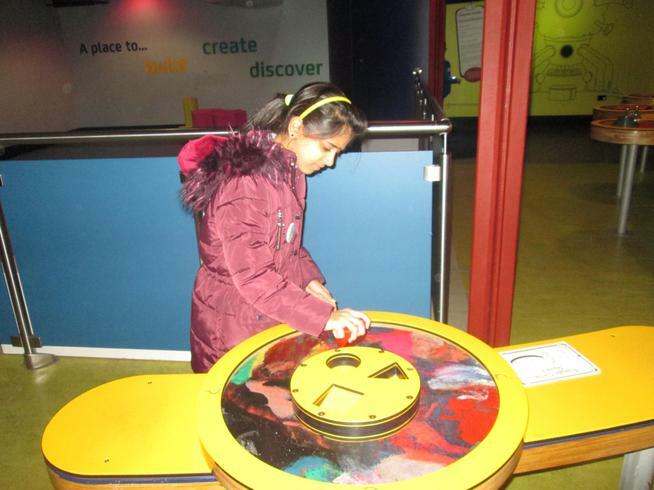 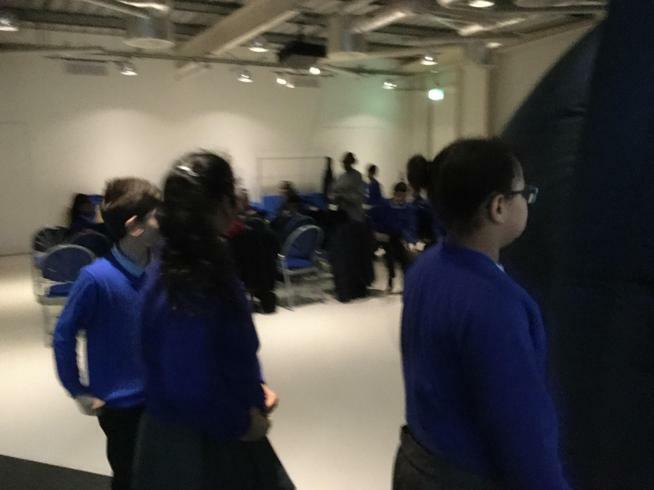 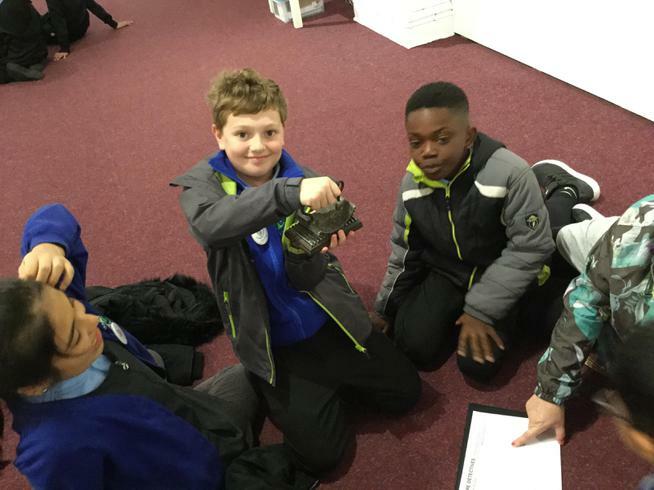 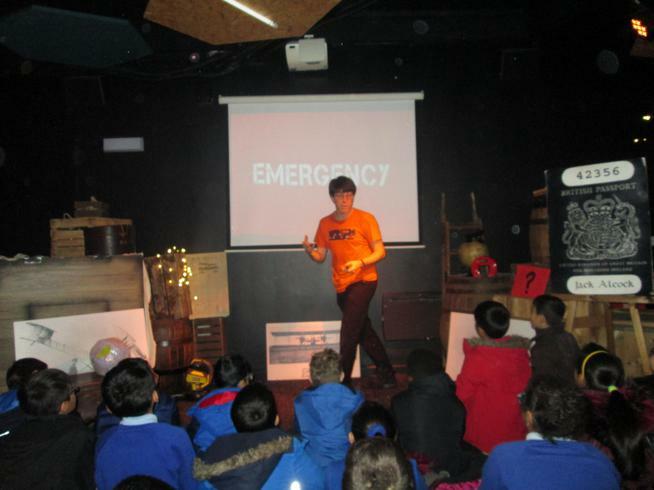 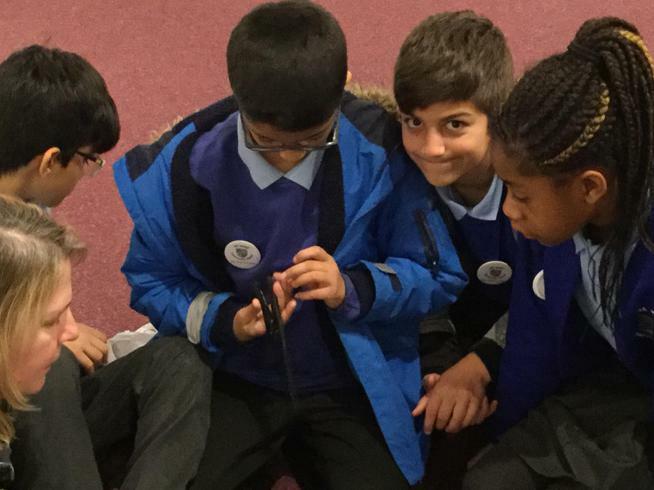 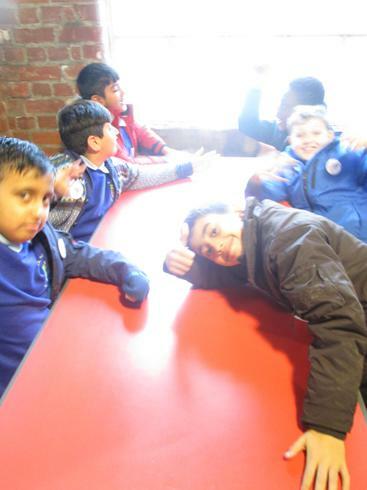 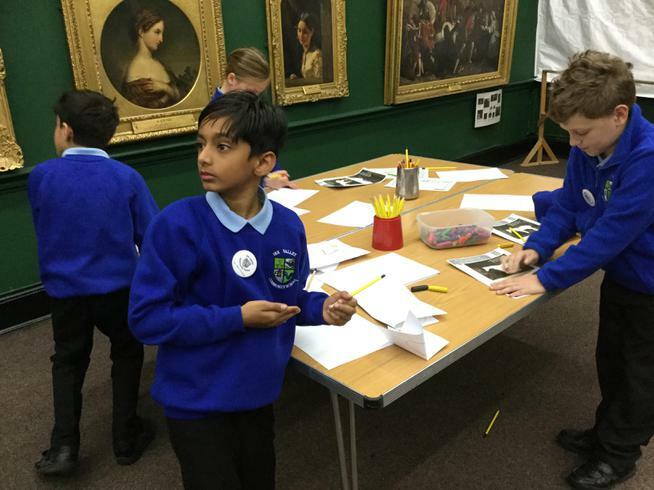 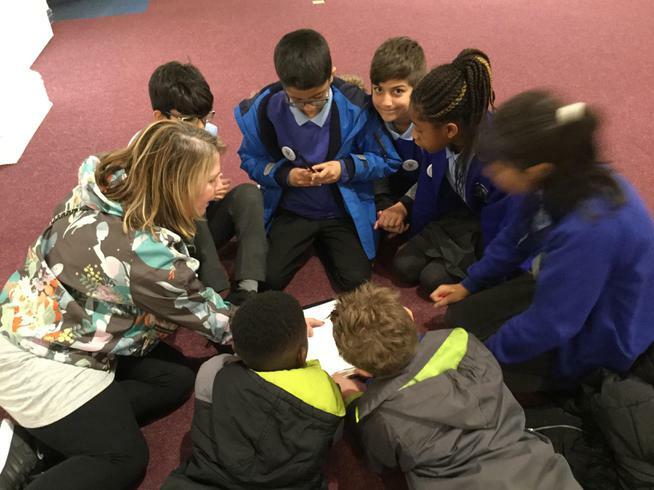 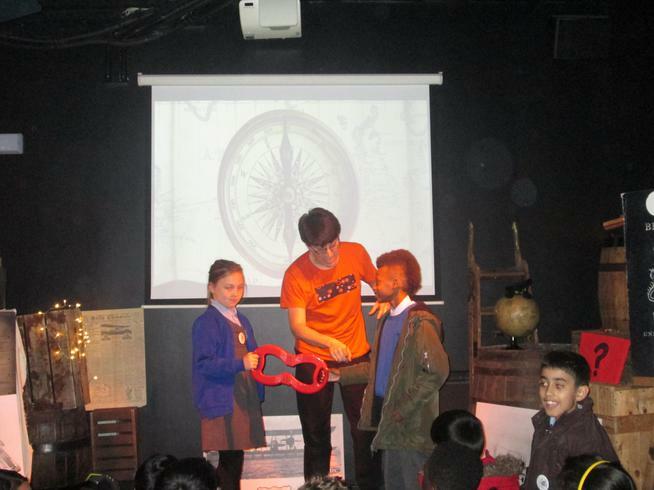 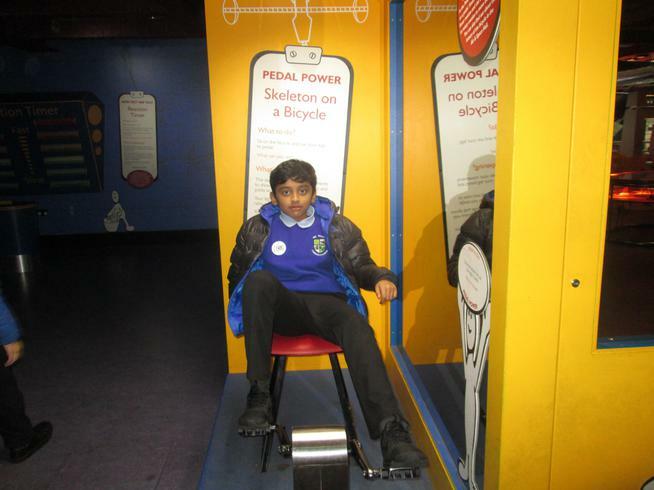 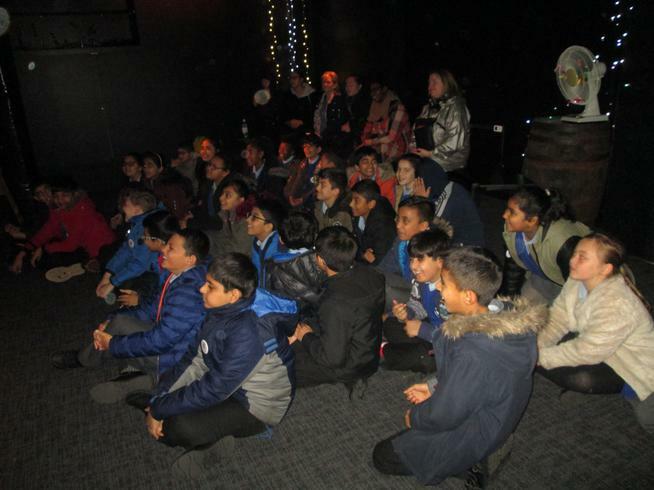 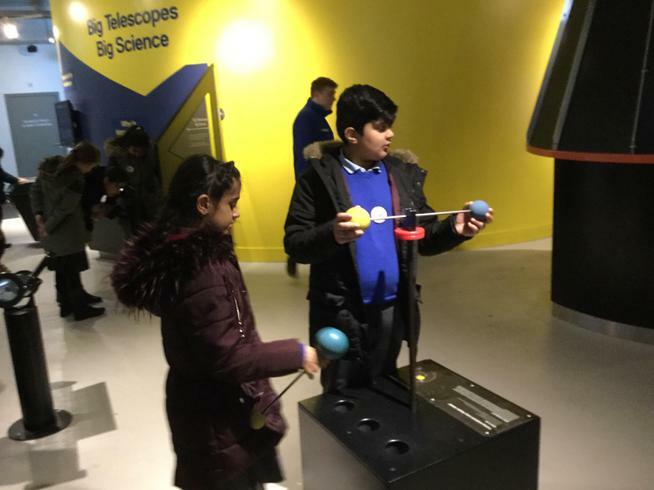 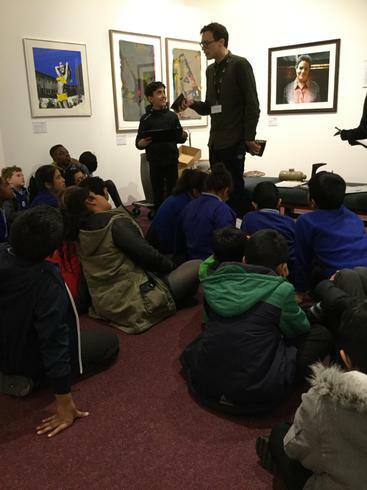 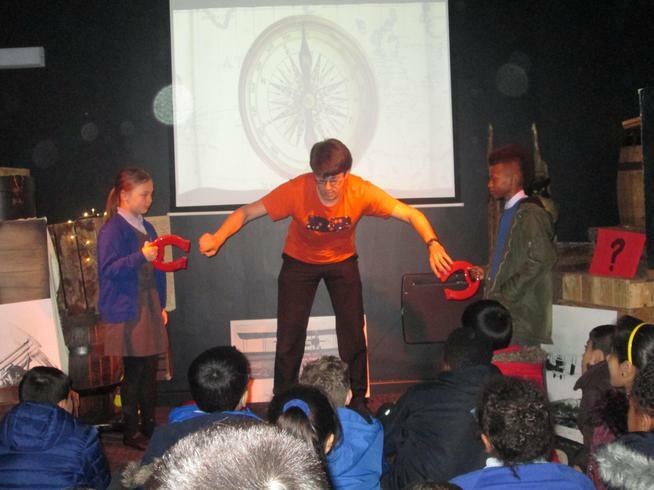 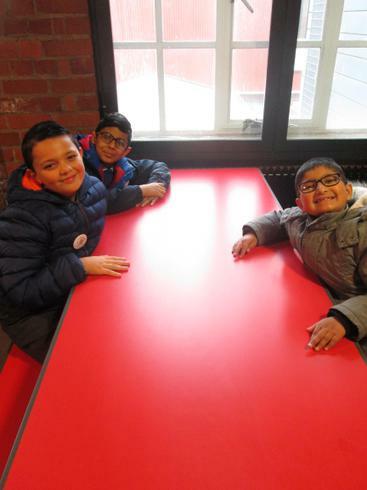 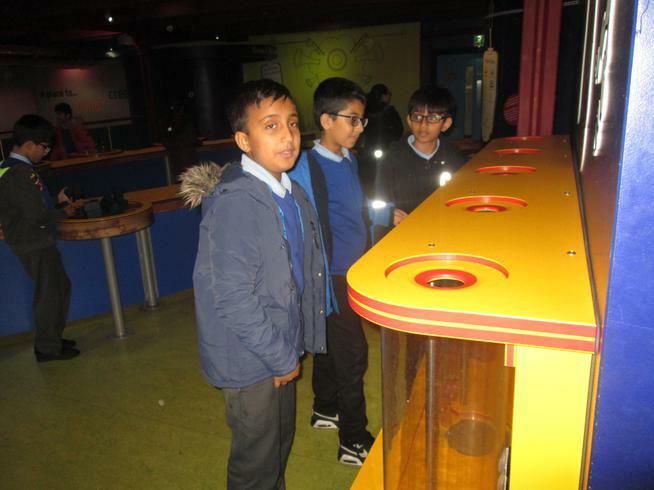 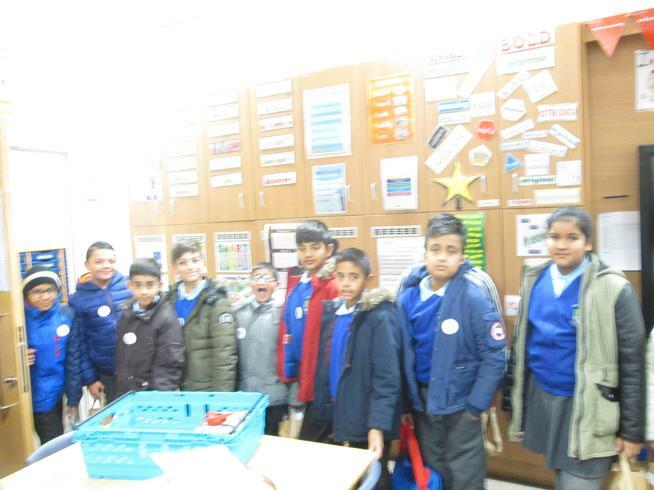 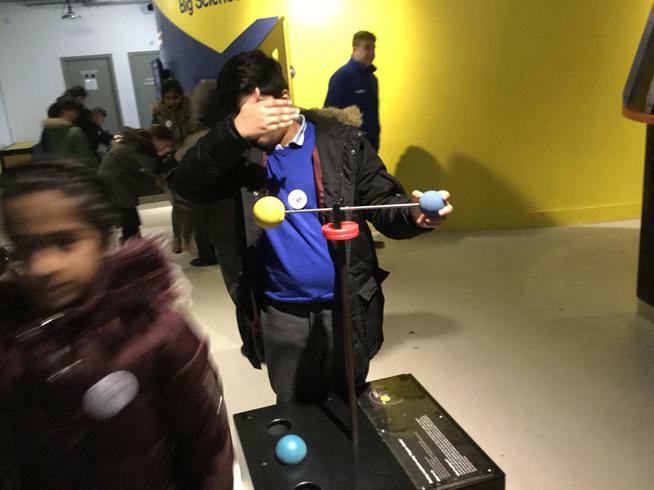 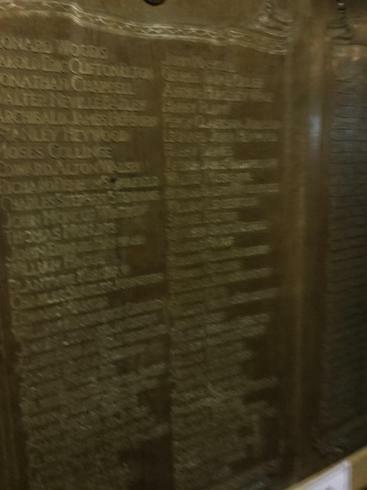 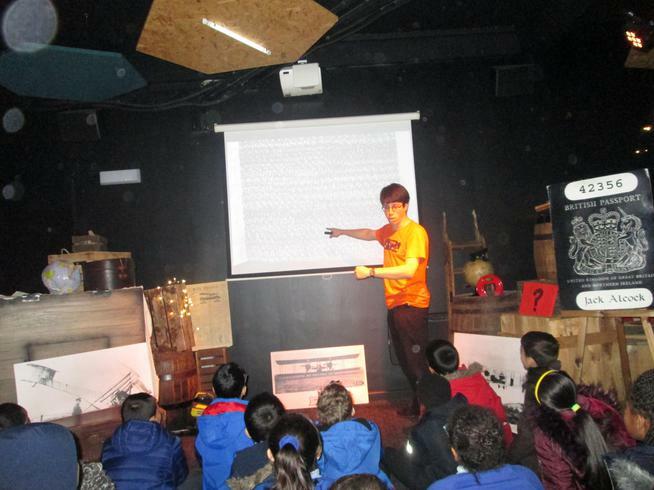 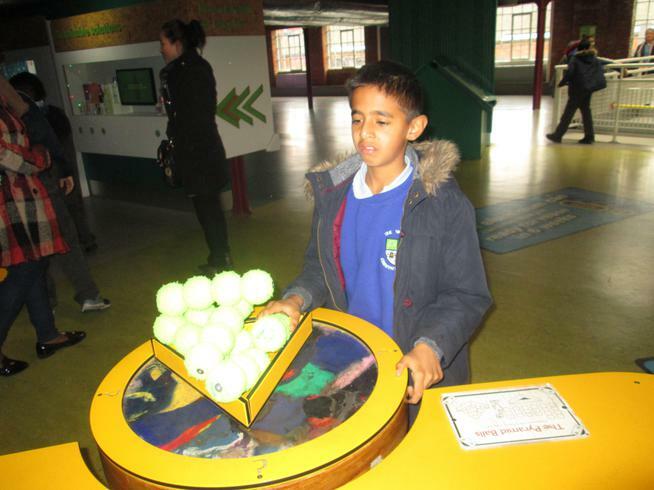 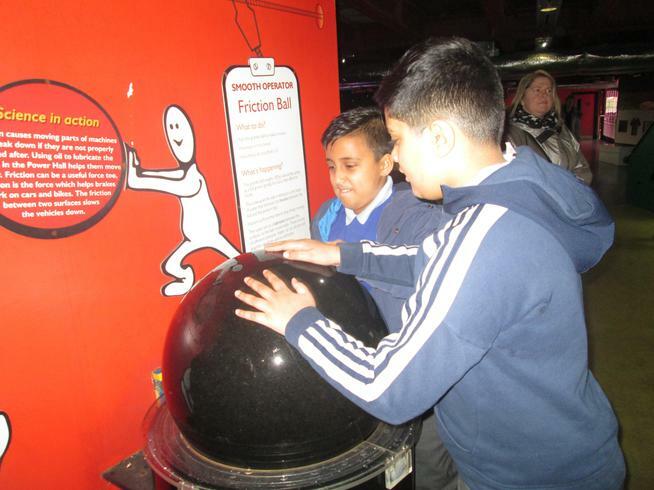 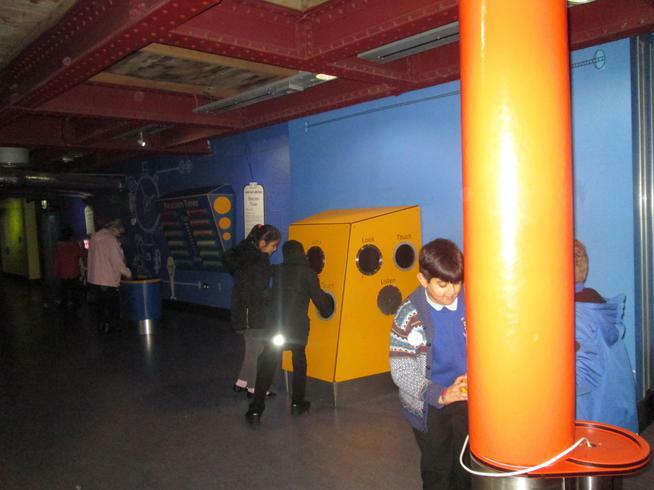 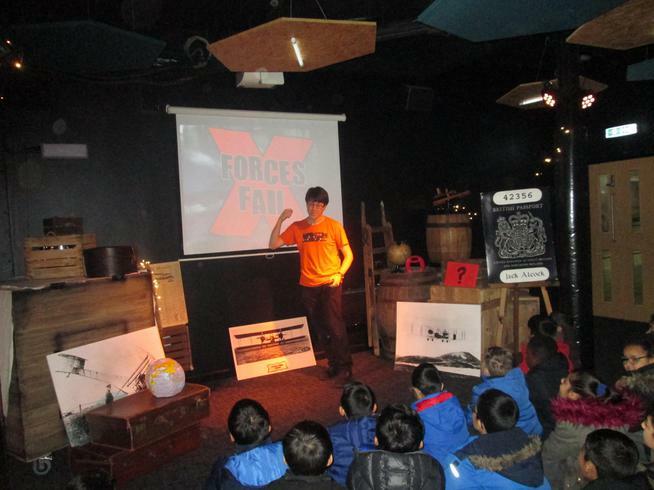 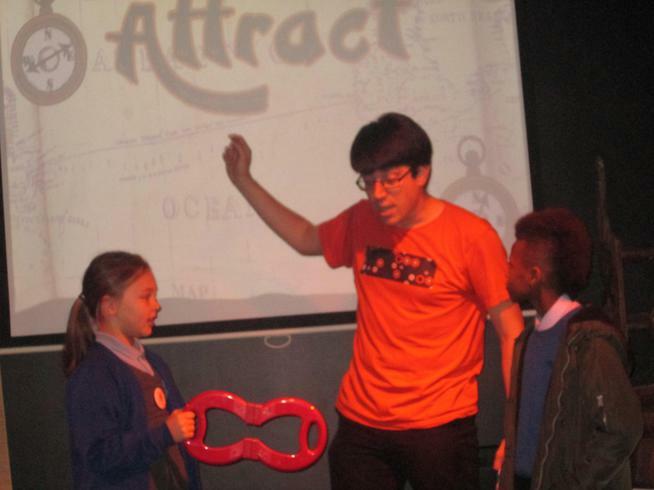 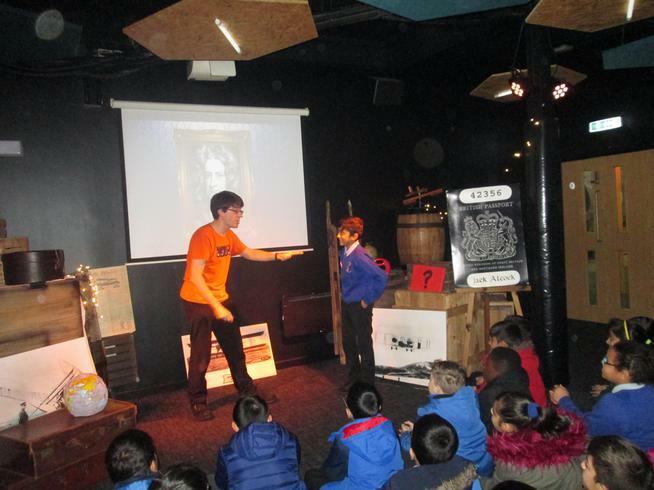 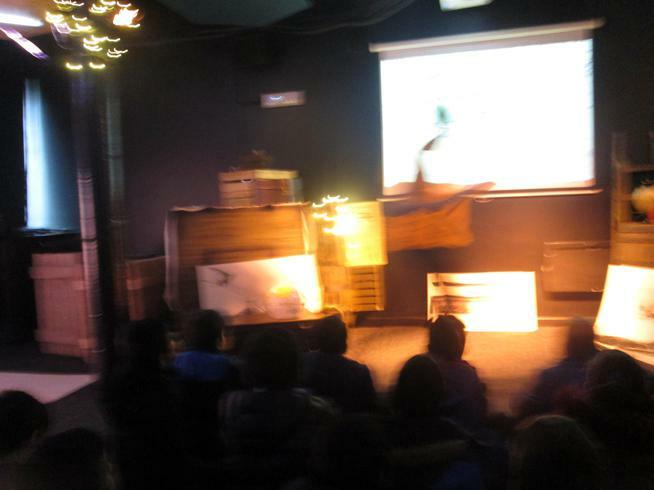 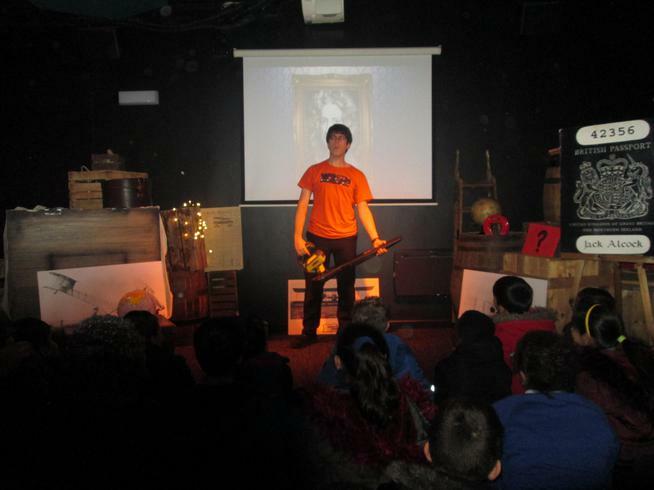 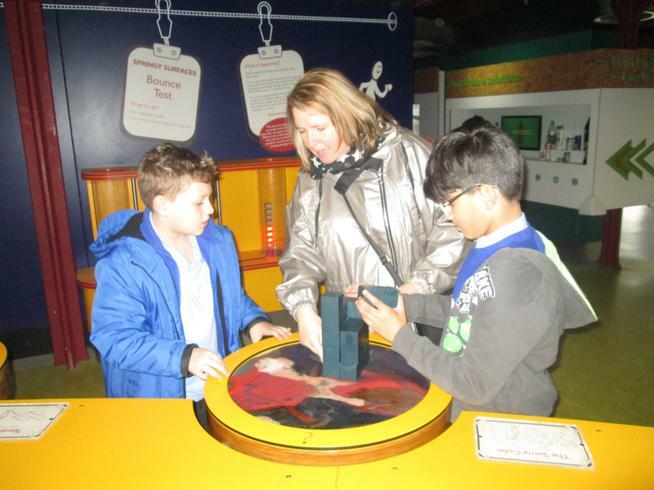 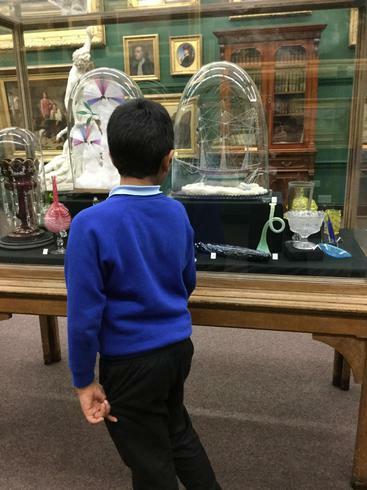 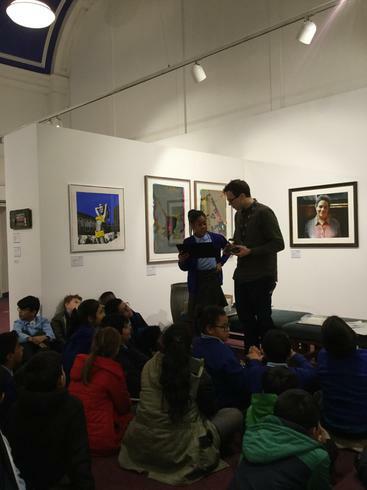 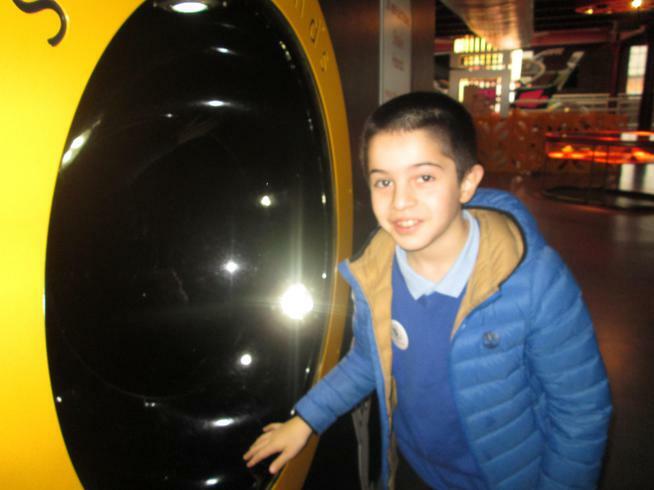 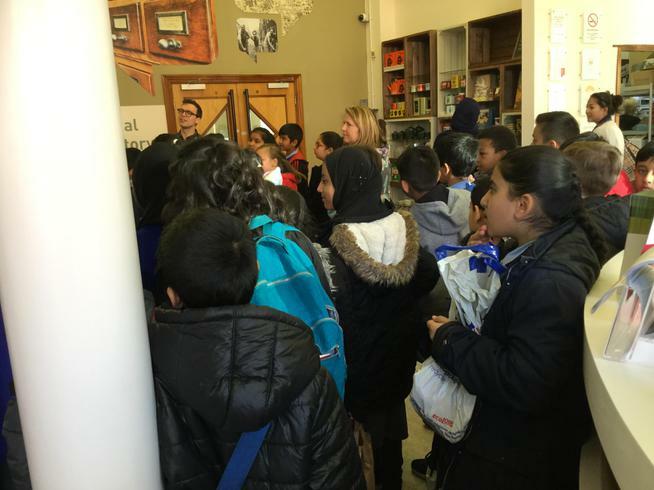 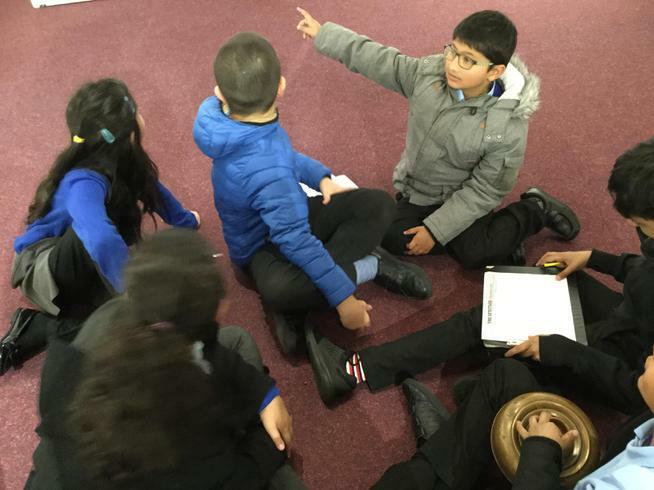 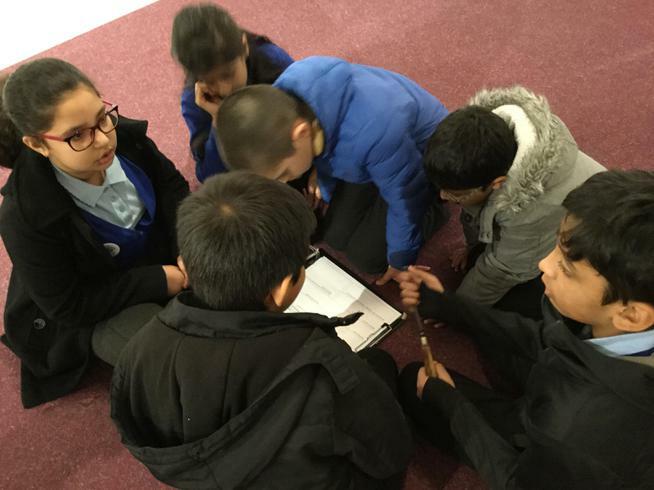 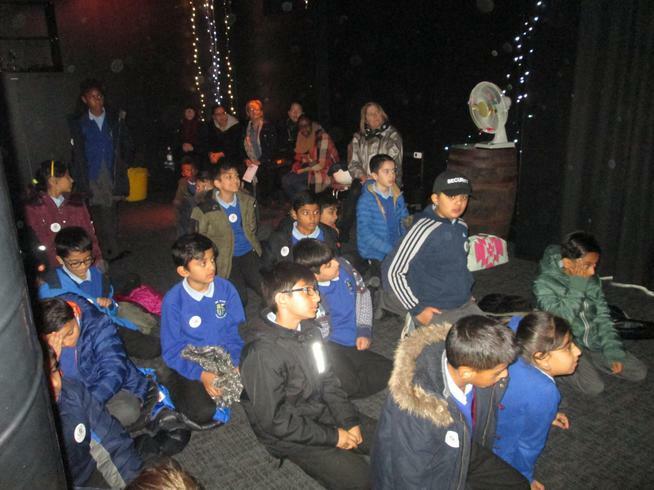 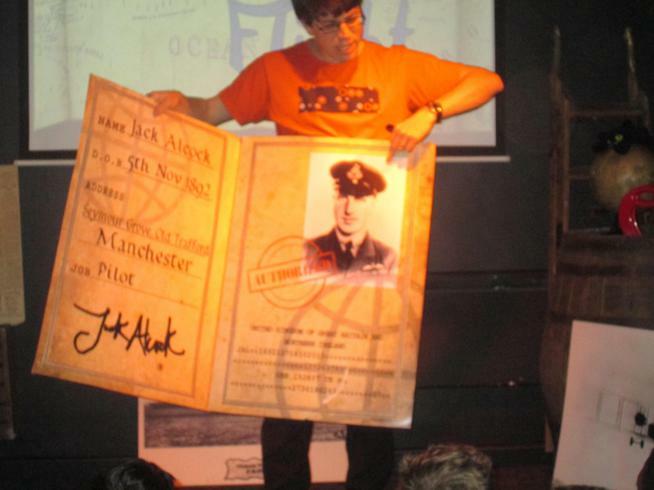 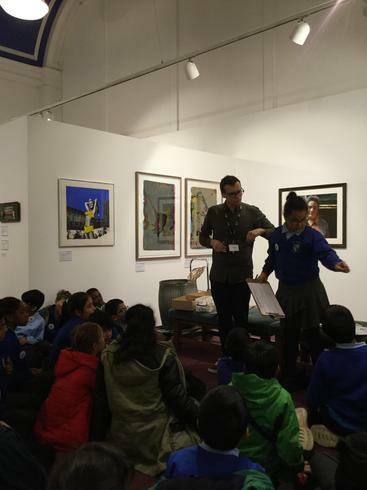 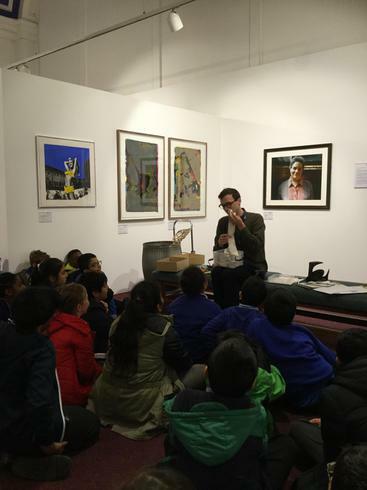 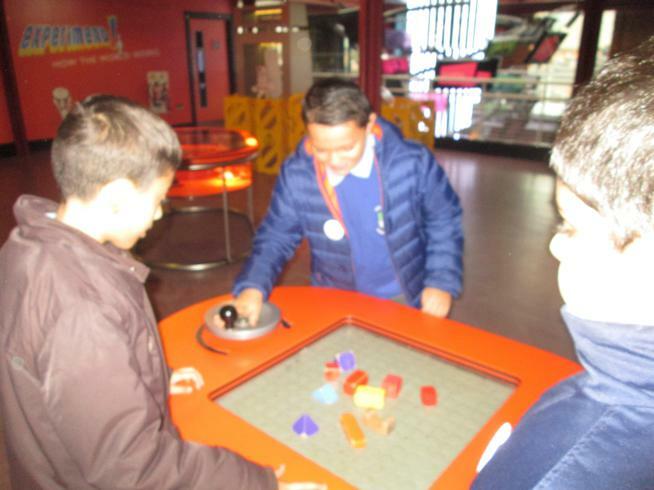 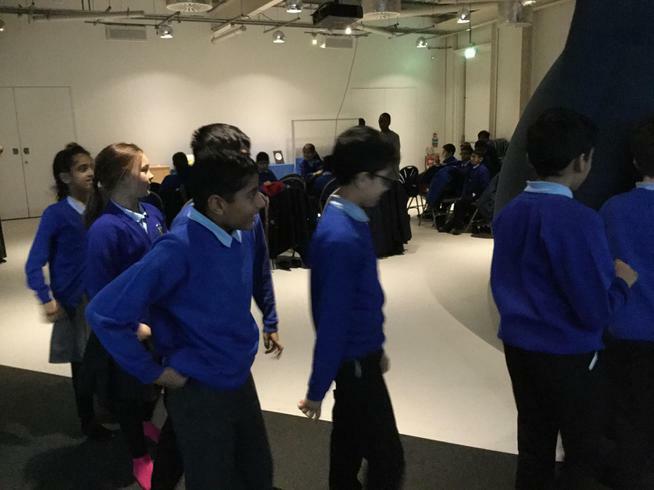 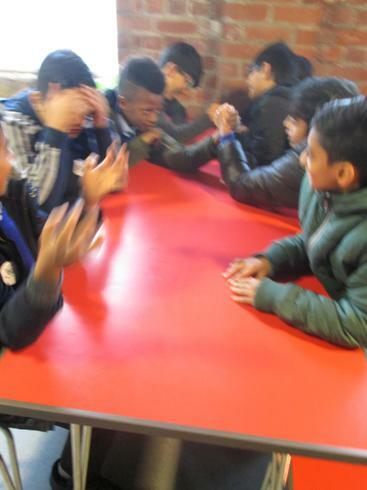 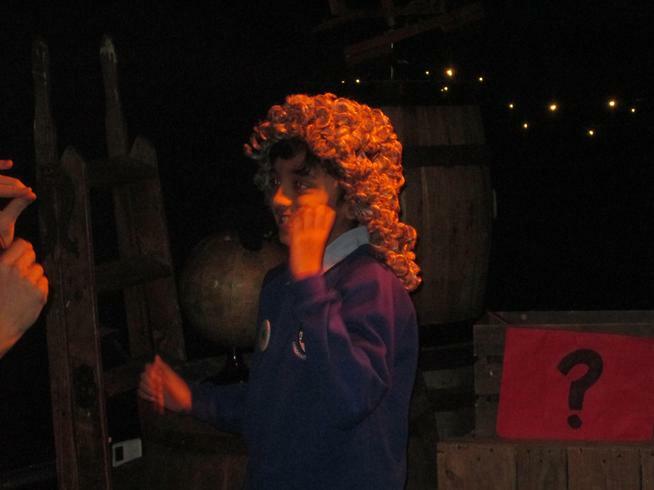 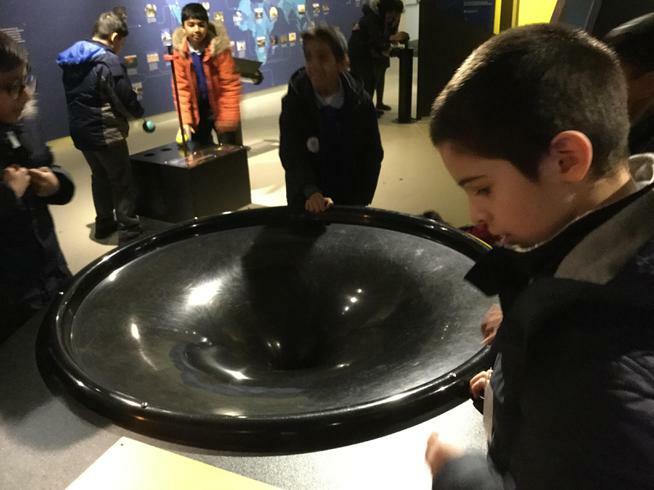 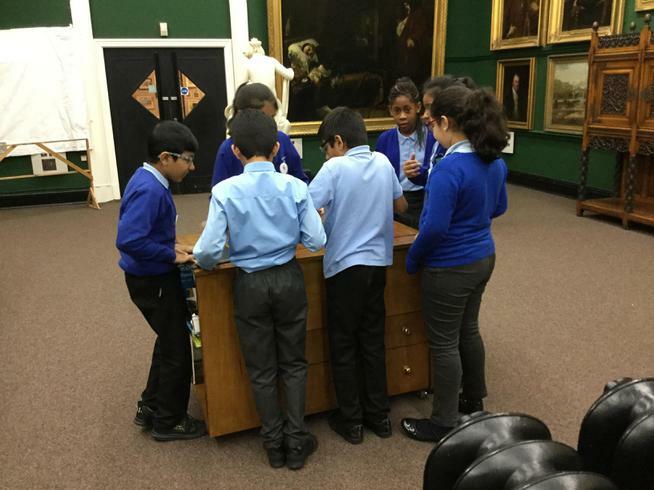 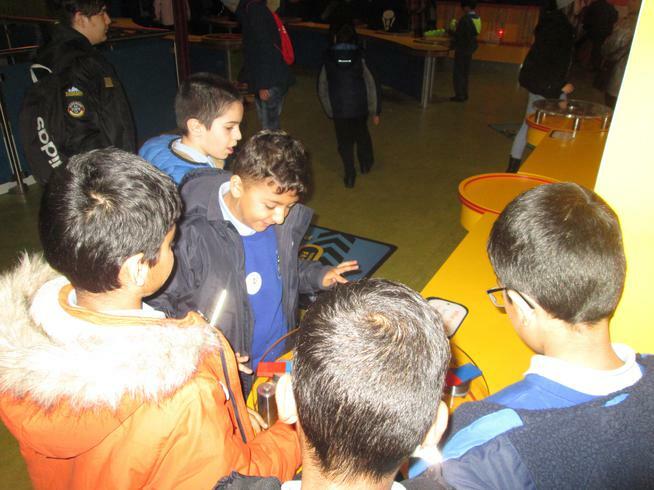 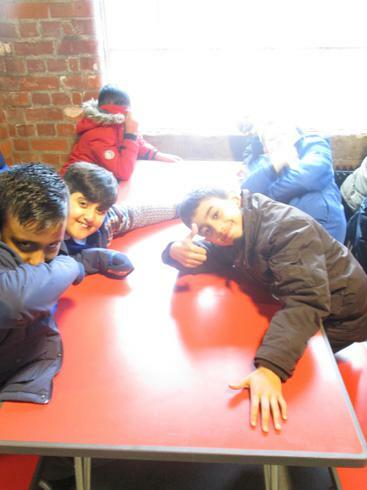 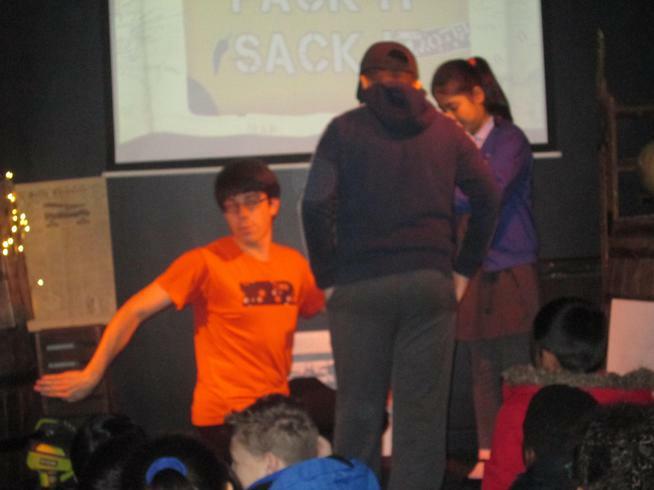 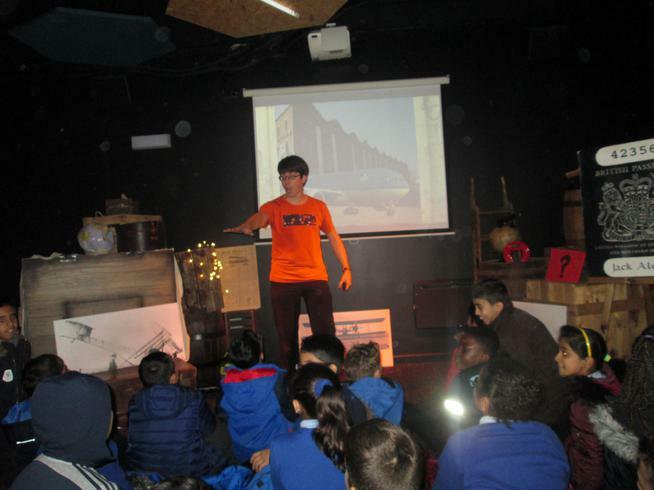 On our 2nd Educational trip, 5A visited the Museum of Science & Industry in Manchester. 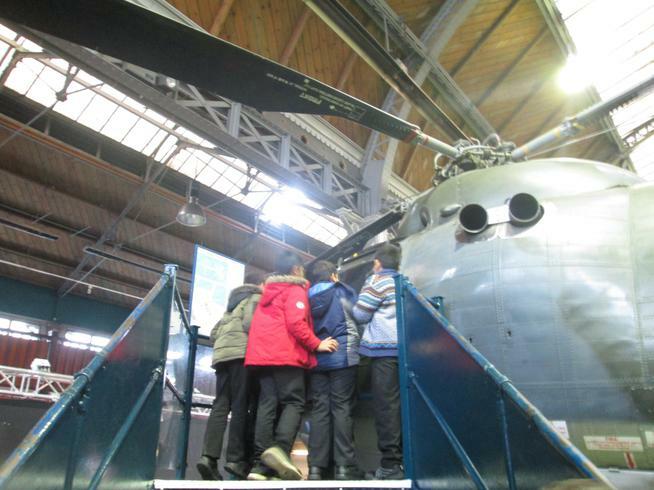 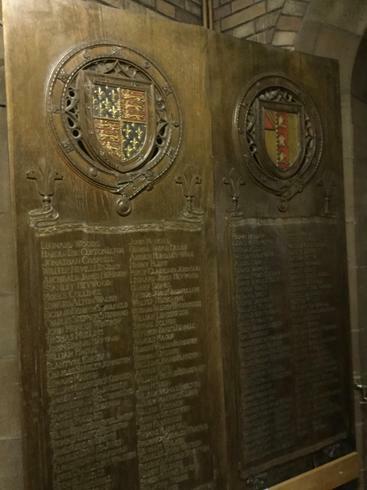 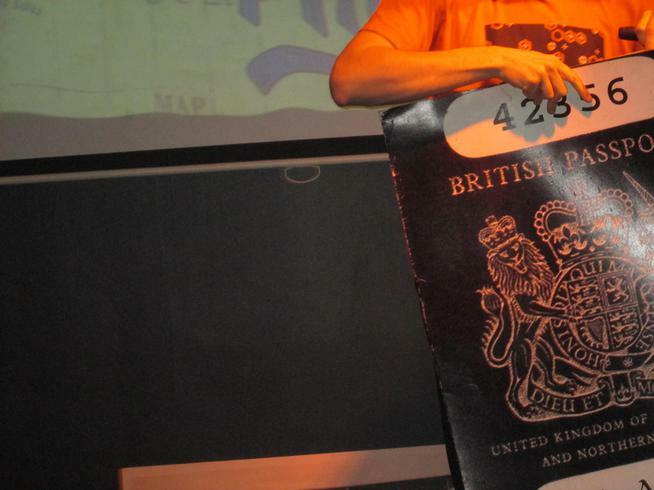 The Museum of Science and Industry sits in the heart of Manchester, the world's first industrial city. 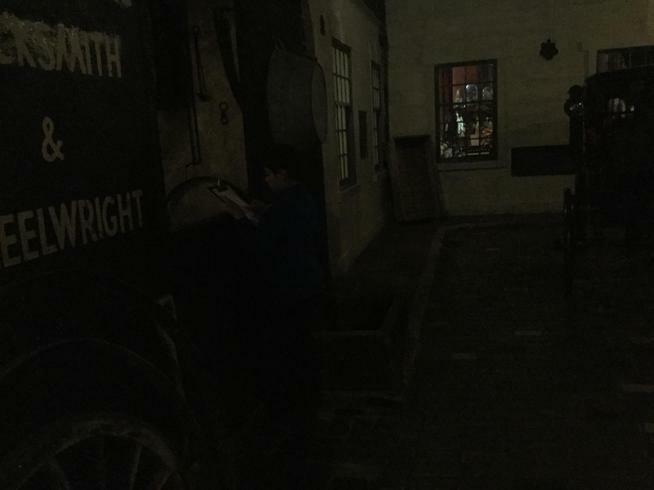 It houses is the world's oldest surviving passenger railway station and the world's first railway warehouse from 1830, which are located at the end of the museum site. 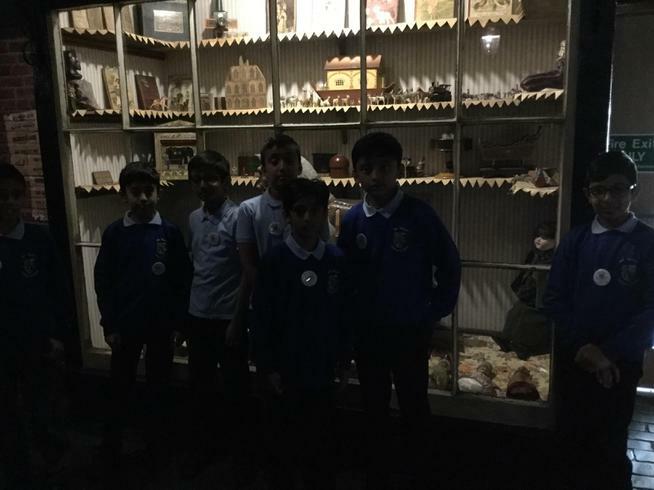 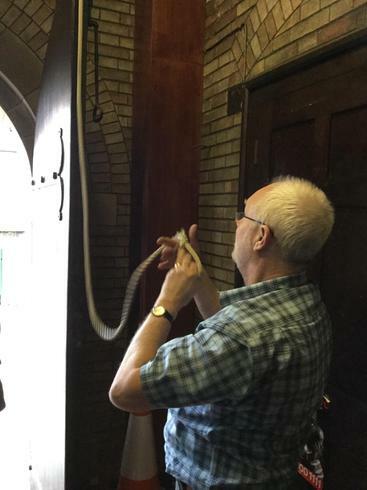 On the visit to the museum, we learnt about the processes and machinery involved in the local cotton industry as well as how the mills were powered. 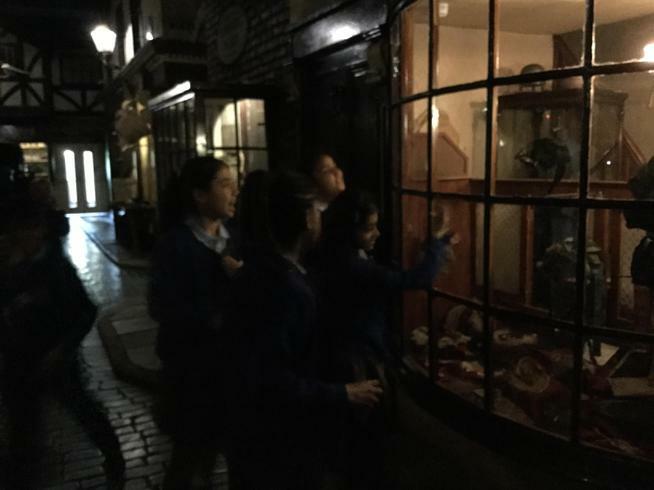 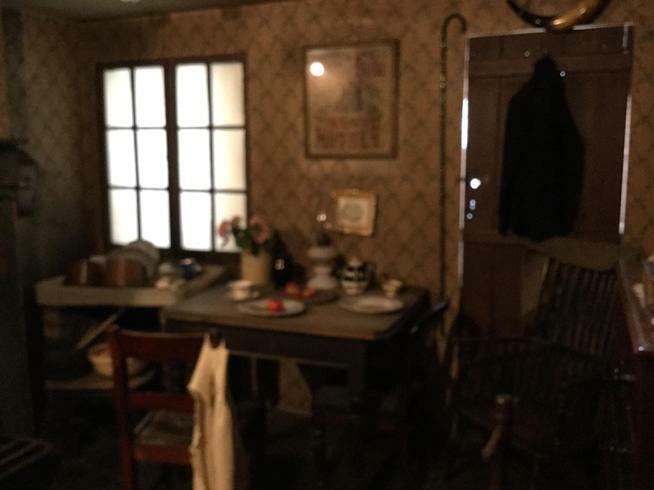 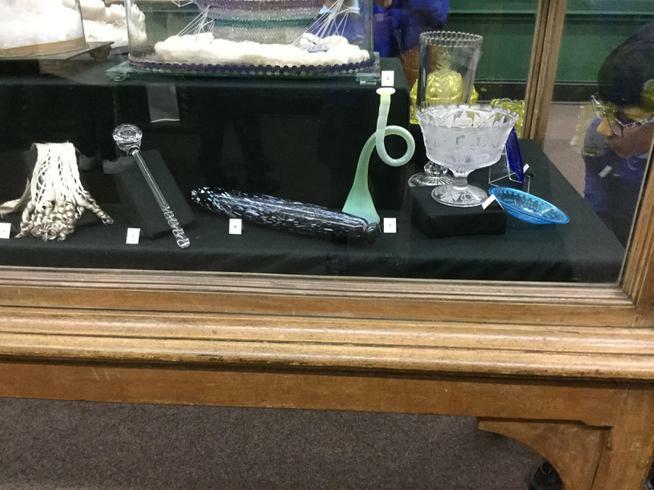 We also saw amazing objects and learn about the men and women whose ideas changed the world forever. 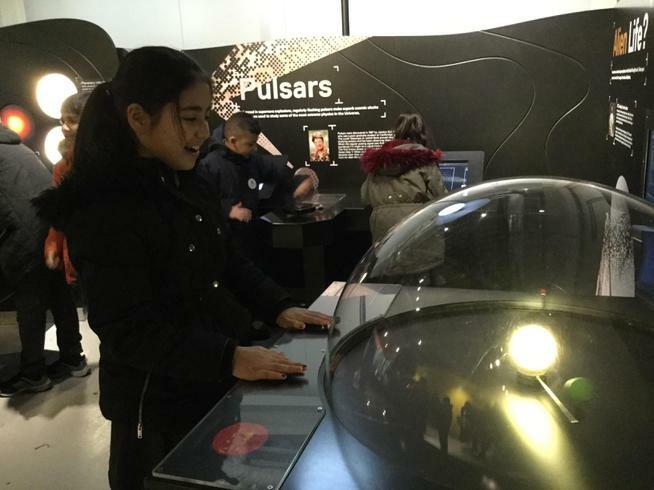 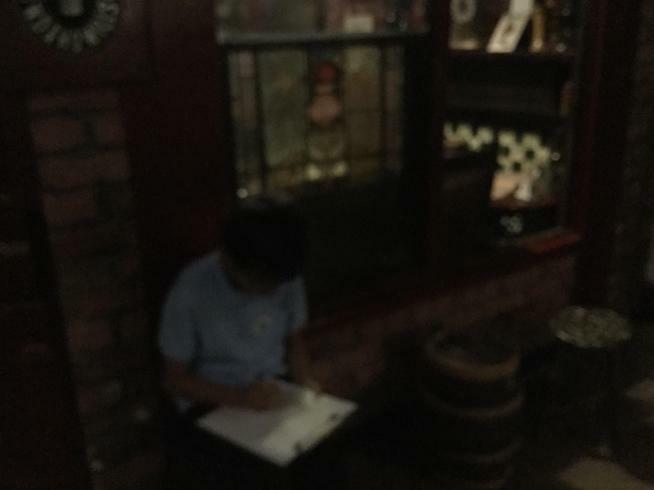 On the 2nd floor of the museum, we fueled our imagination and immersed ourselves in a world of wonder at one of the most spectacular interactive gallery in the world. 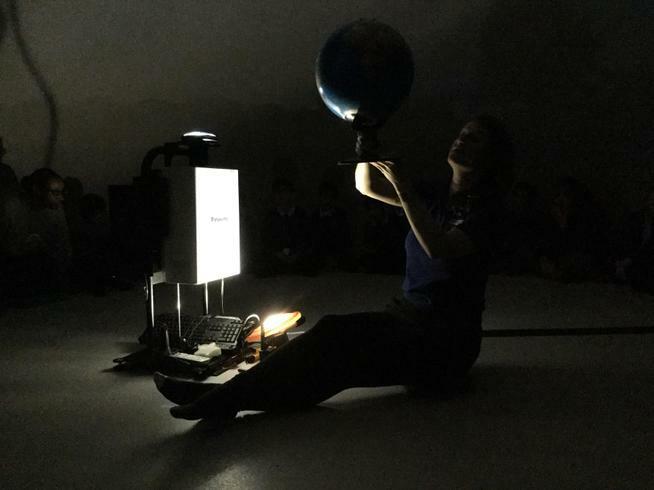 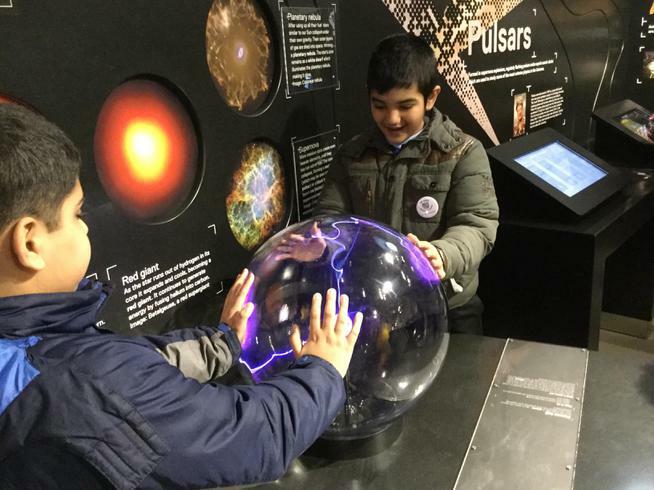 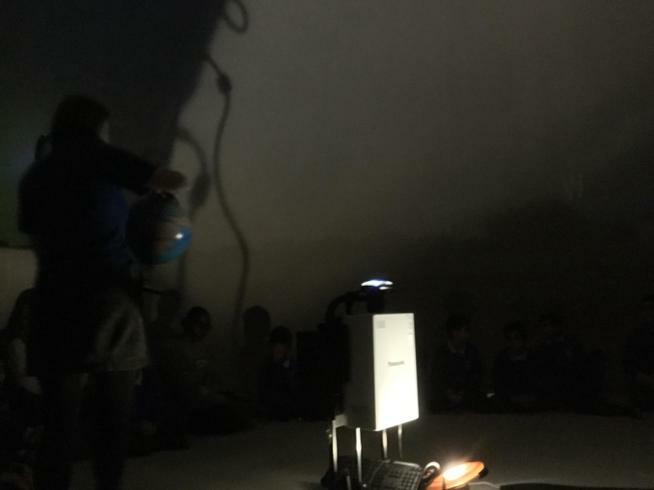 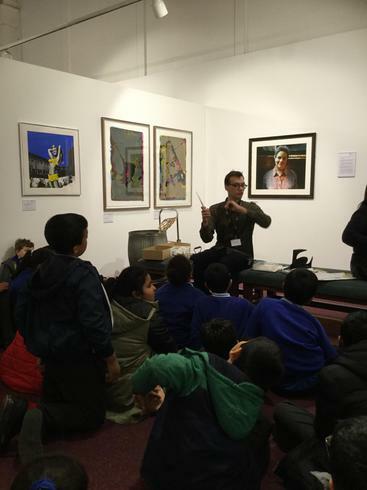 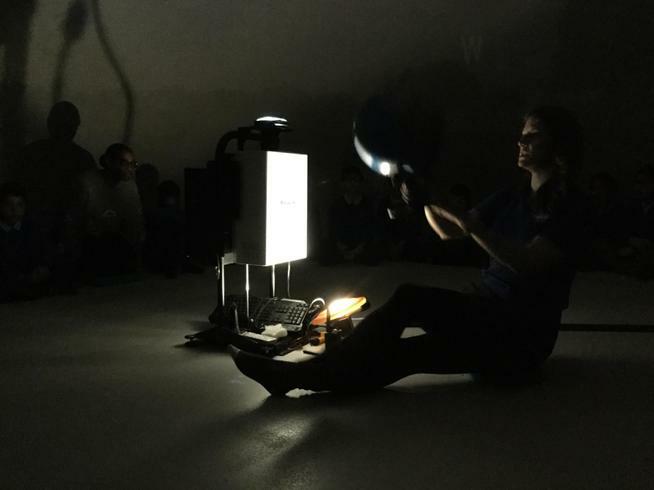 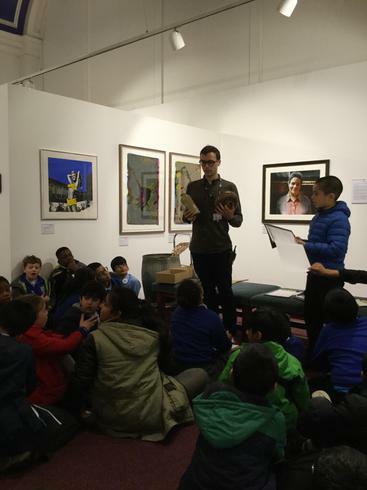 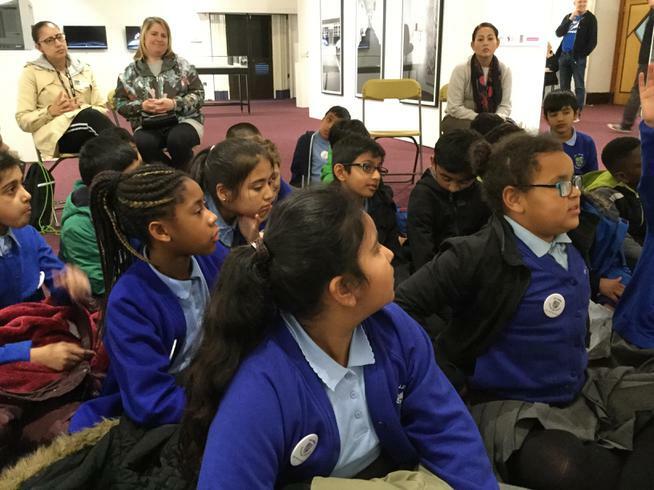 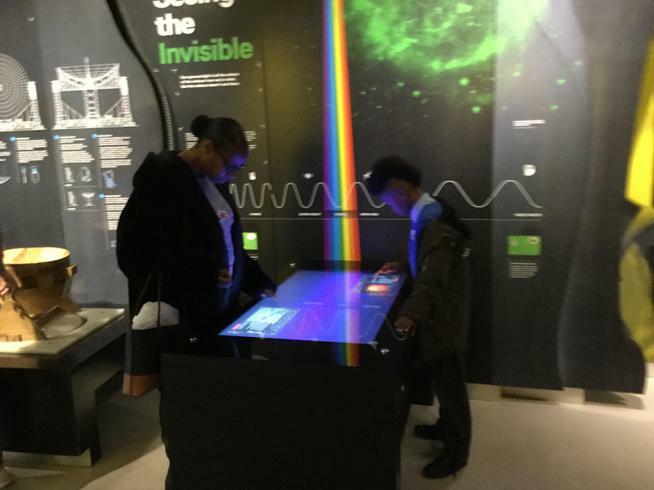 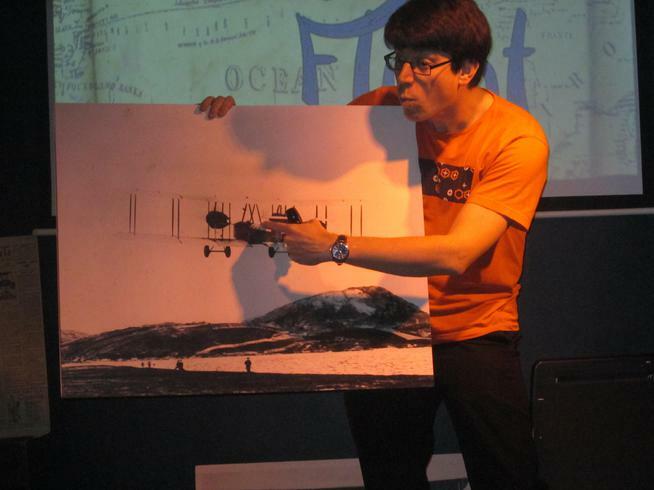 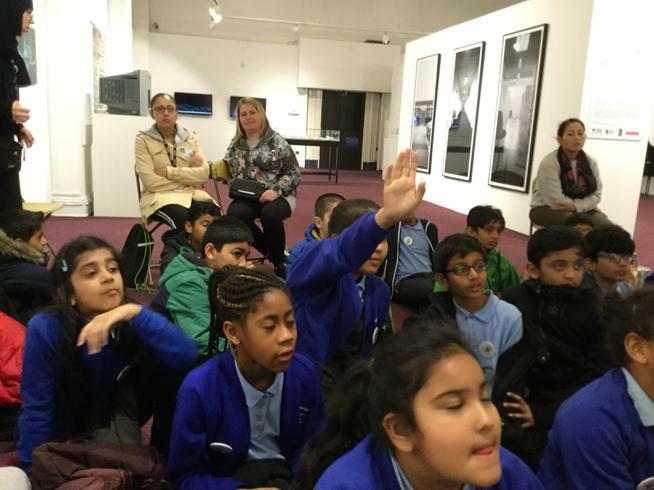 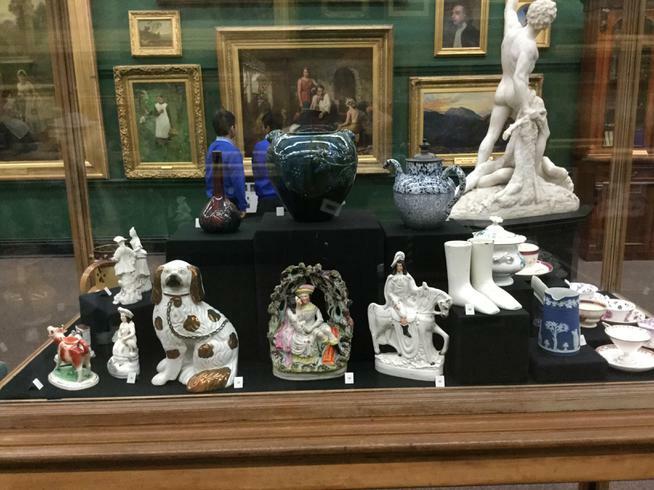 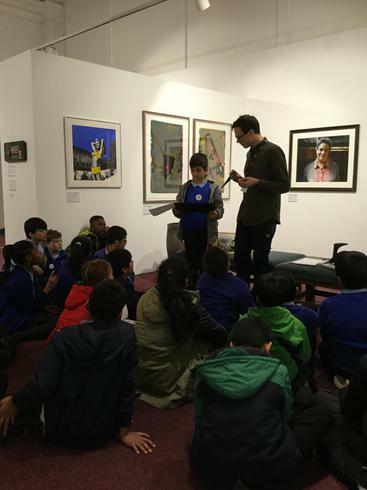 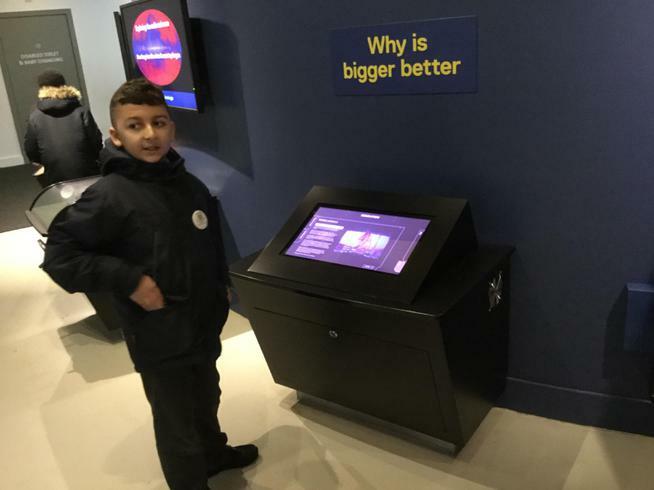 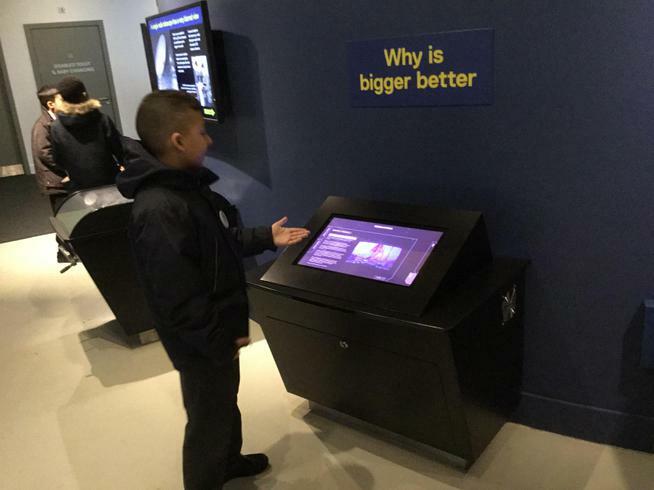 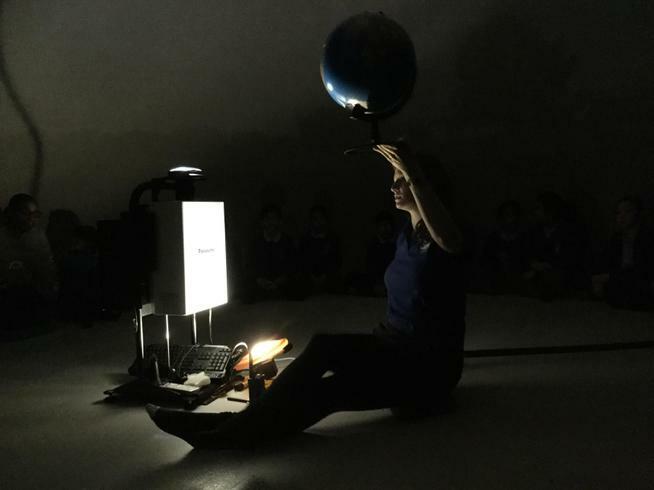 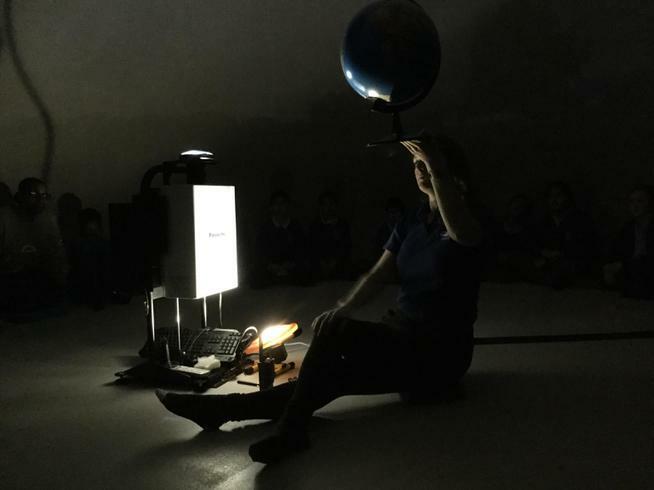 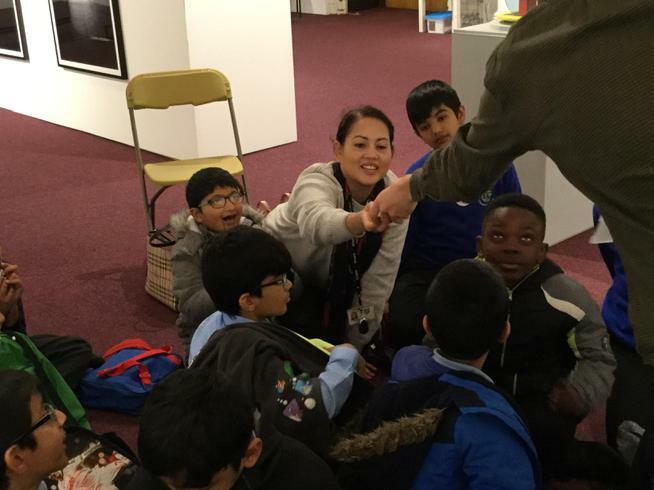 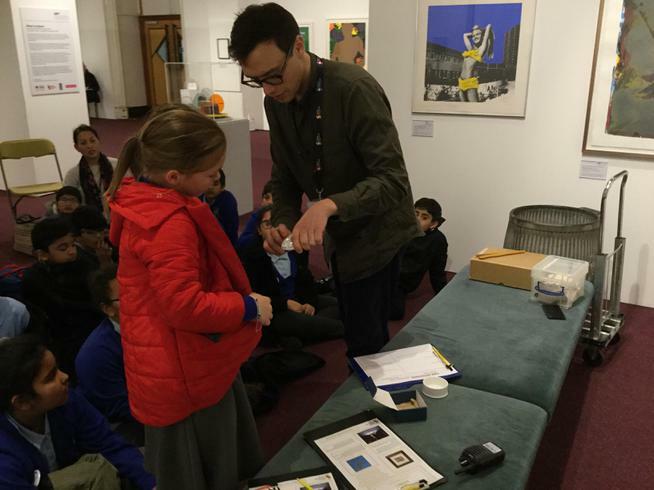 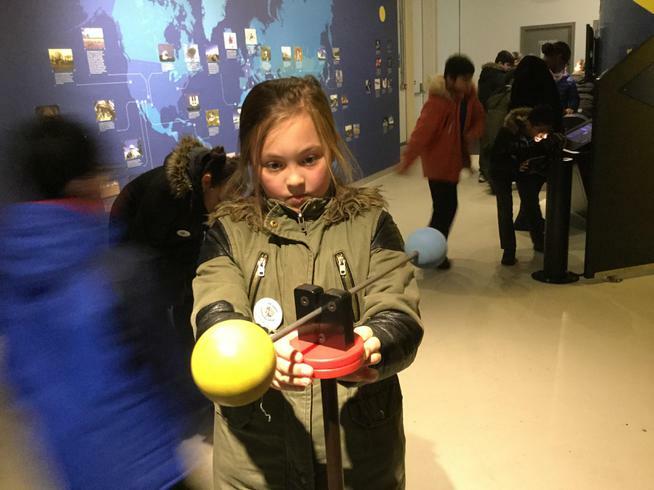 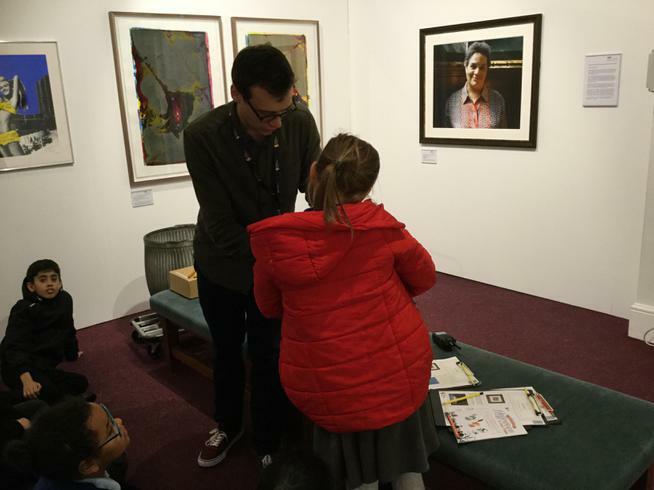 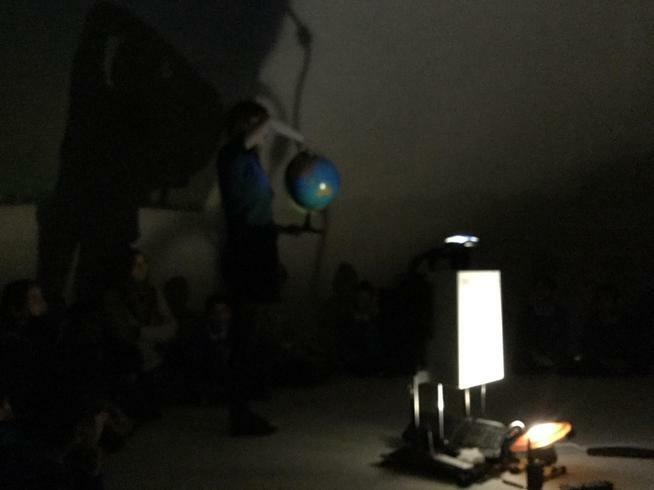 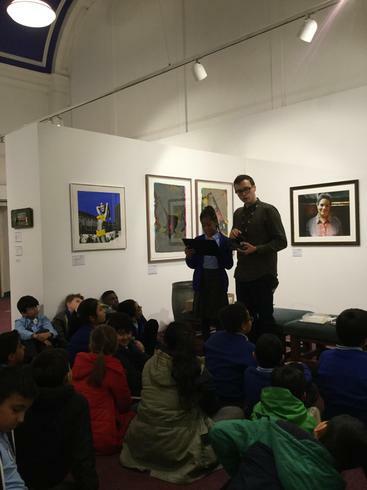 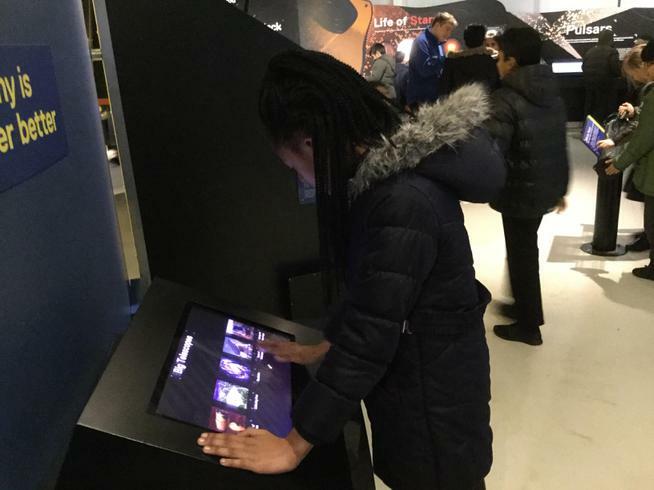 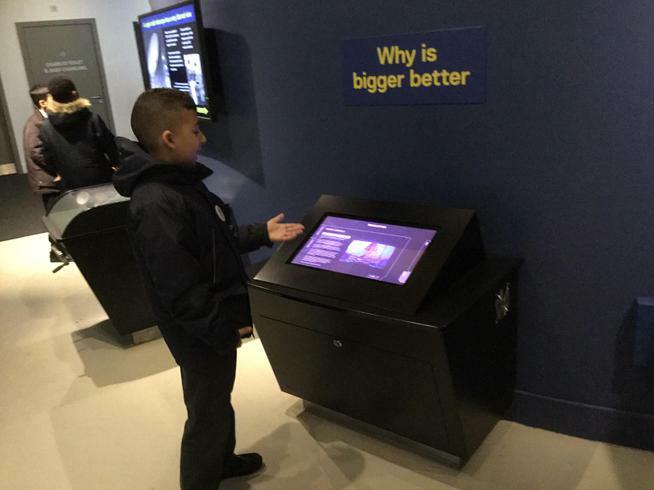 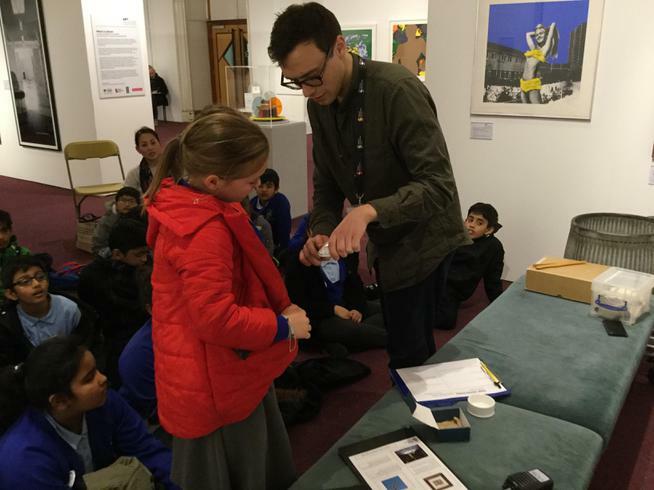 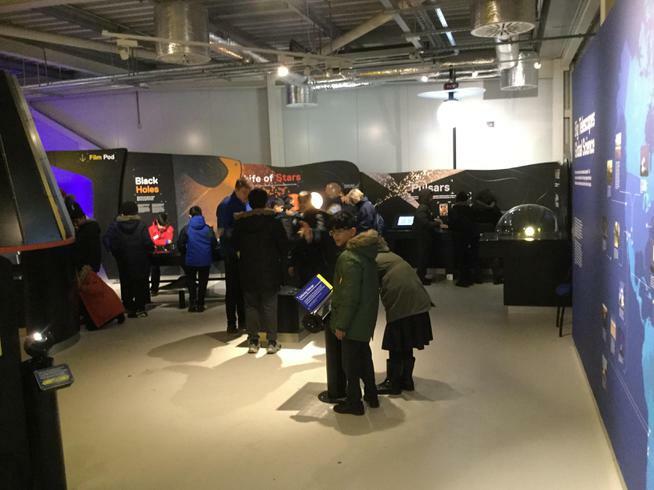 The gallery reveals the beauty of the science and maths that shape our everyday lives, this unmissable experience ignited our curiosity, fuel our imagination and inspired us to see the world around us in new and exciting ways. 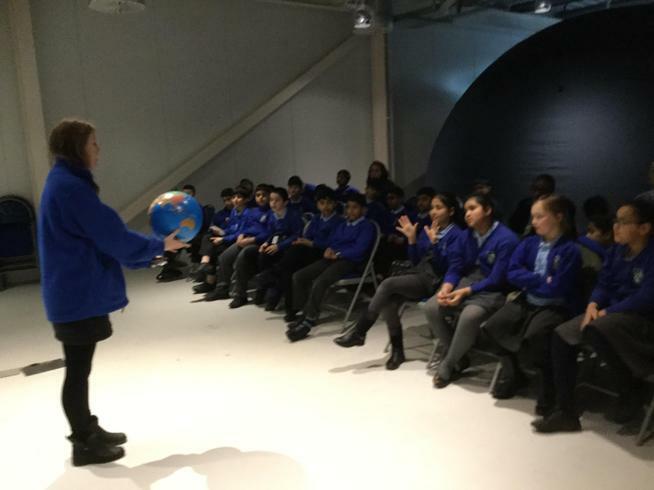 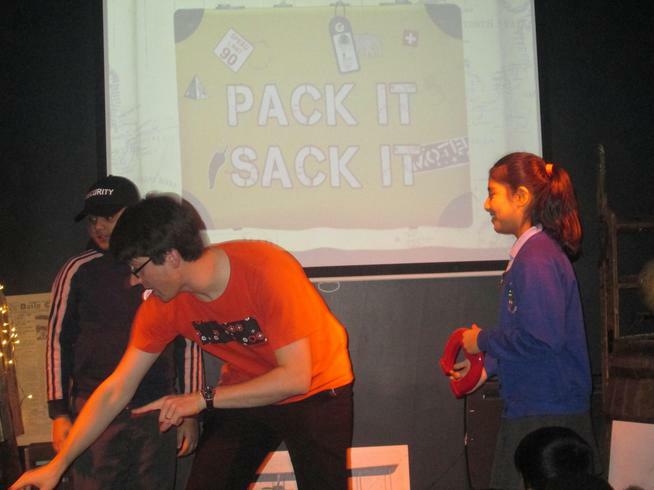  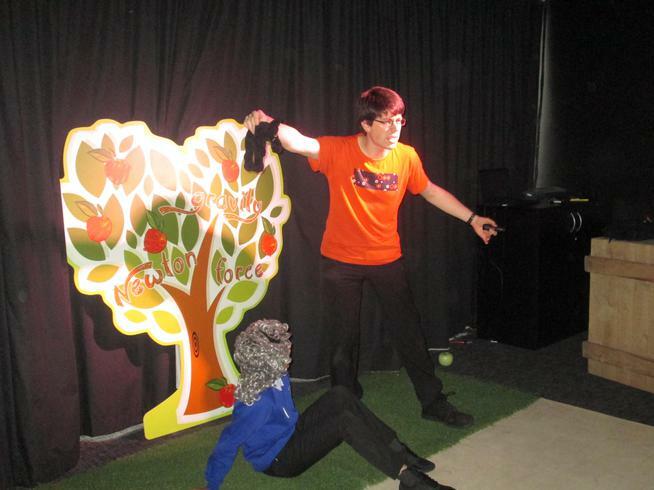 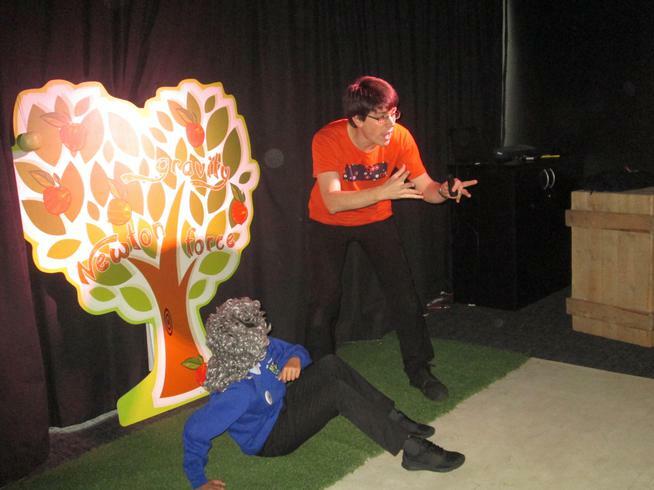 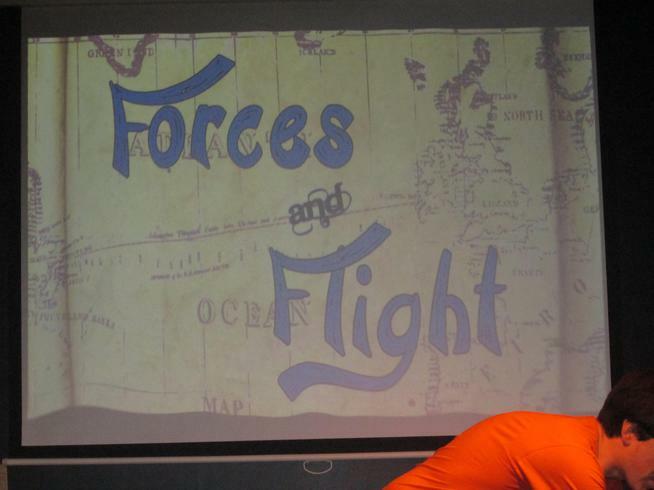 We learnt so much in a day!